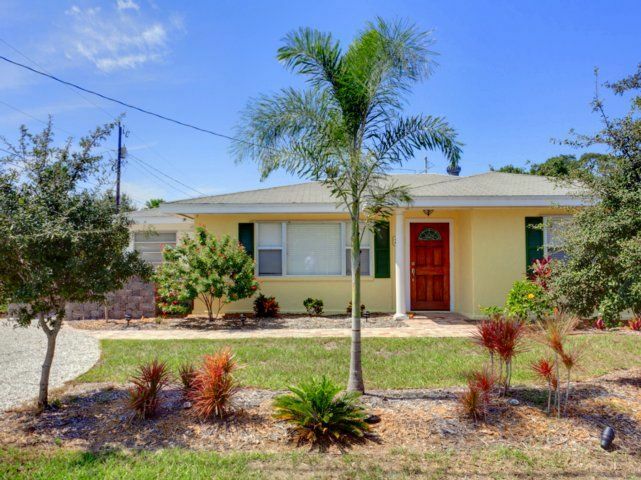 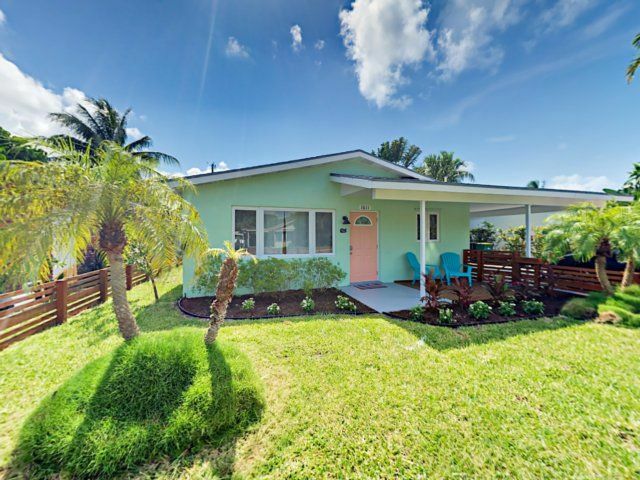 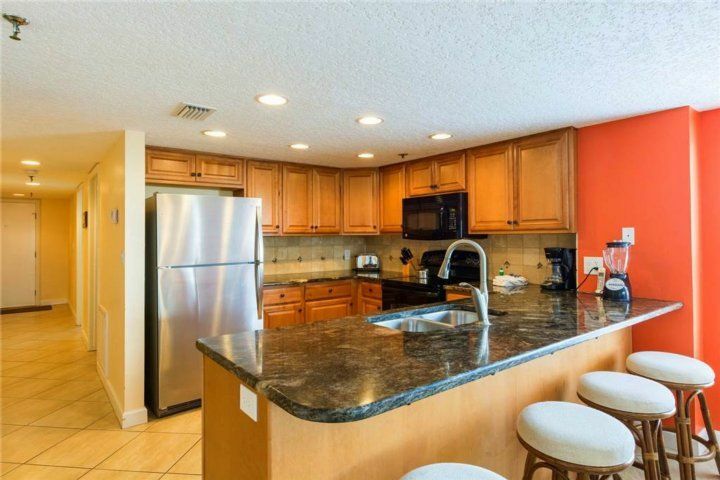 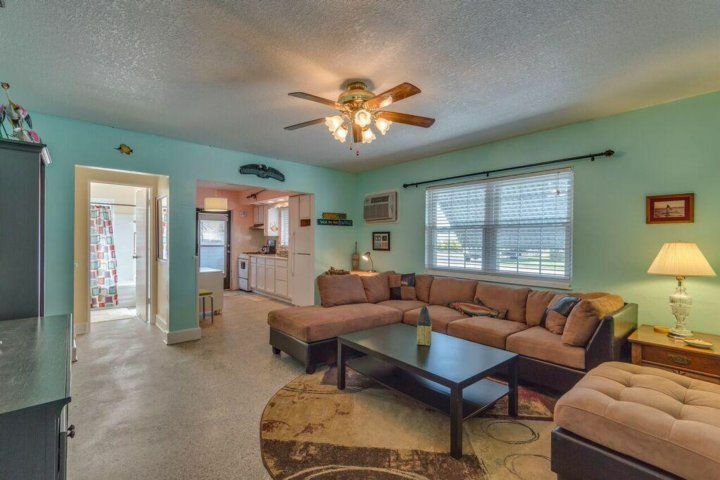 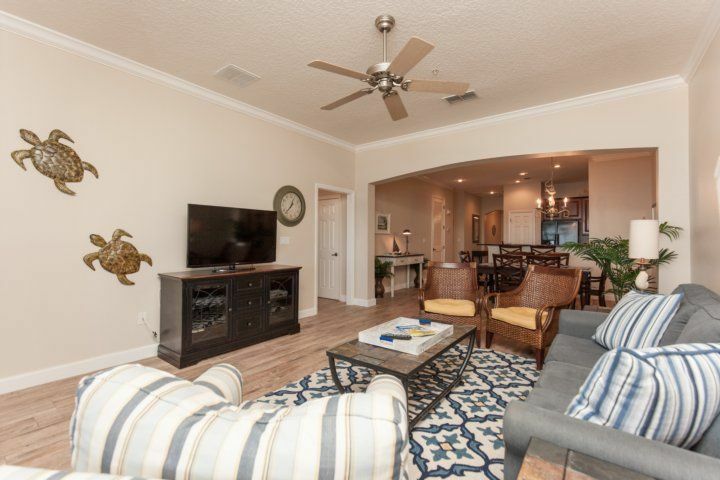 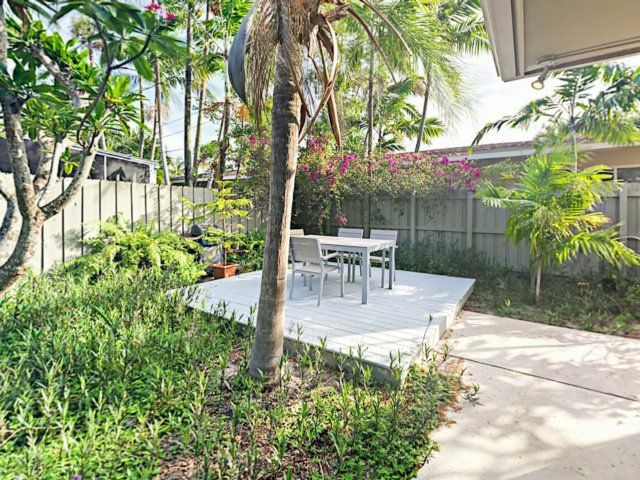 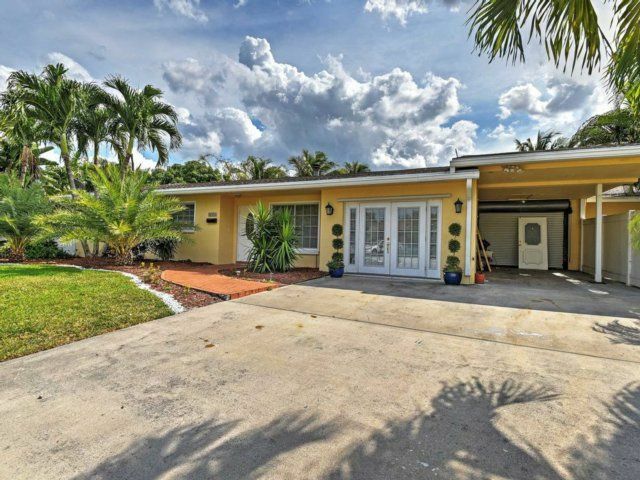 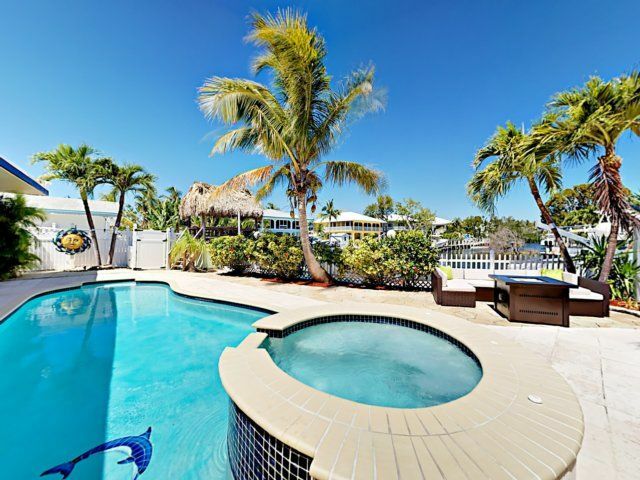 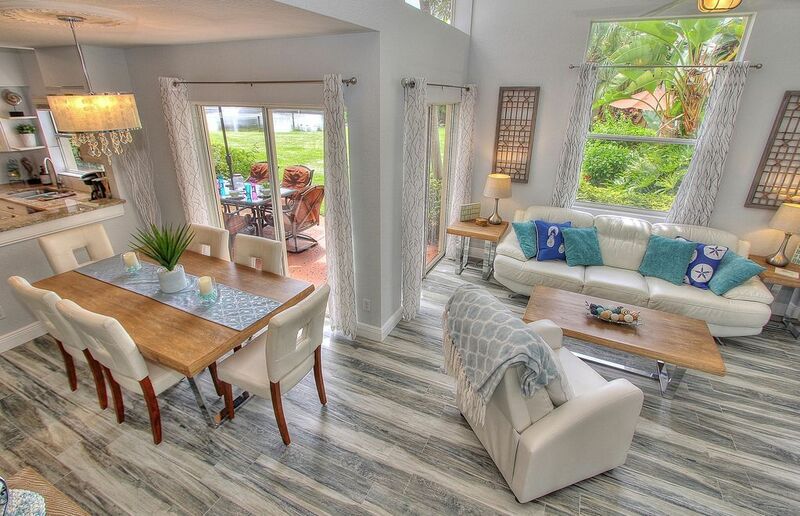 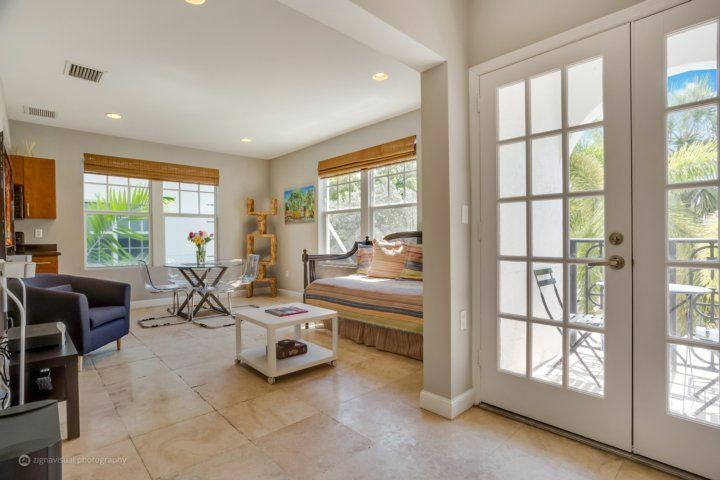 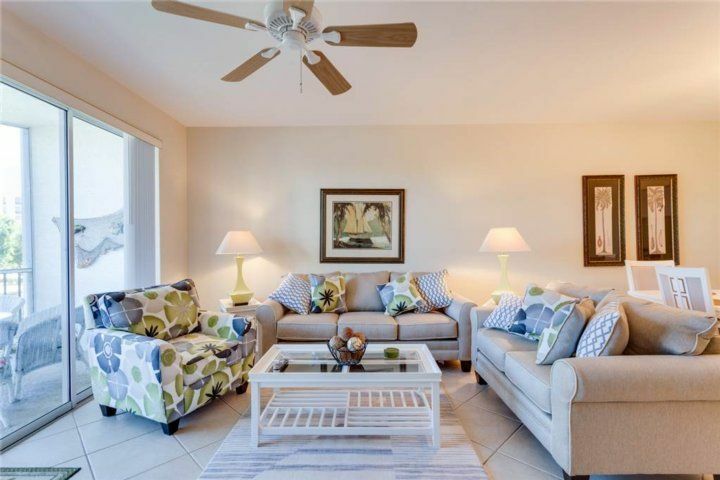 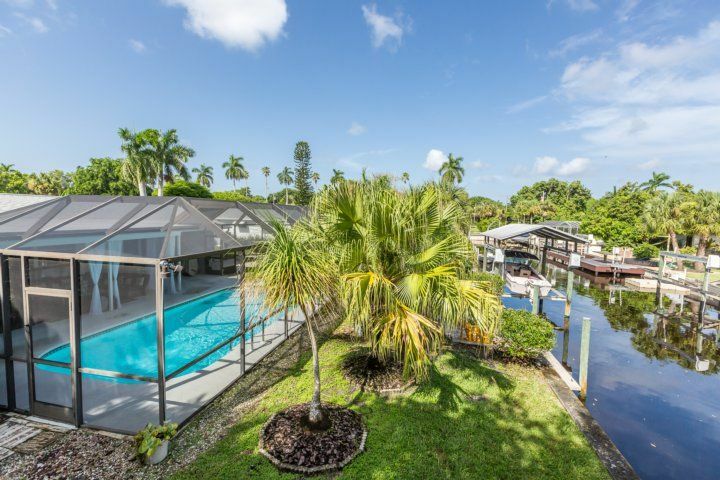 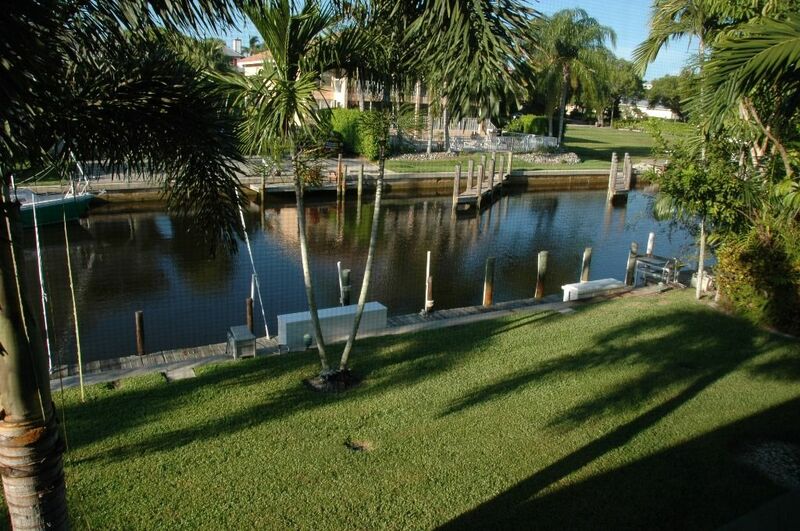 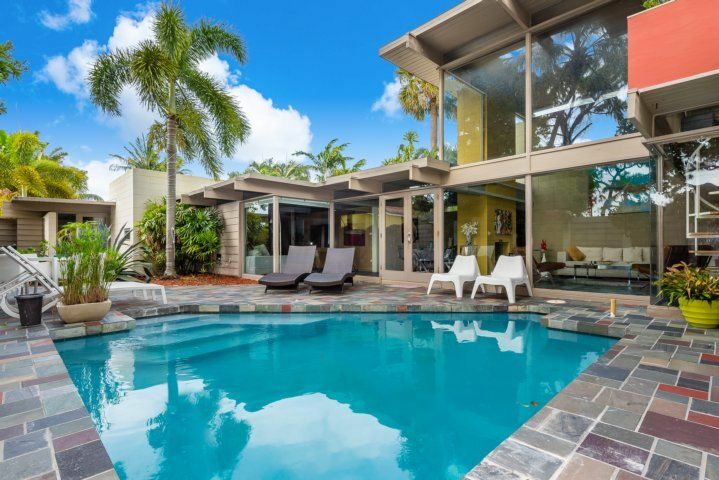 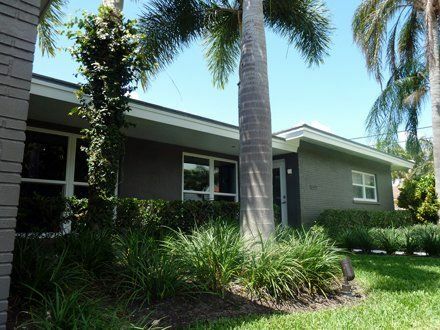 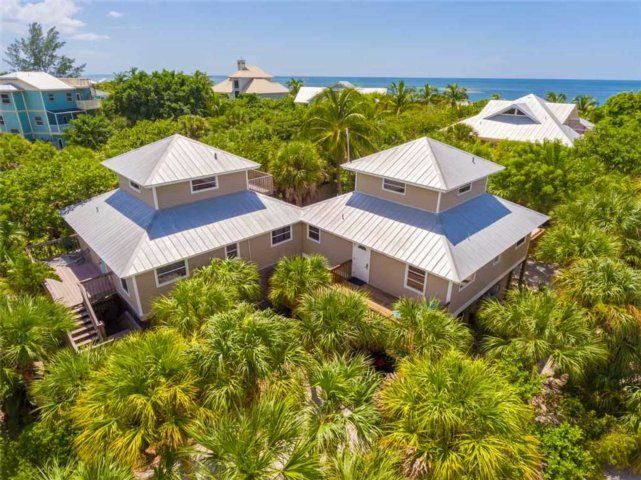 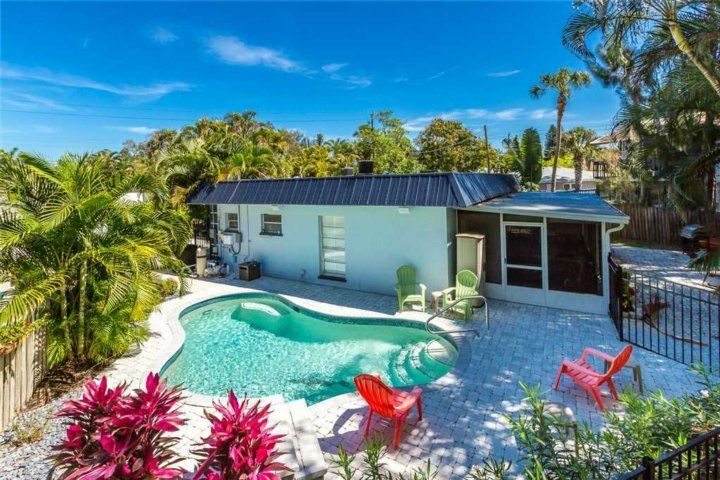 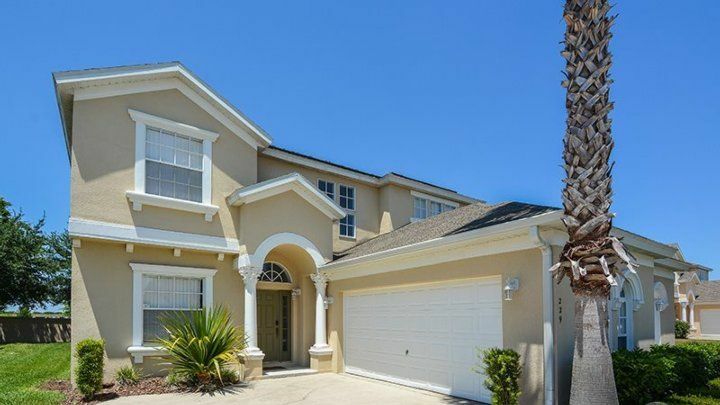 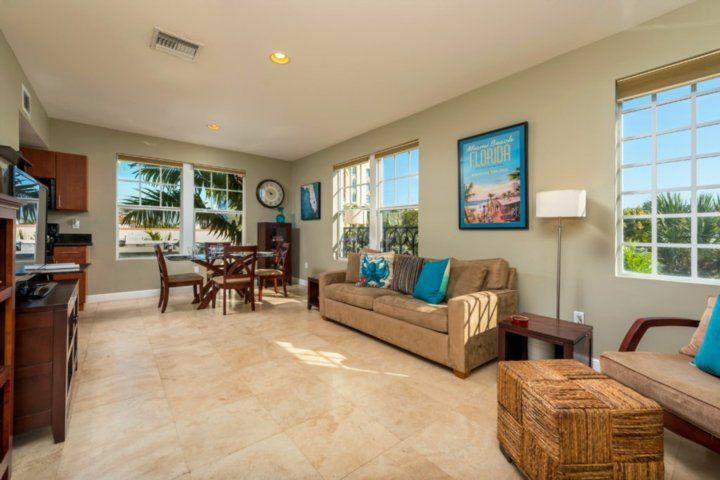 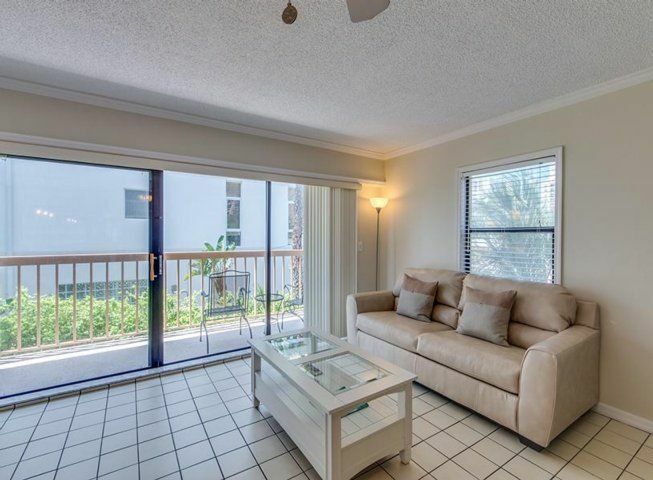 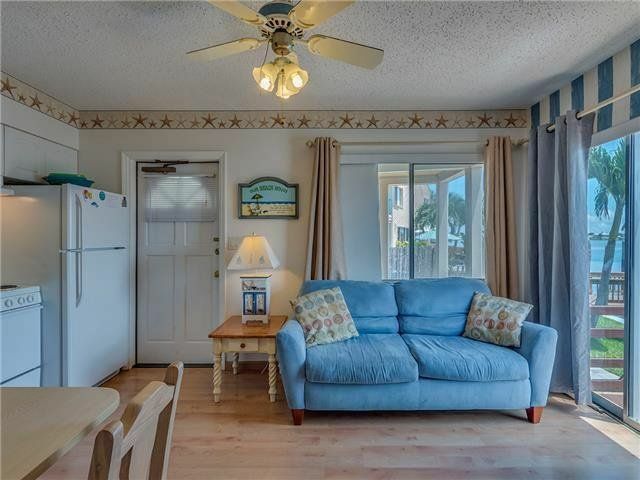 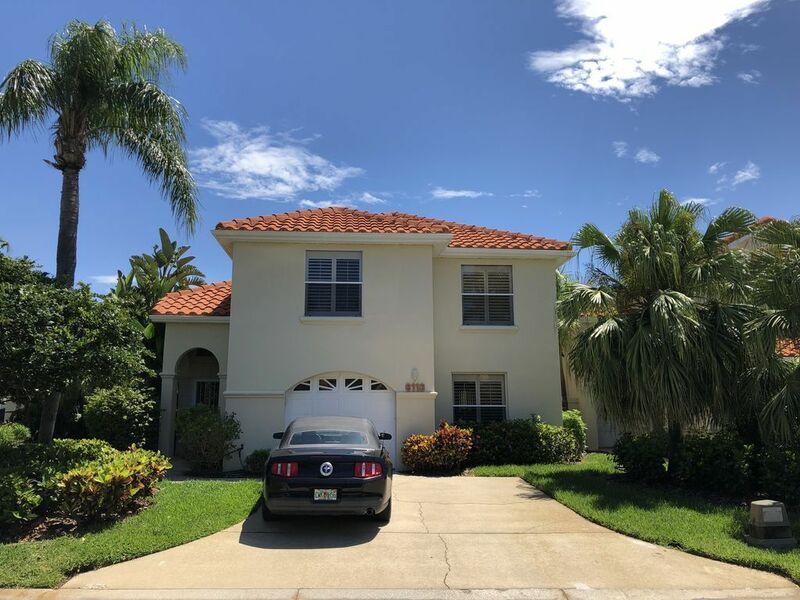 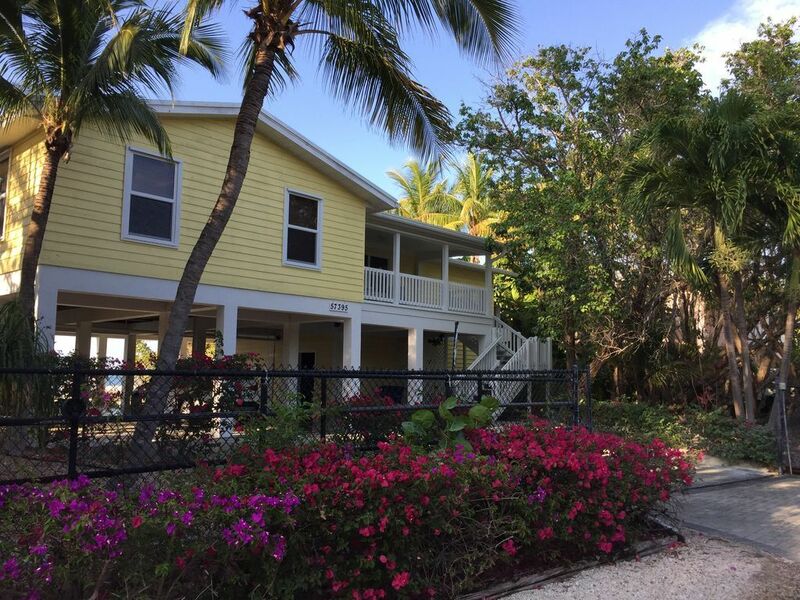 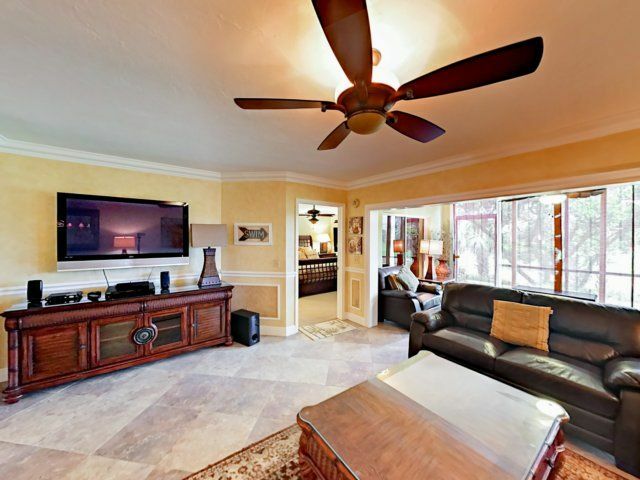 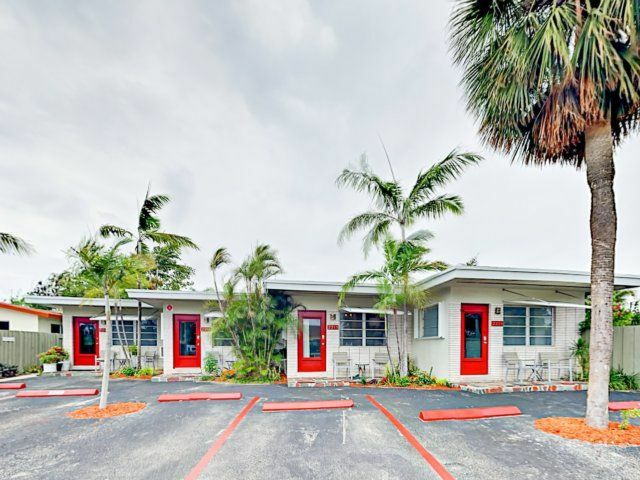 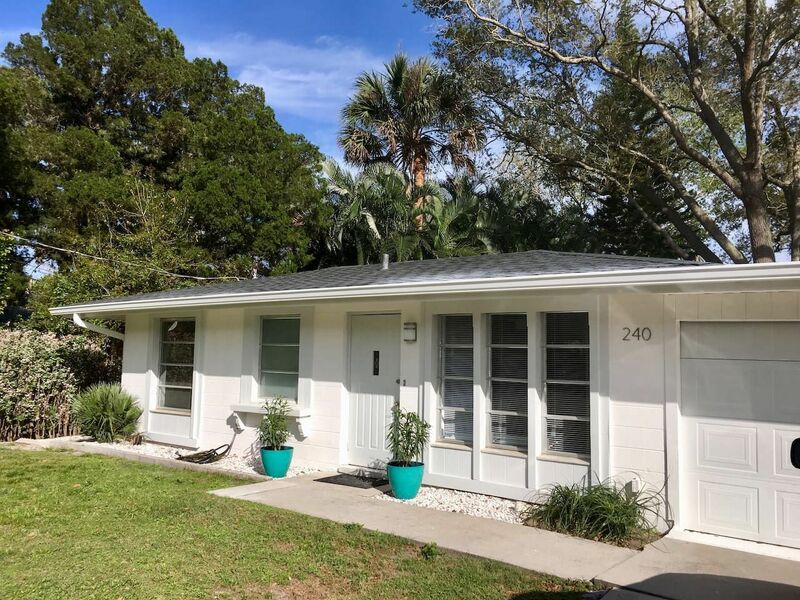 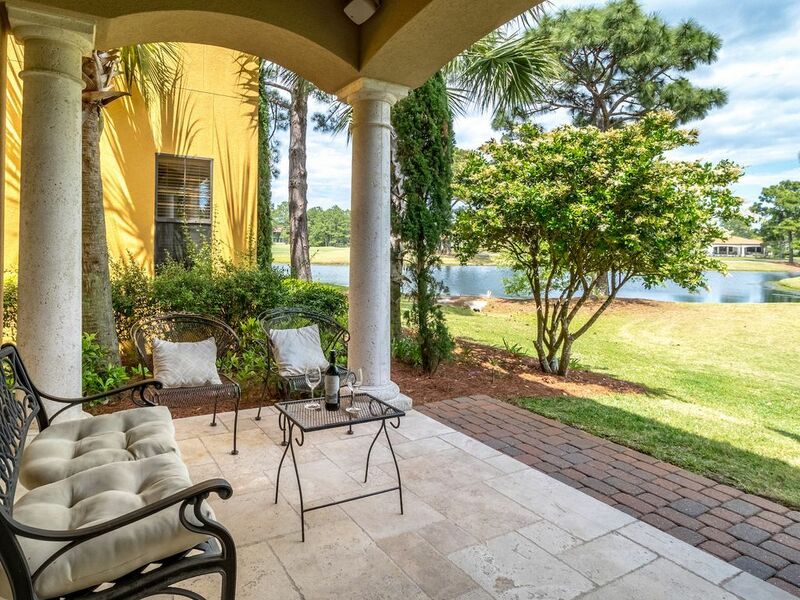 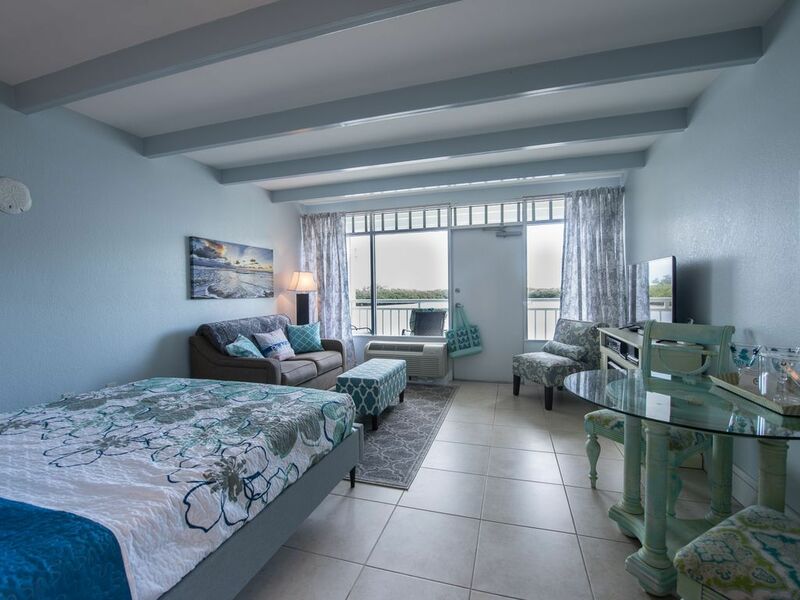 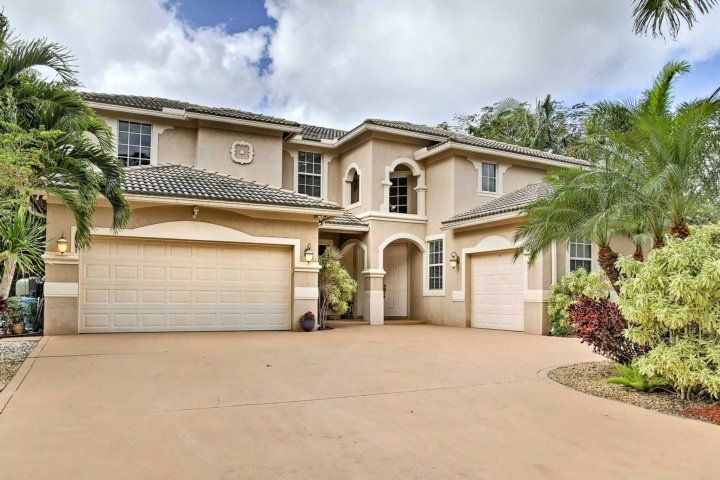 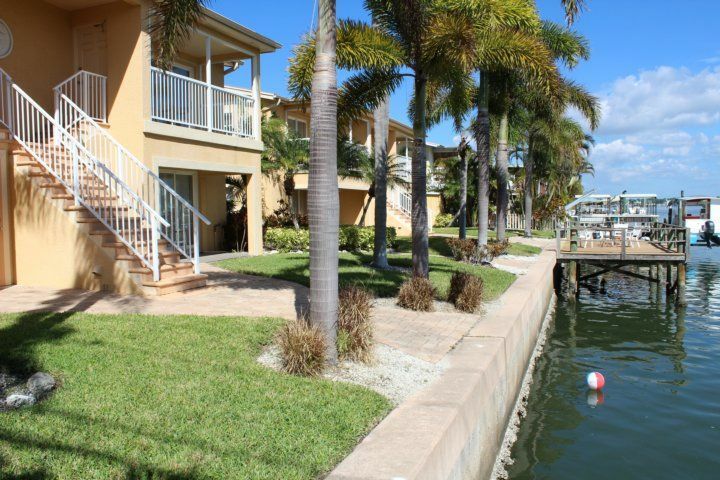 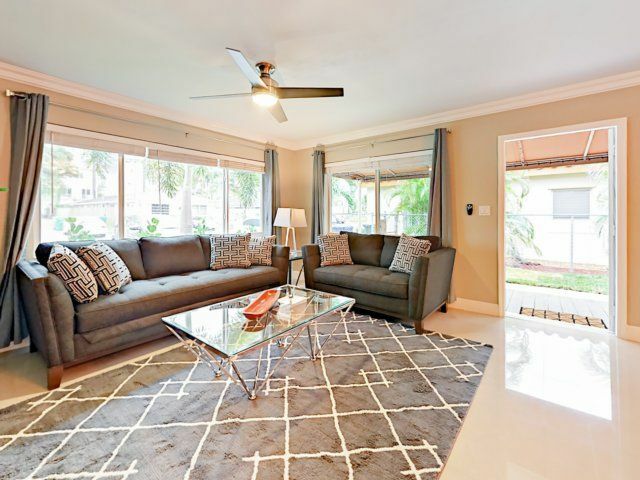 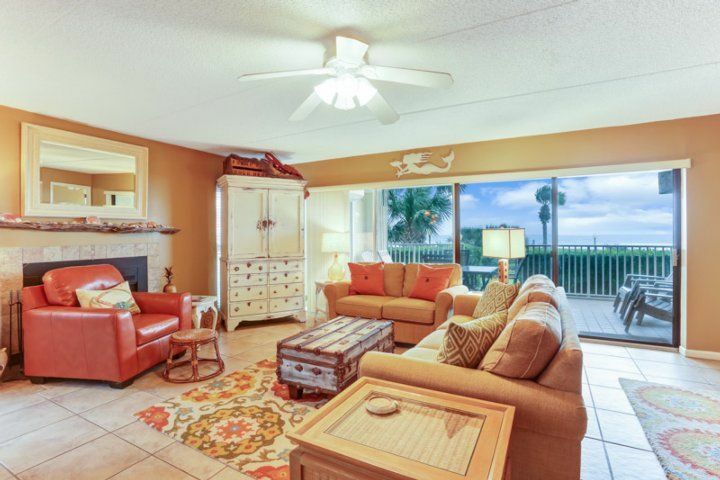 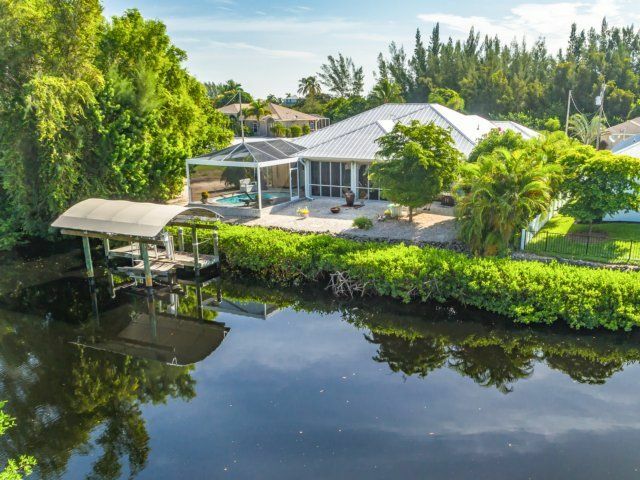 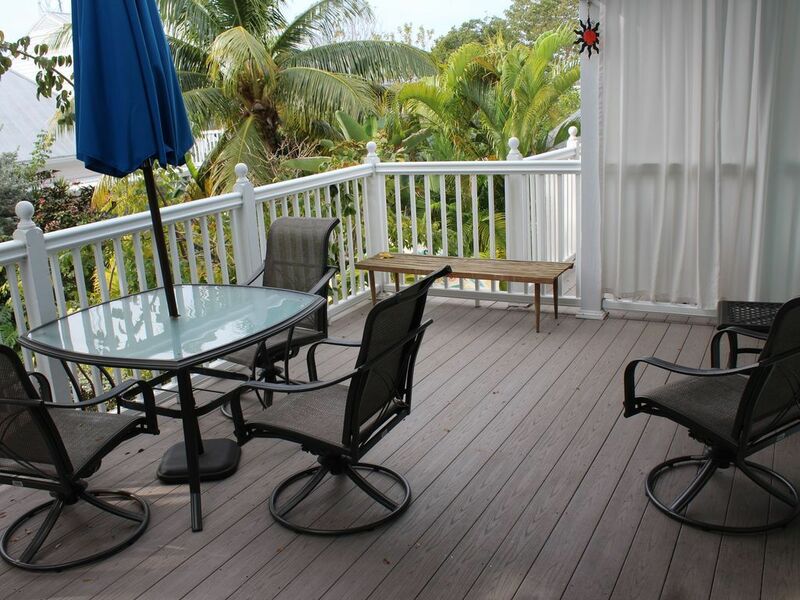 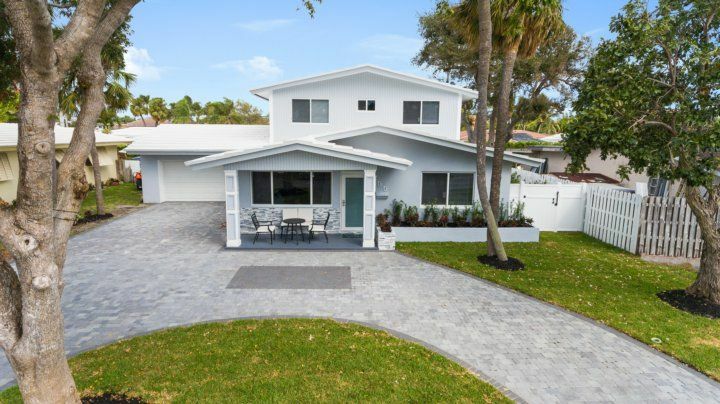 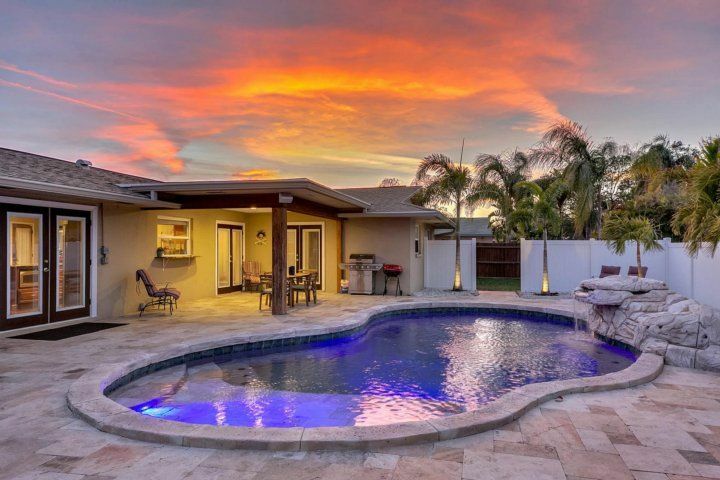 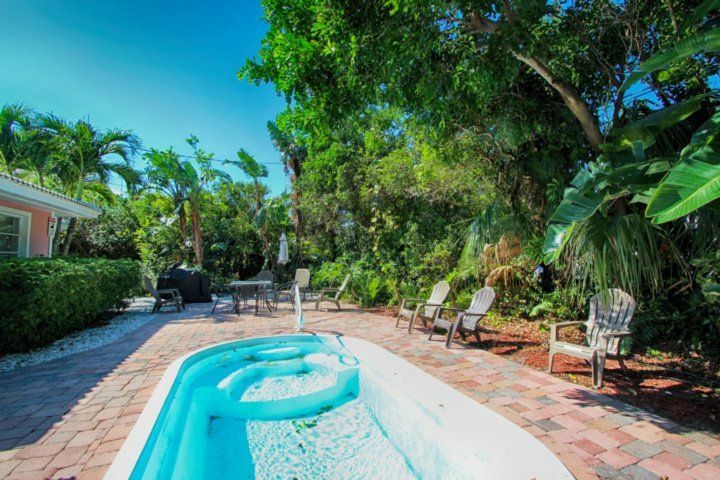 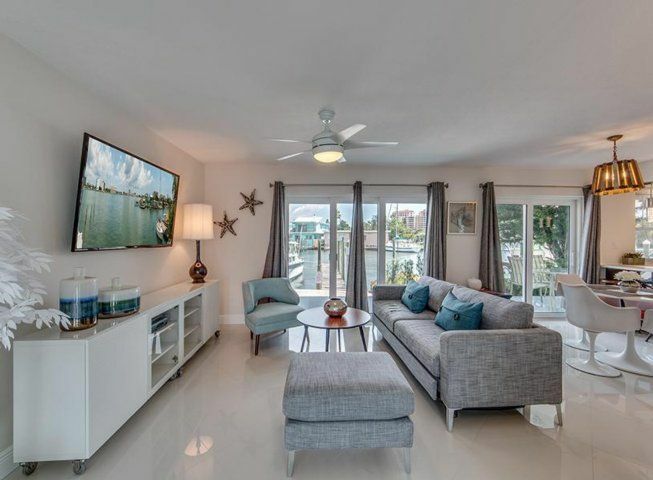 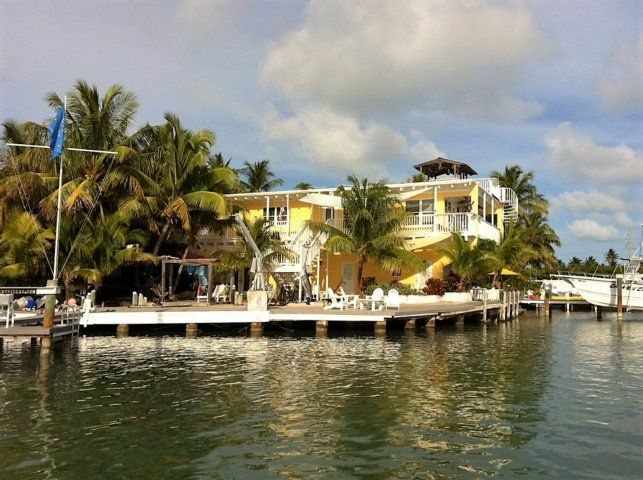 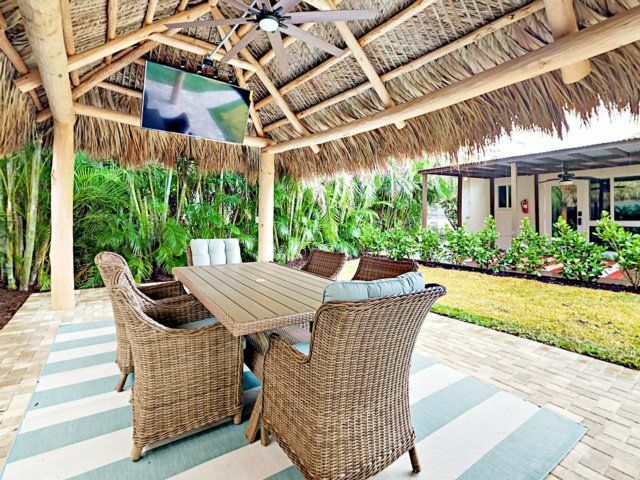 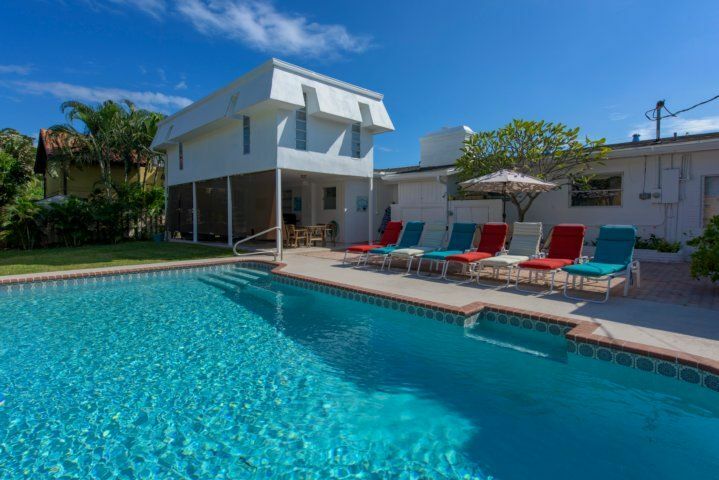 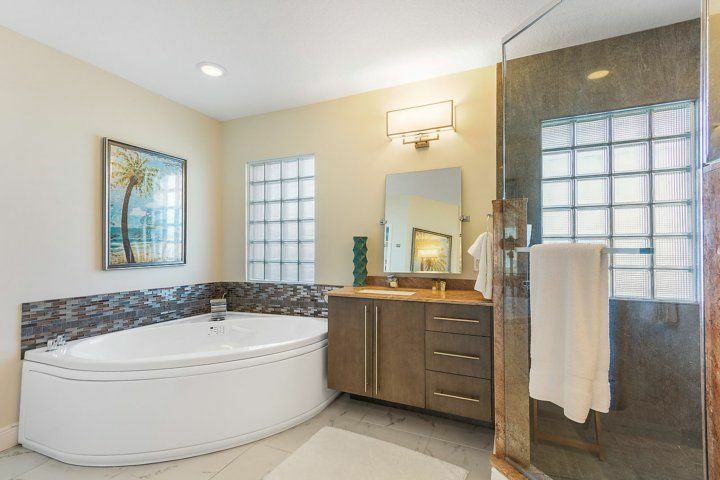 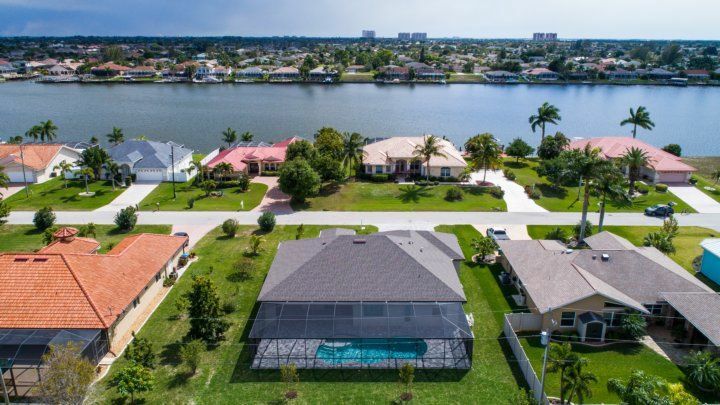 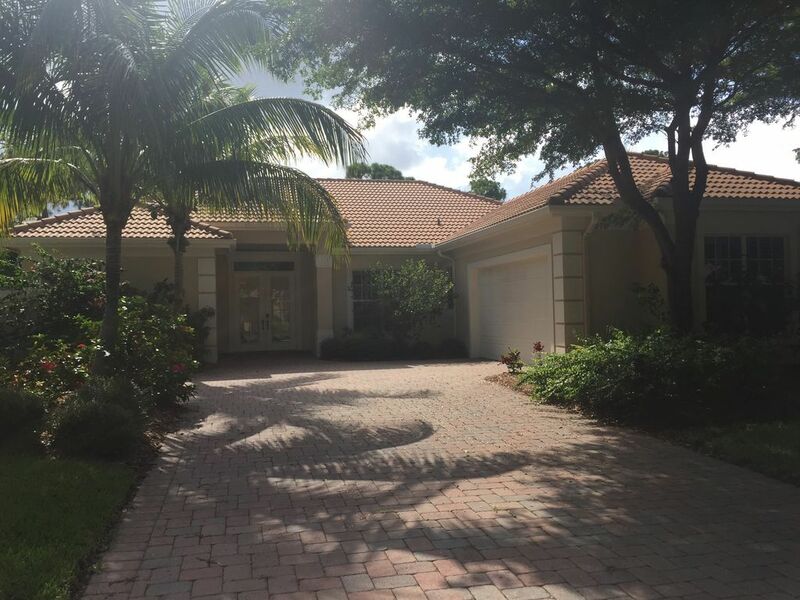 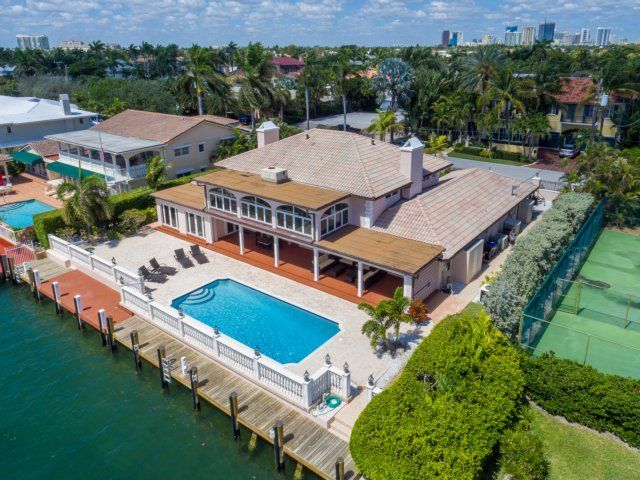 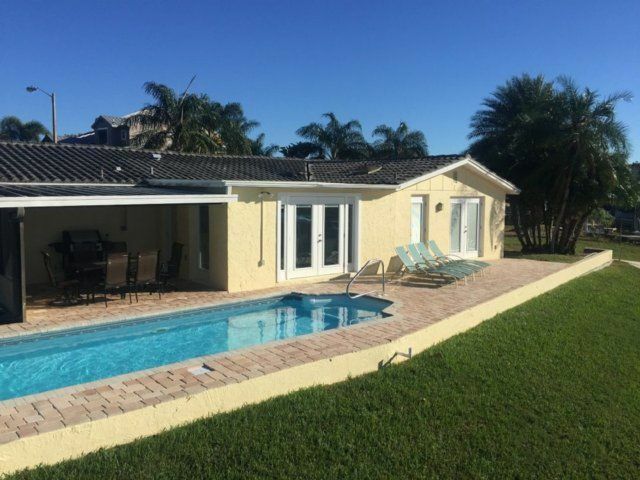 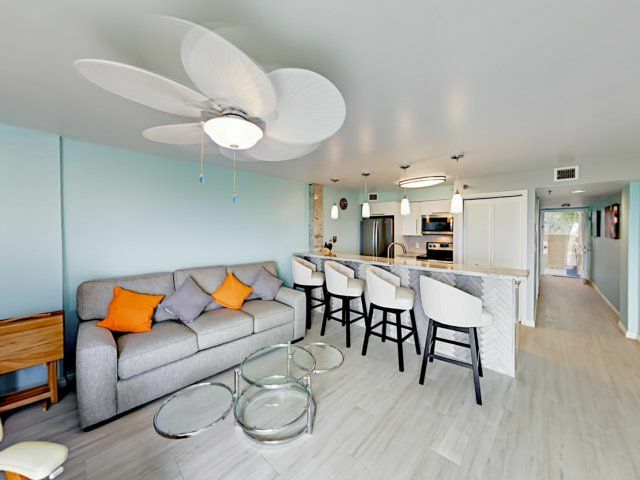 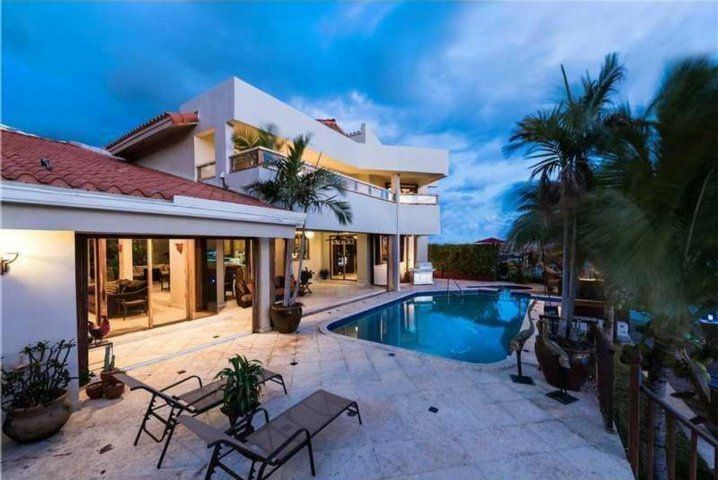 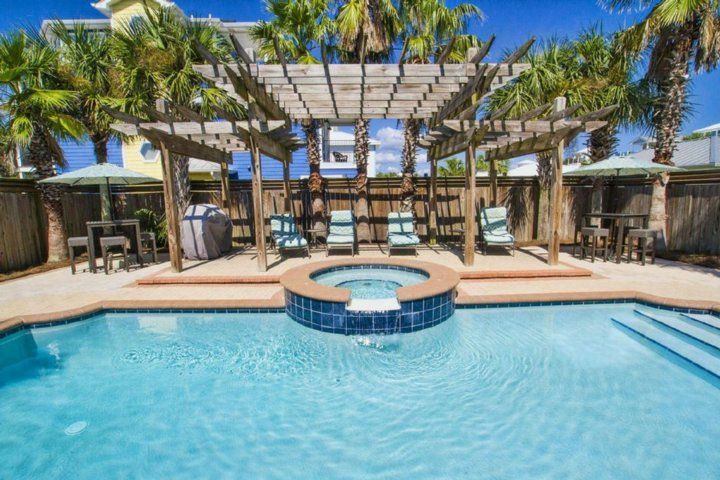 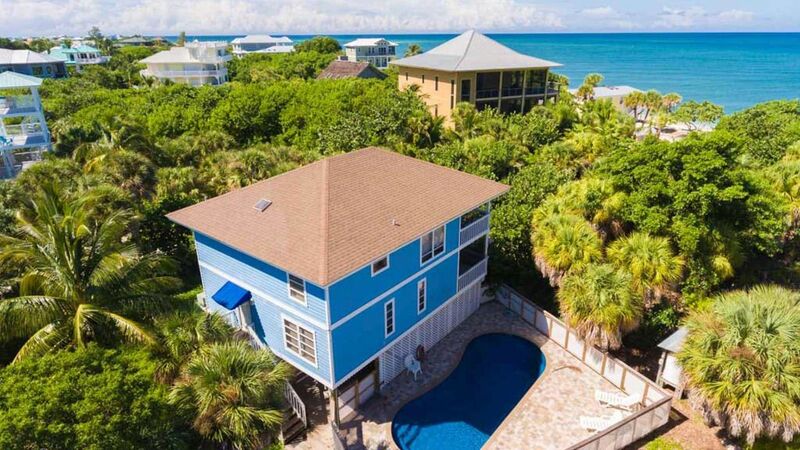 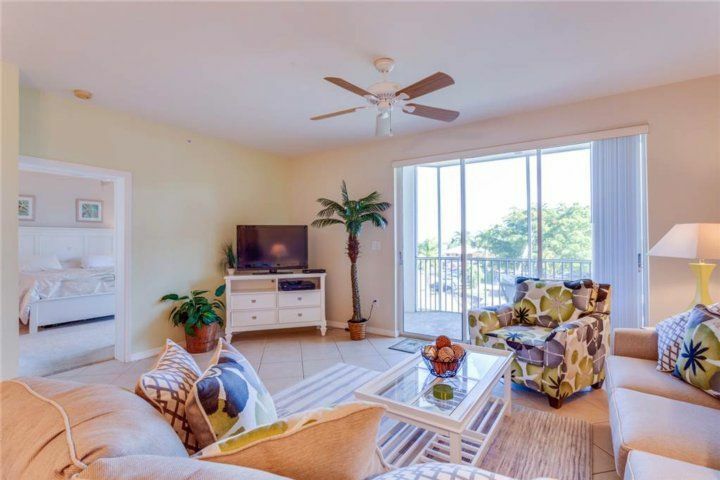 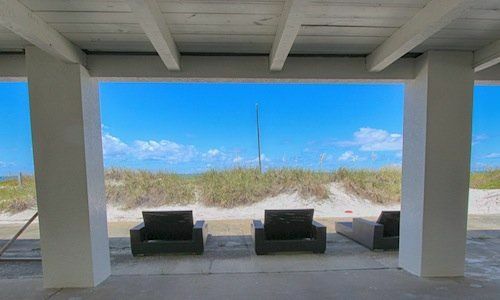 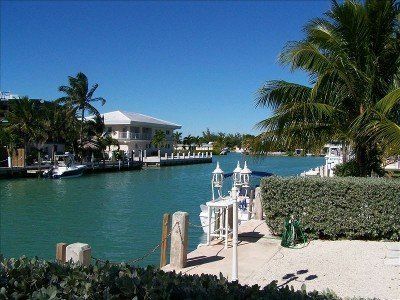 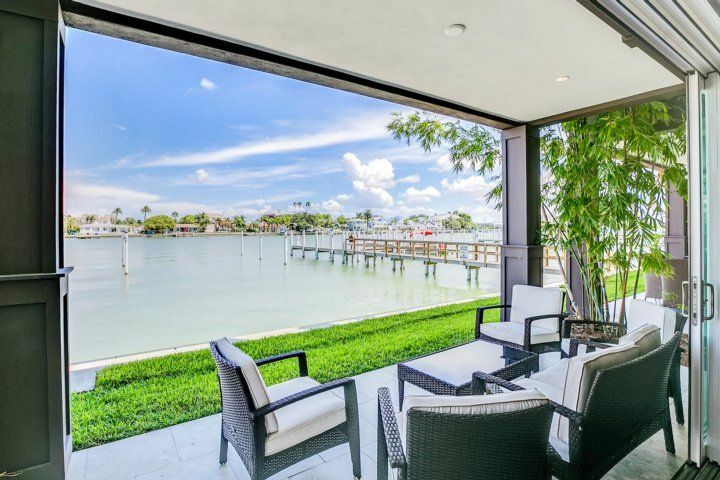 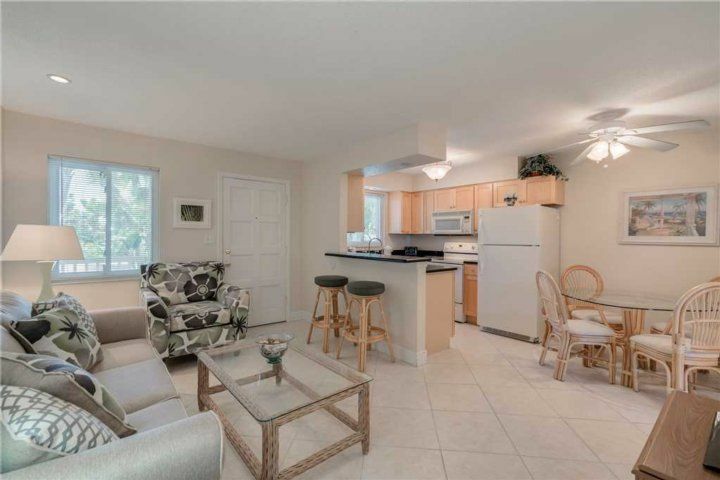 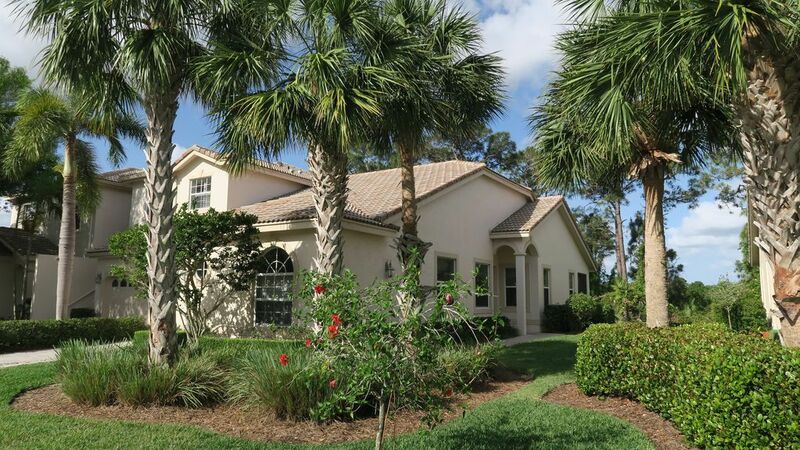 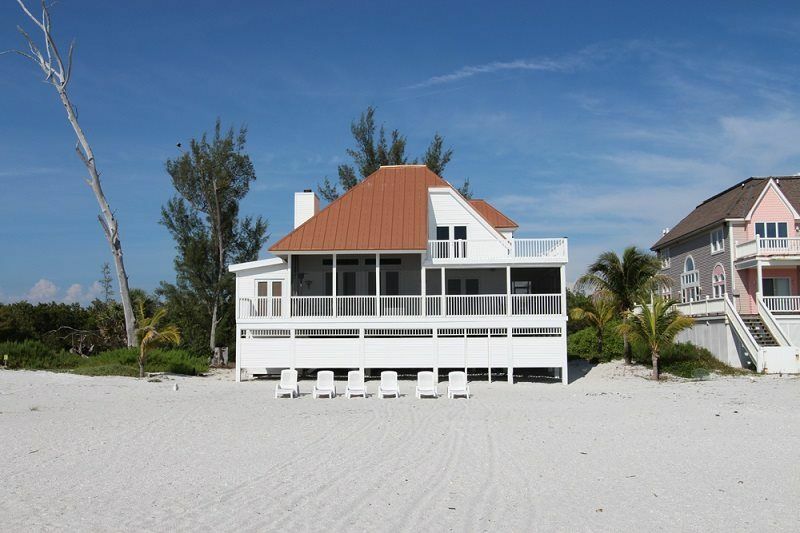 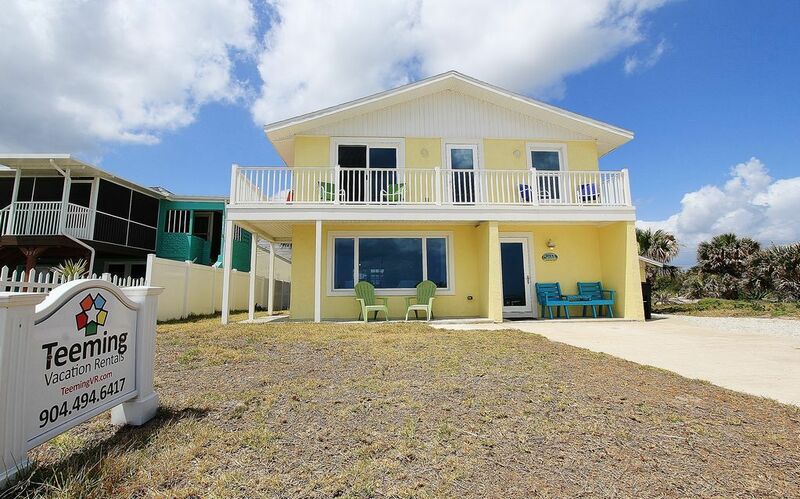 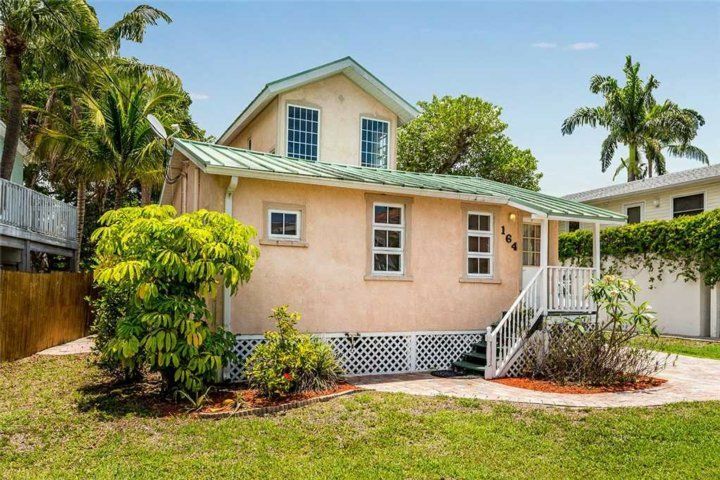 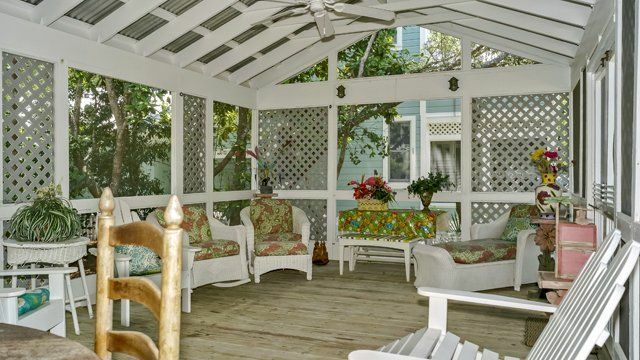 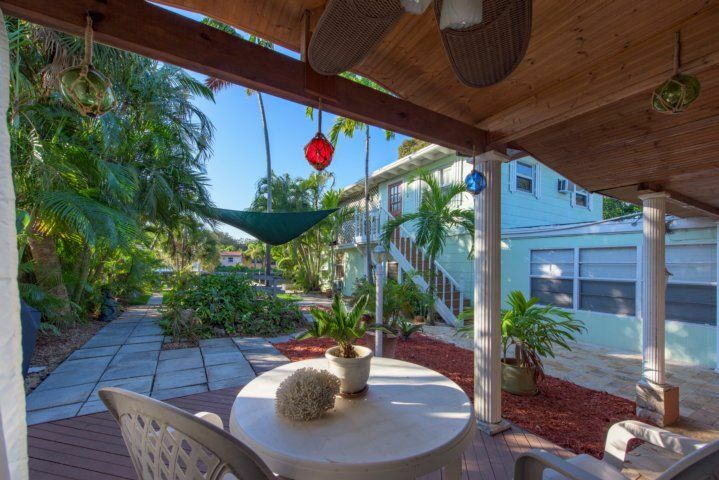 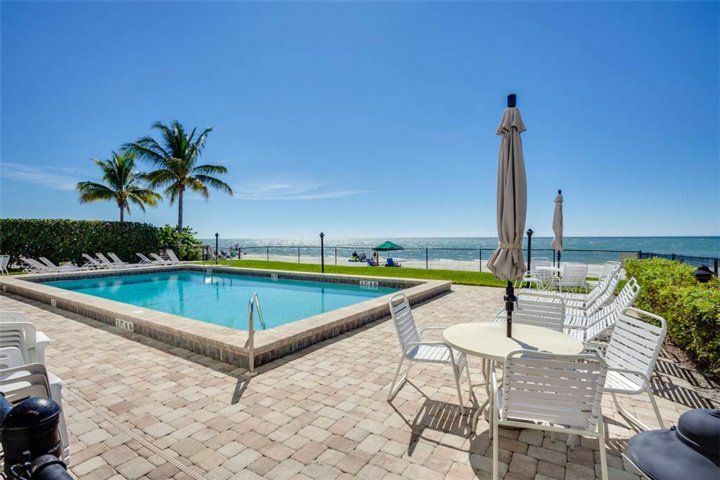 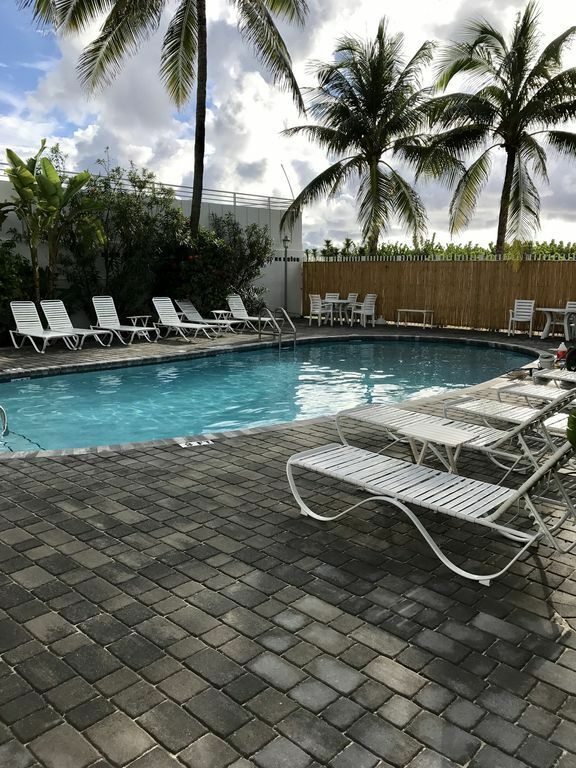 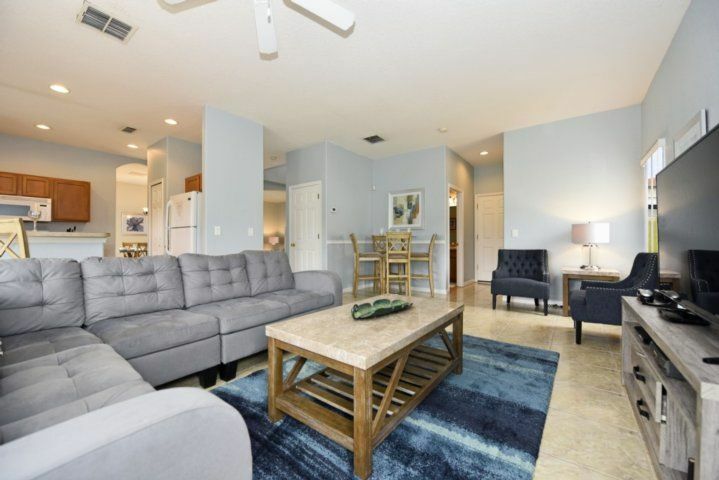 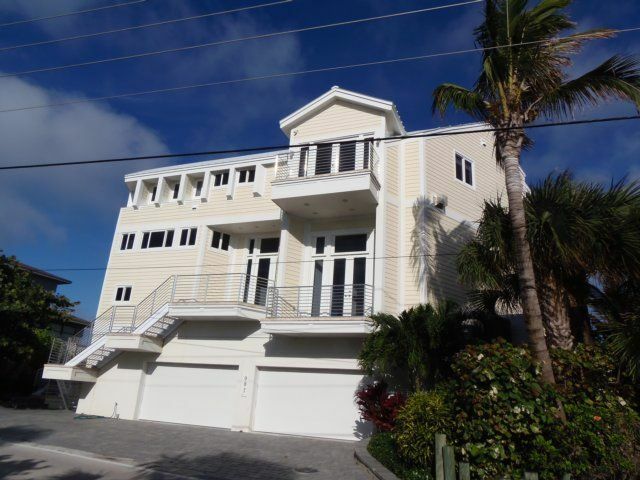 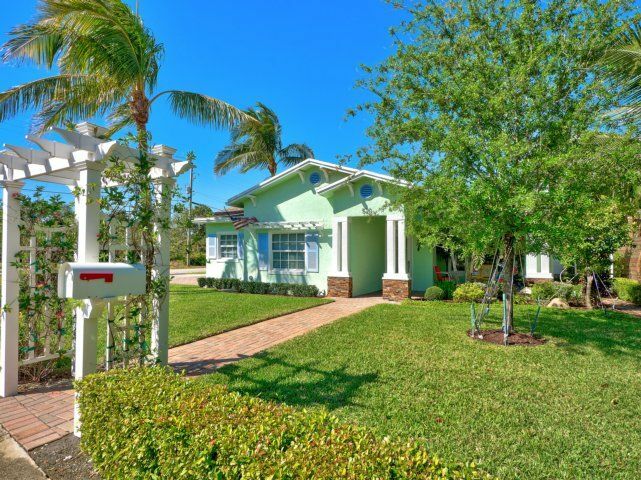 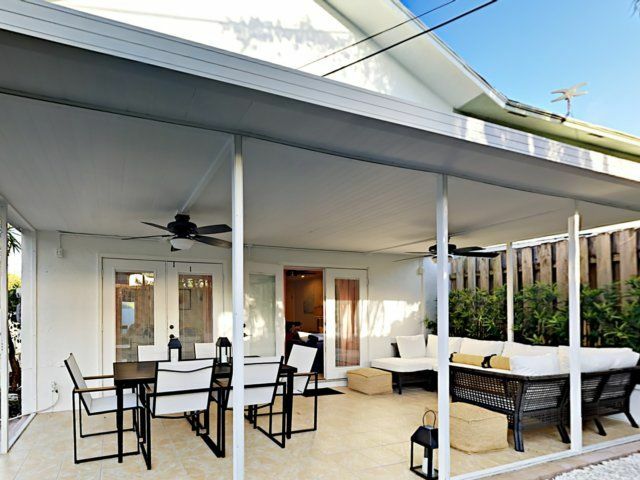 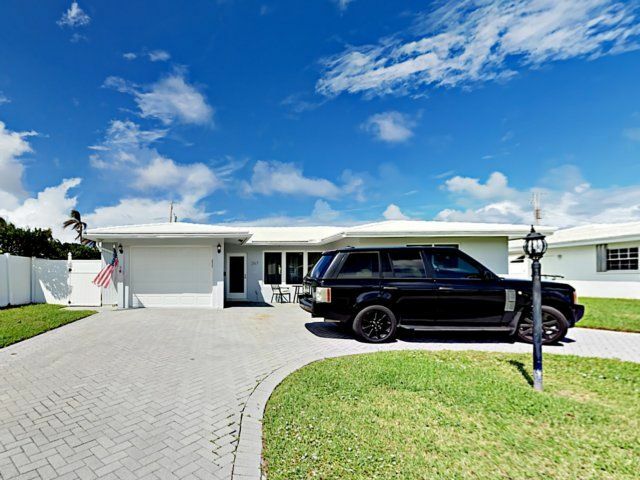 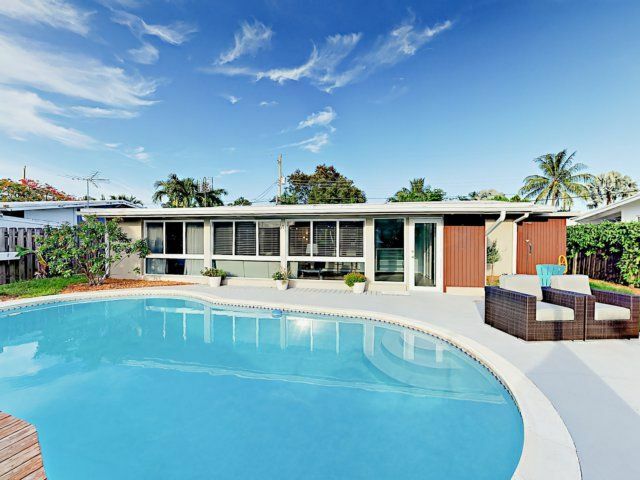 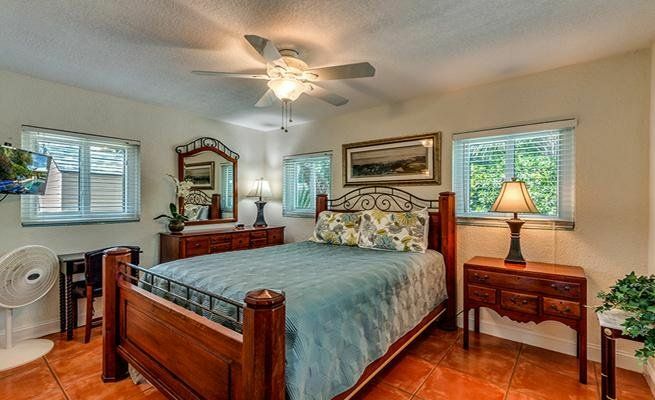 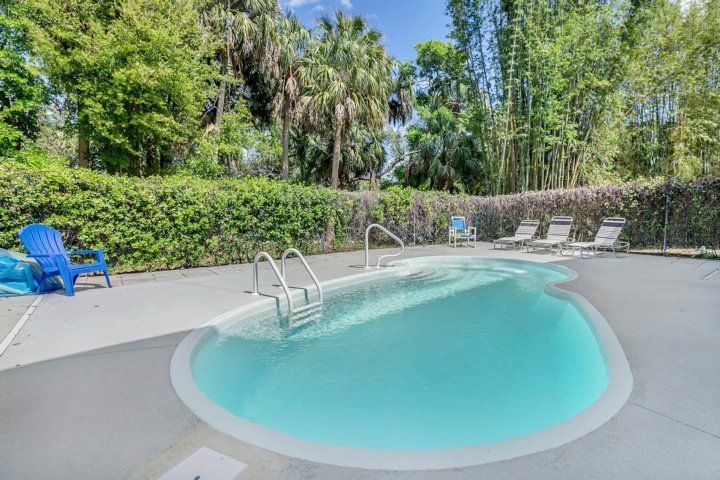 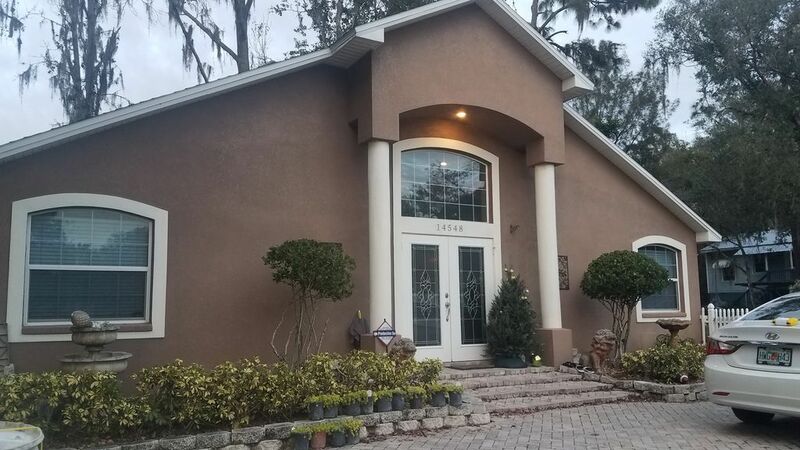 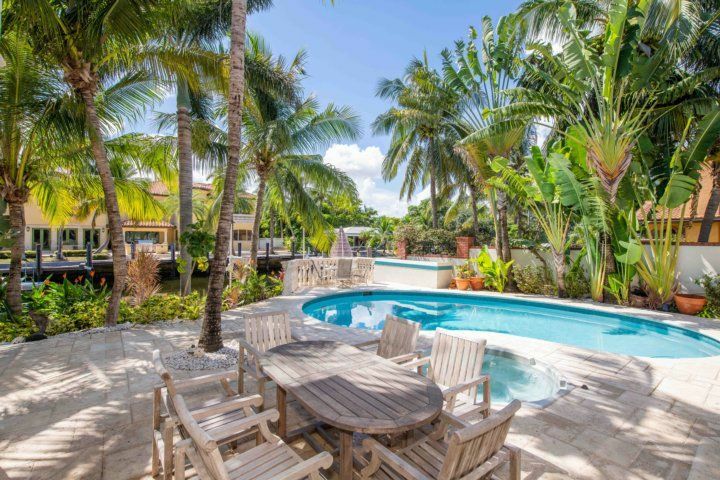 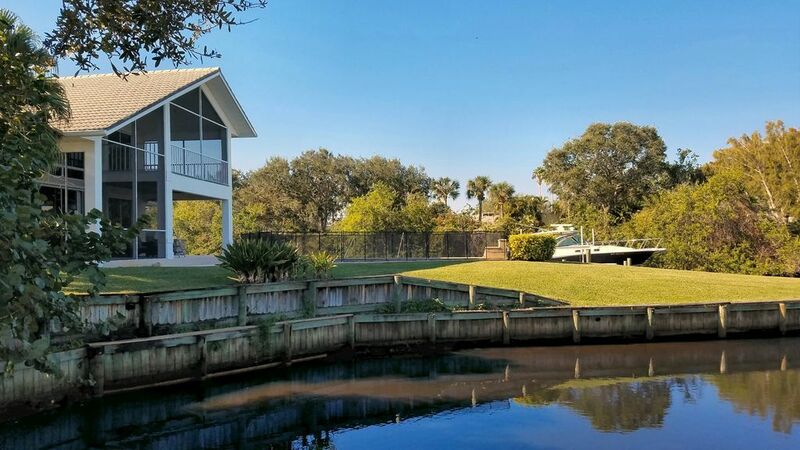 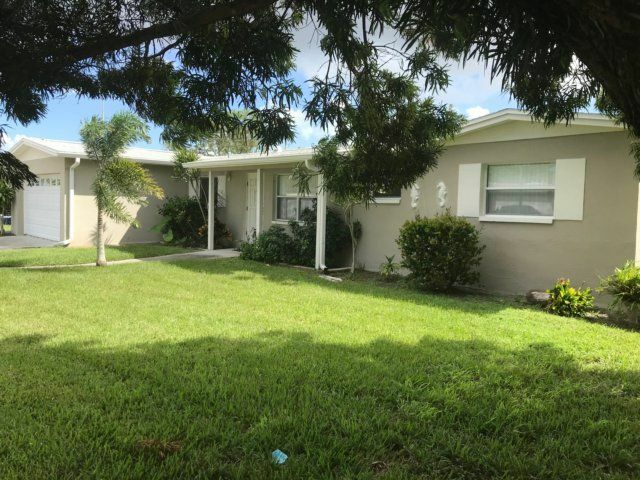 Situated along a canal overlooking Estero Bay, Casa Marina 623-6 is a Fort Myers Beach beauty that will be an ideal getaway for up to five vacationers when the handy queen sleeper sofa is put to use. 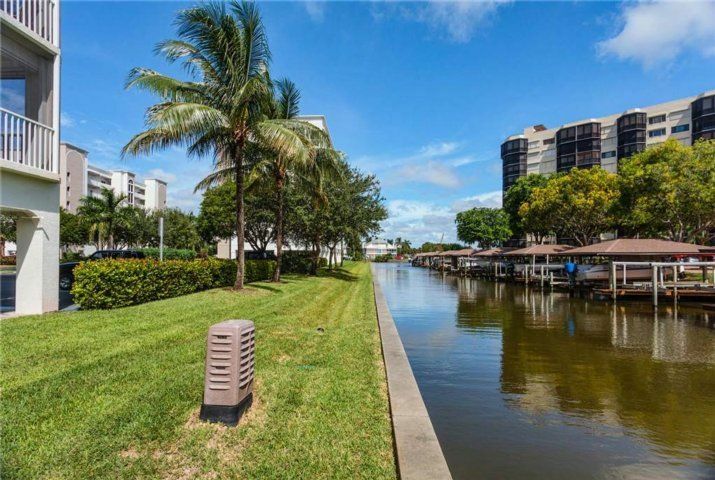 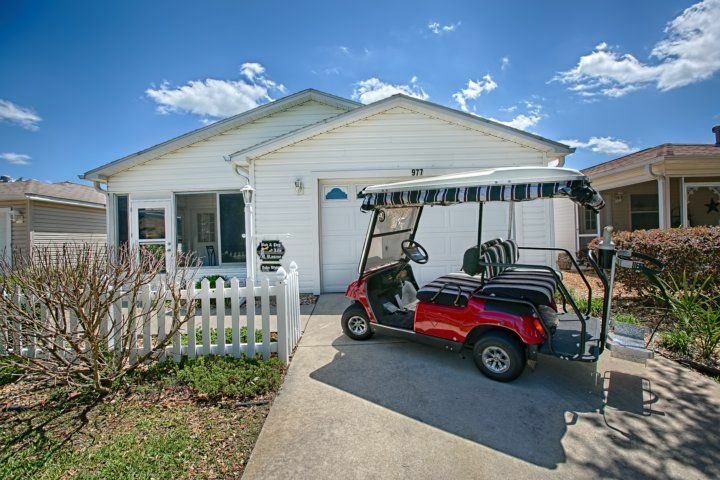 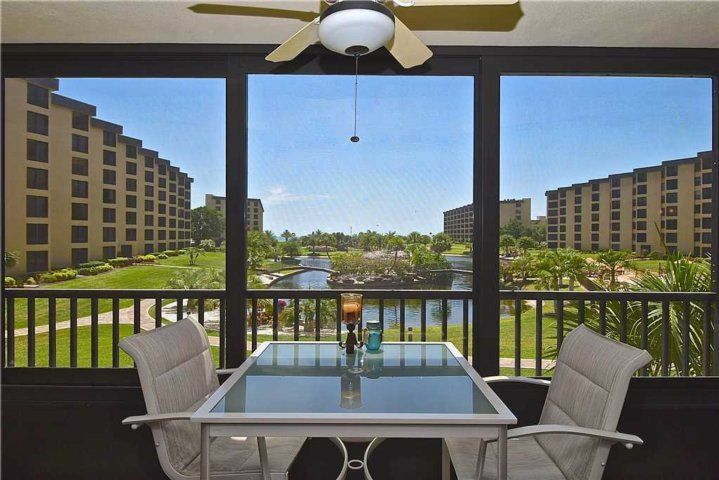 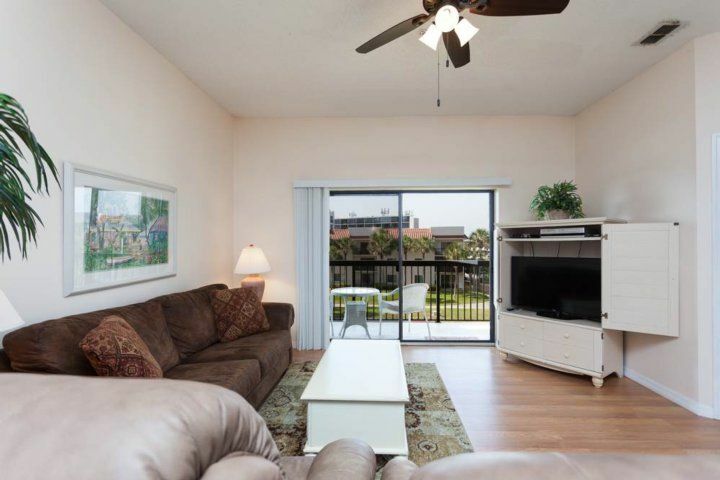 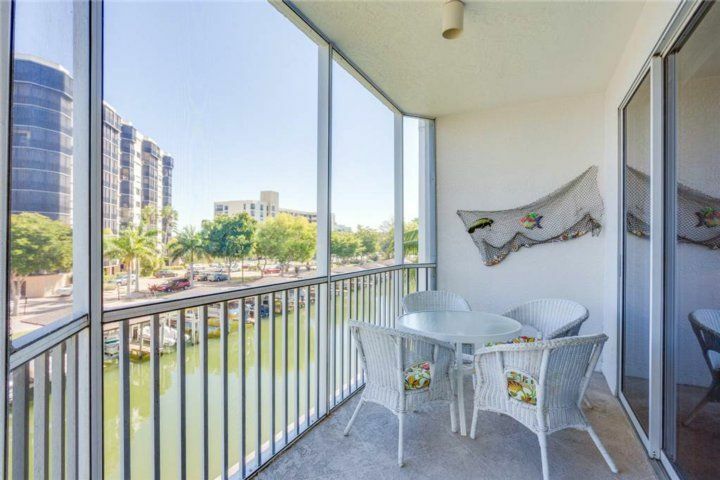 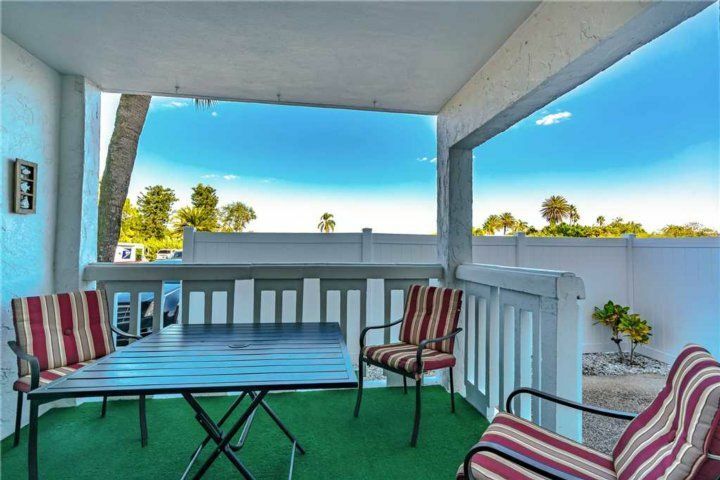 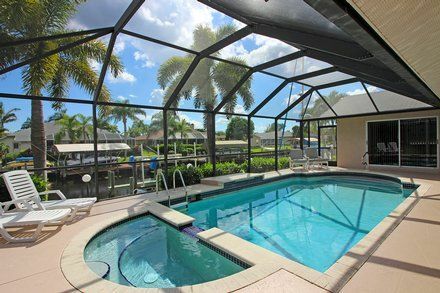 The condo is on the second floor, so you’ll have a great view of boats and all the activities on the canal below your lanai. 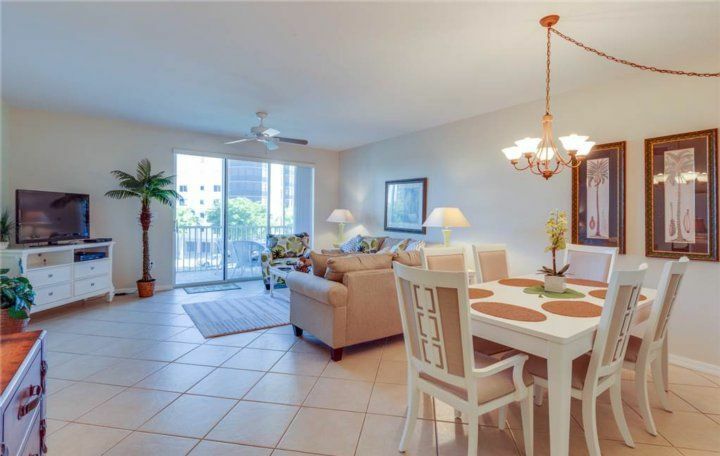 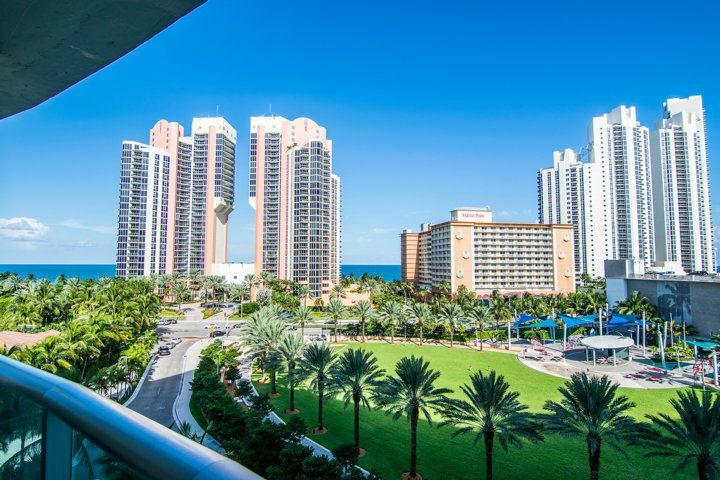 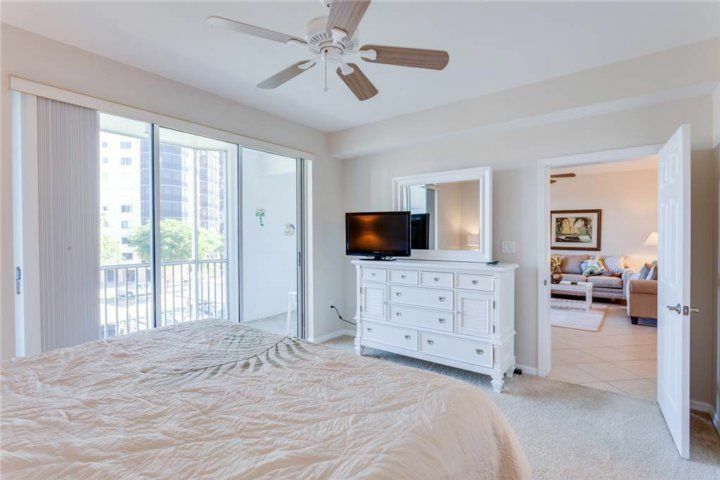 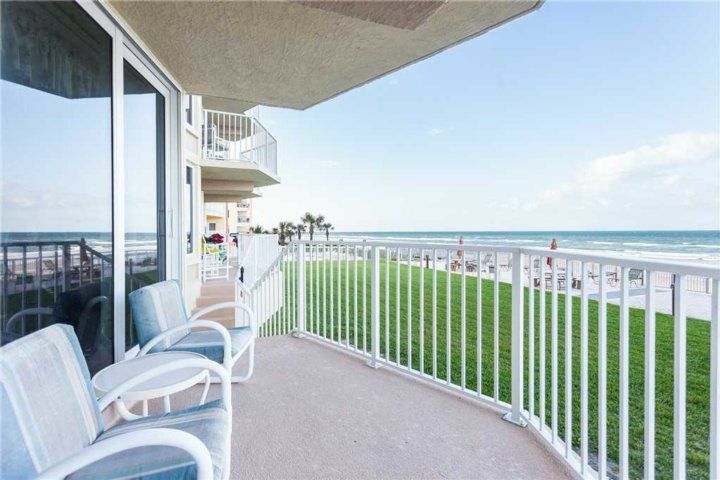 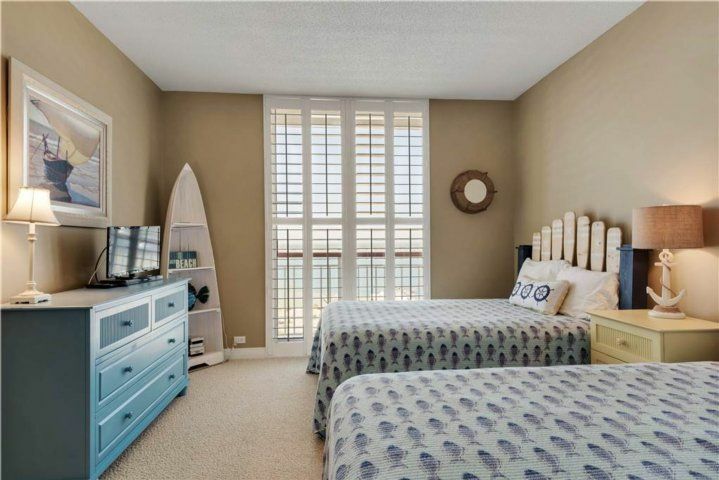 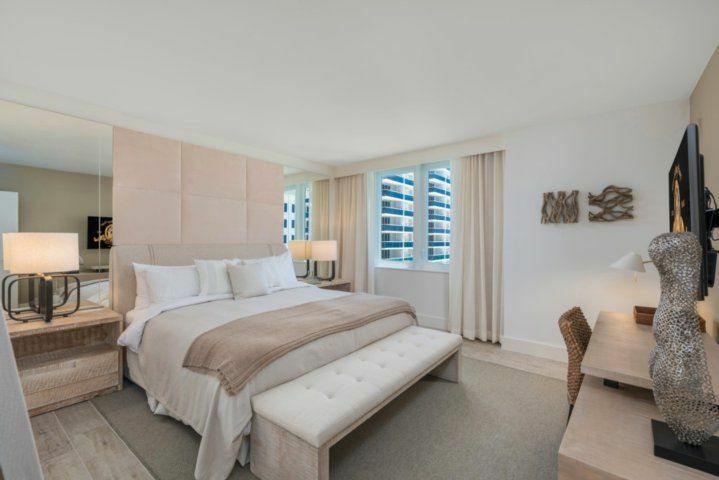 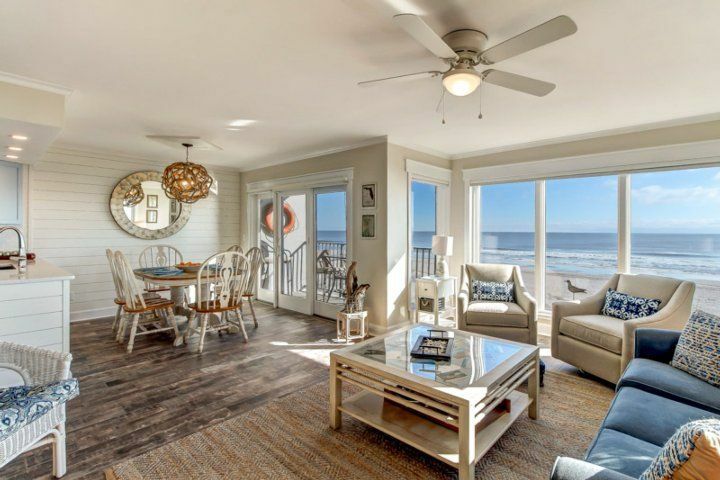 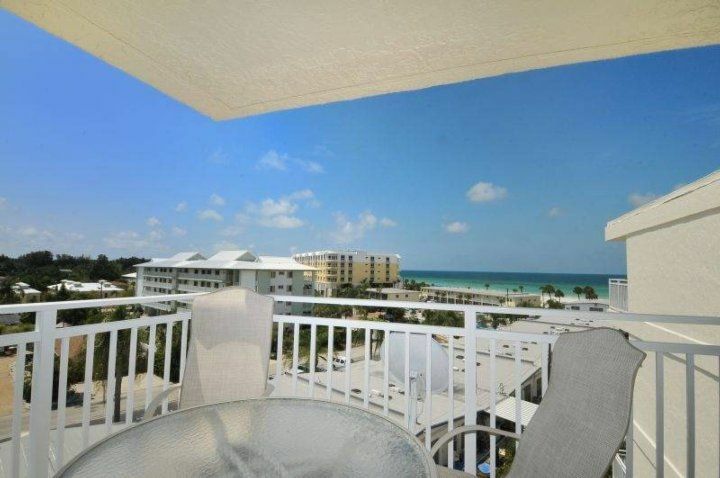 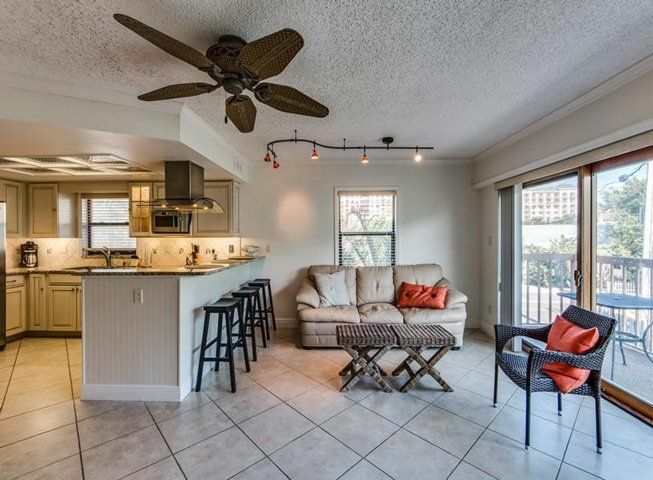 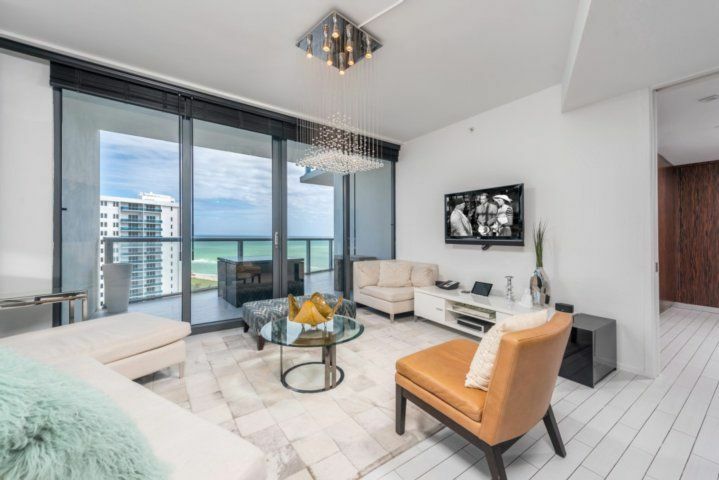 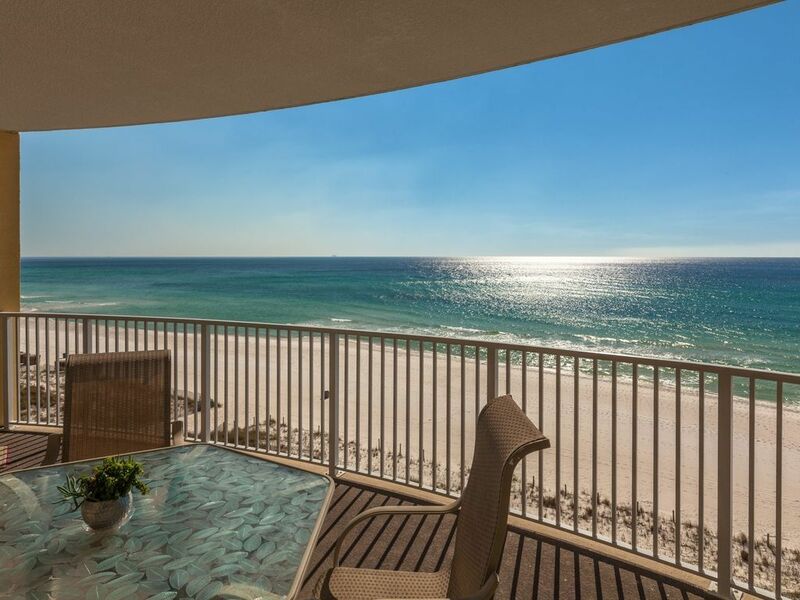 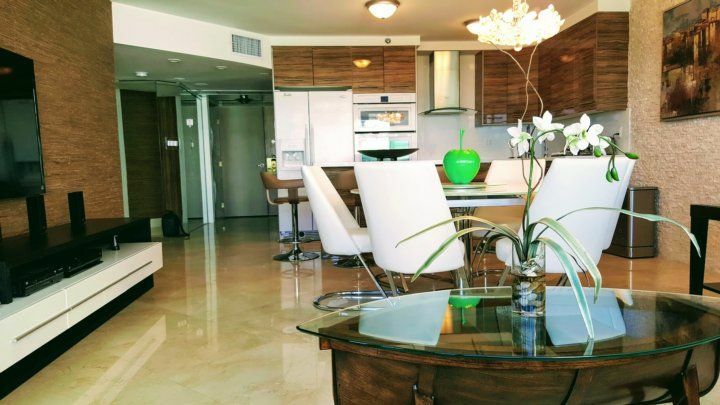 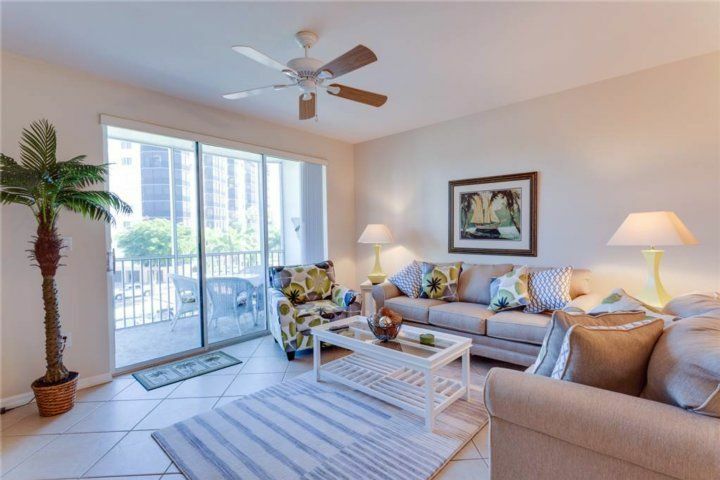 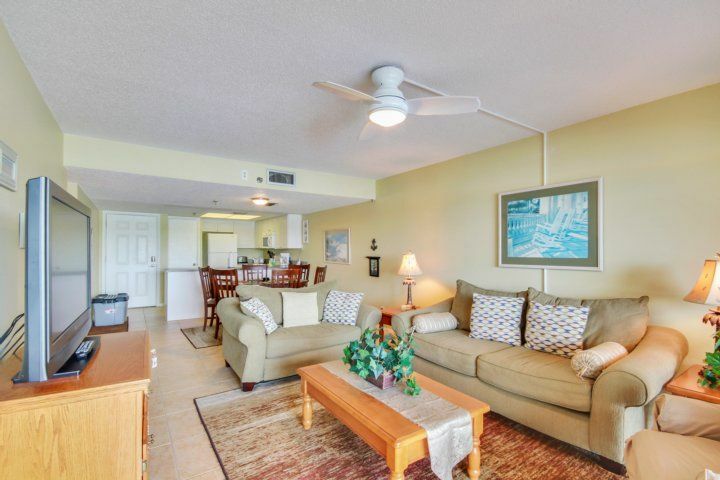 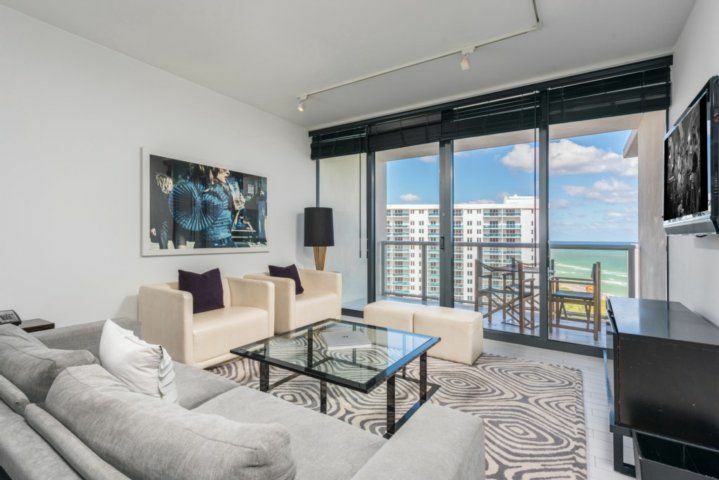 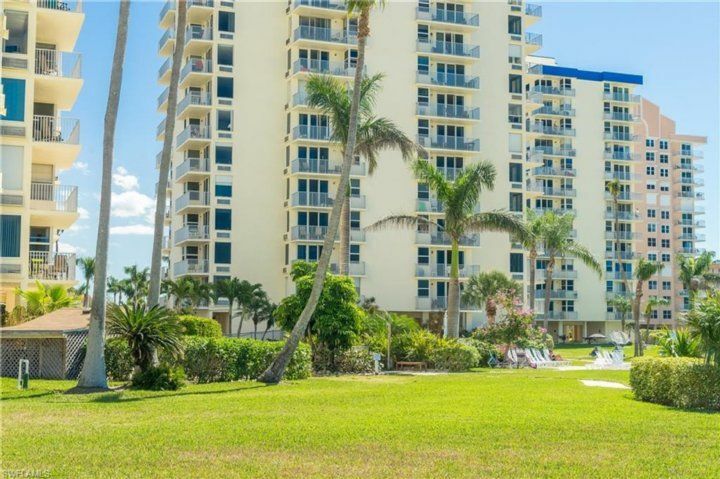 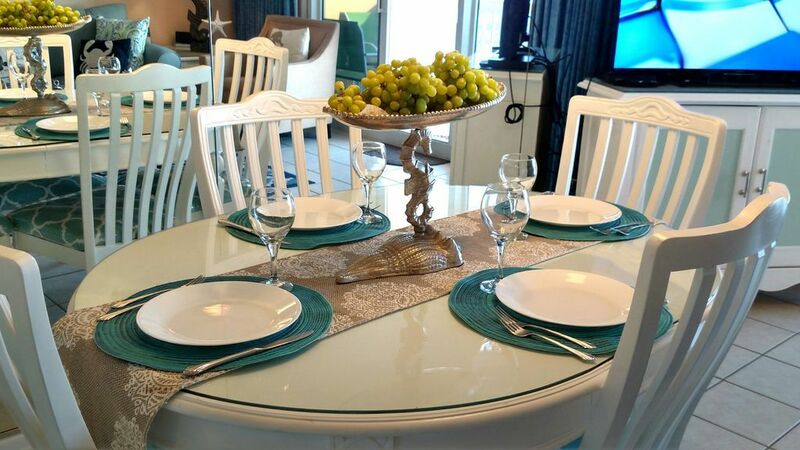 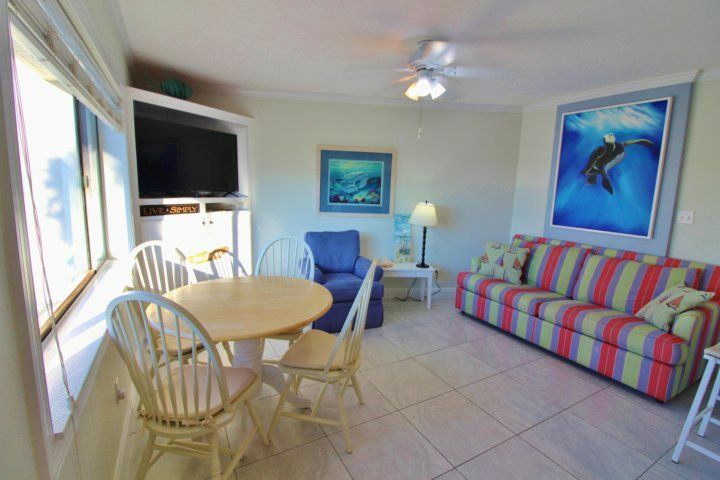 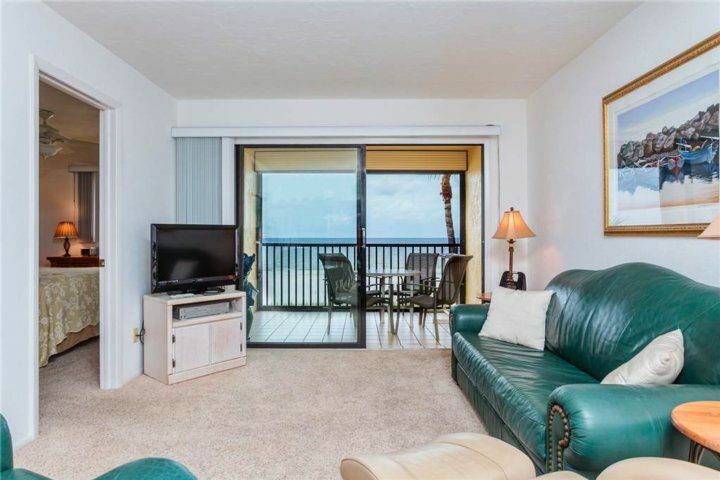 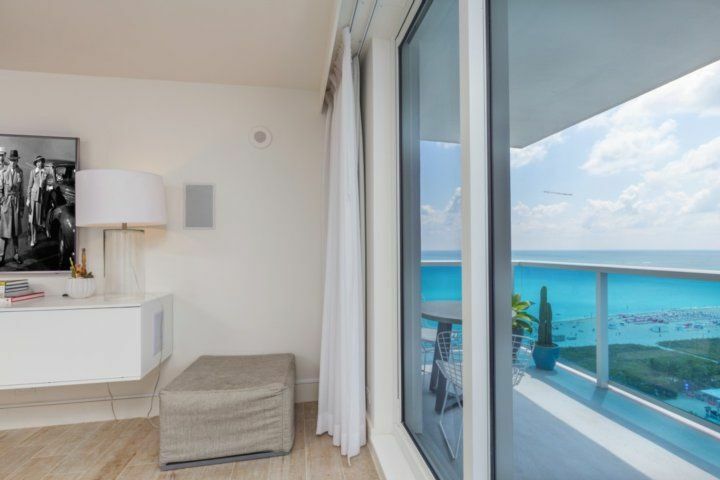 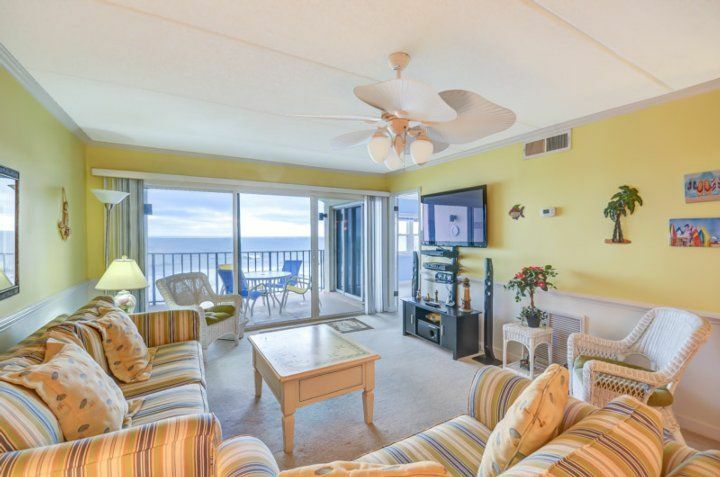 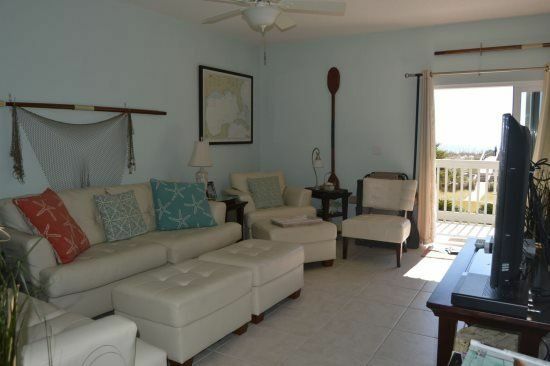 Casa Marina 623-6 is a two-bedroom/ two bathroom air-conditioned condo that offers large, expansive accommodations that give guests lots of room to spread out and relax. 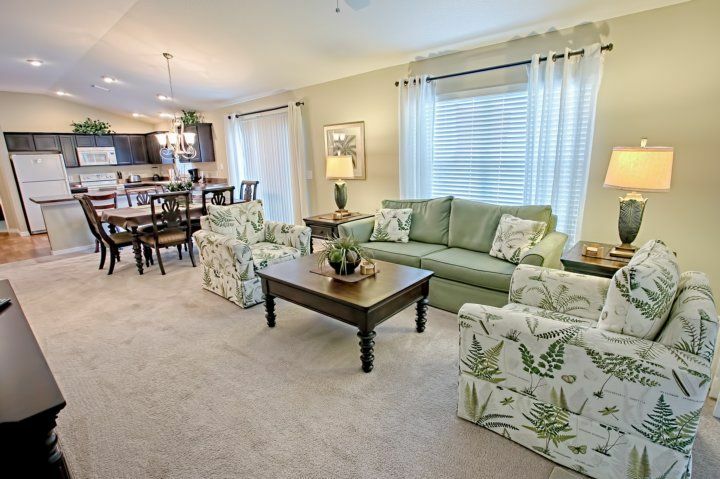 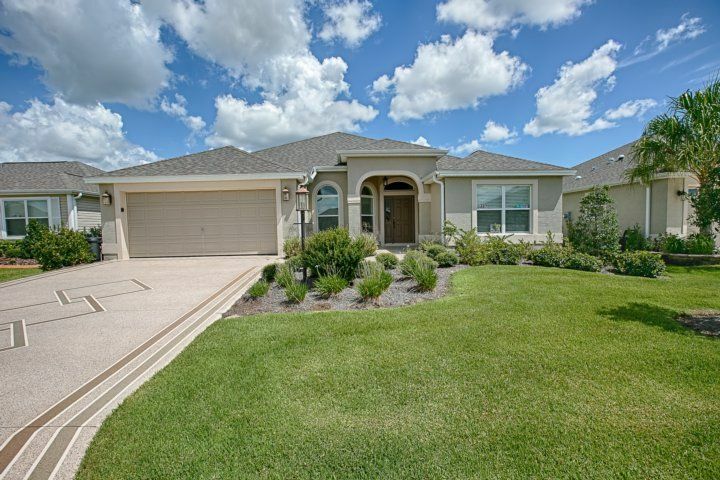 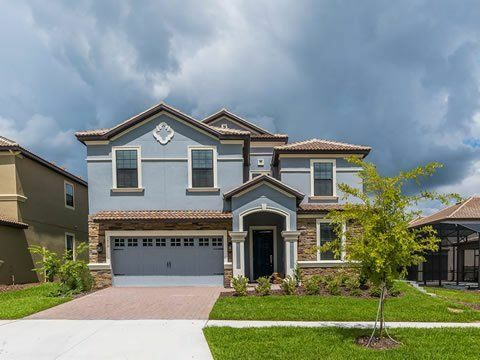 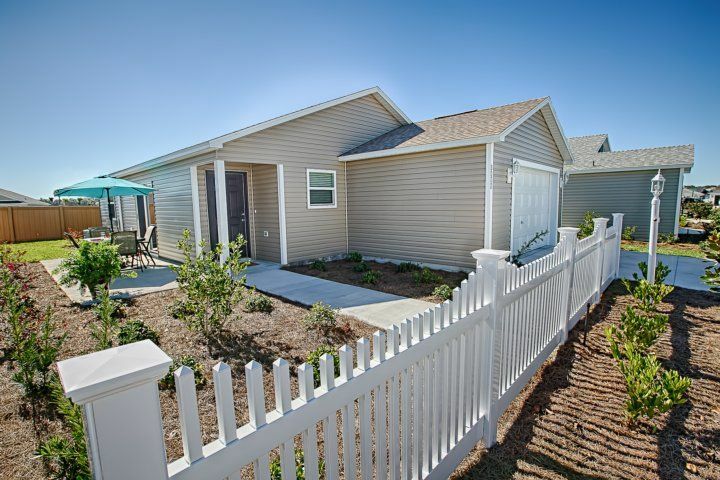 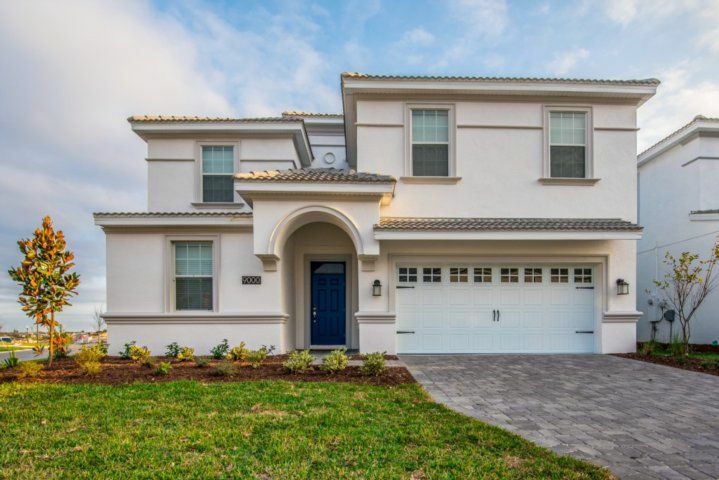 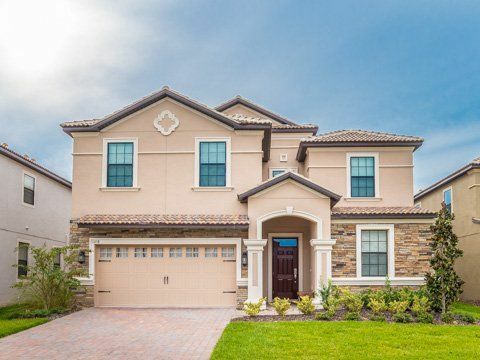 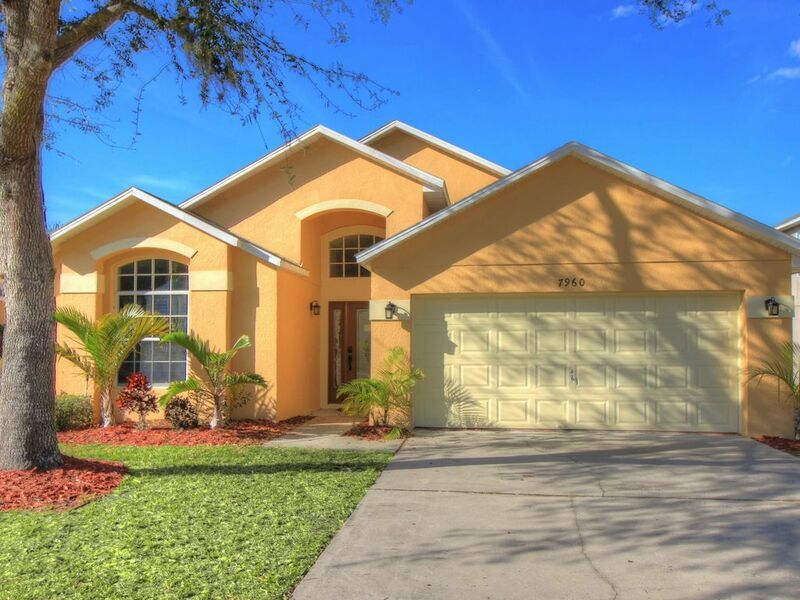 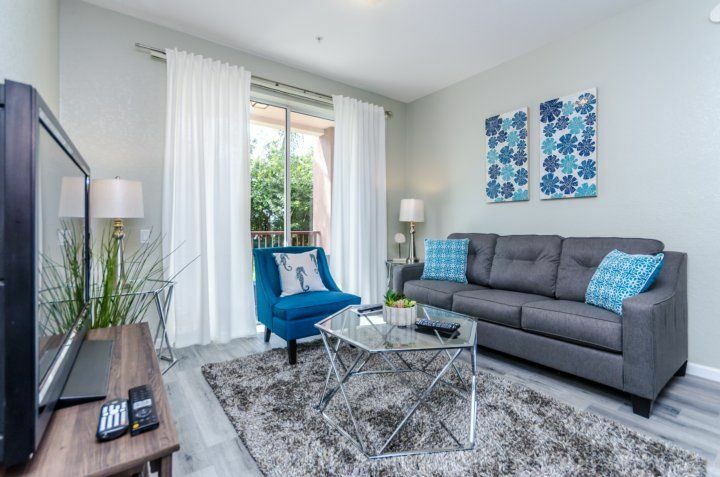 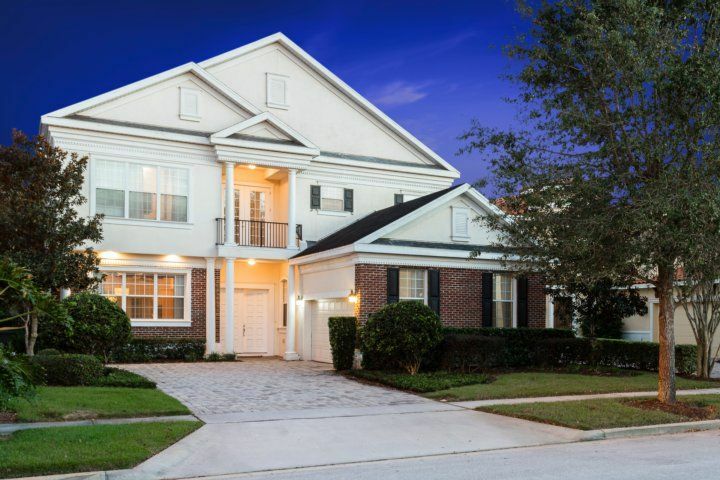 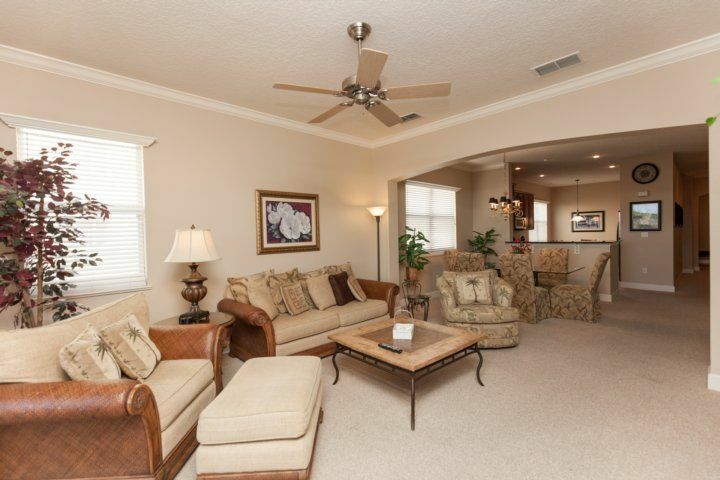 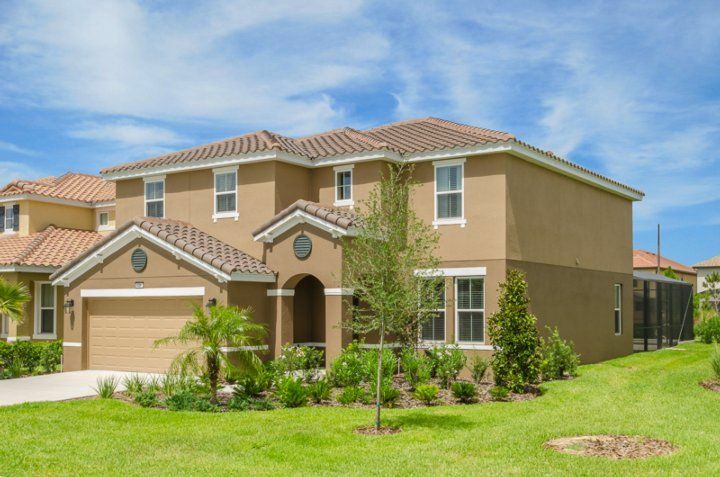 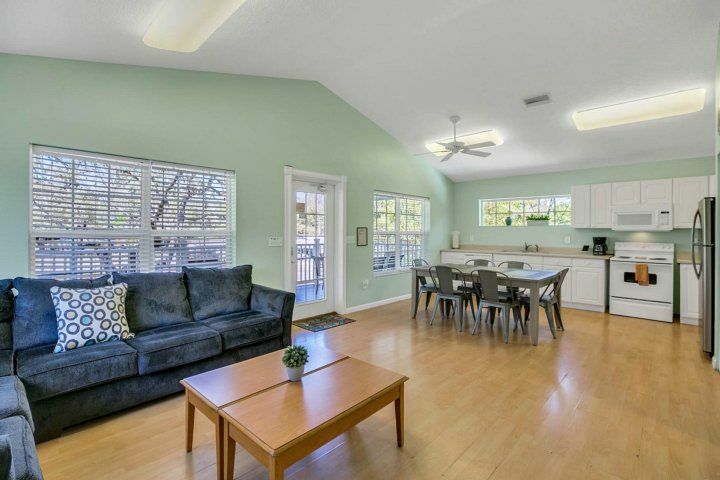 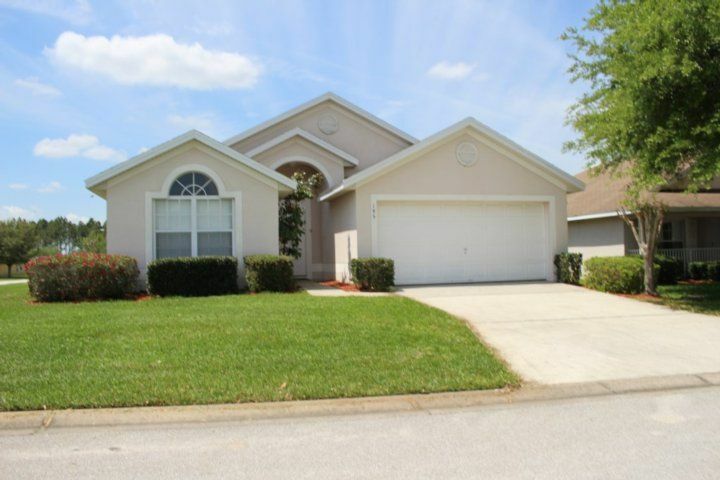 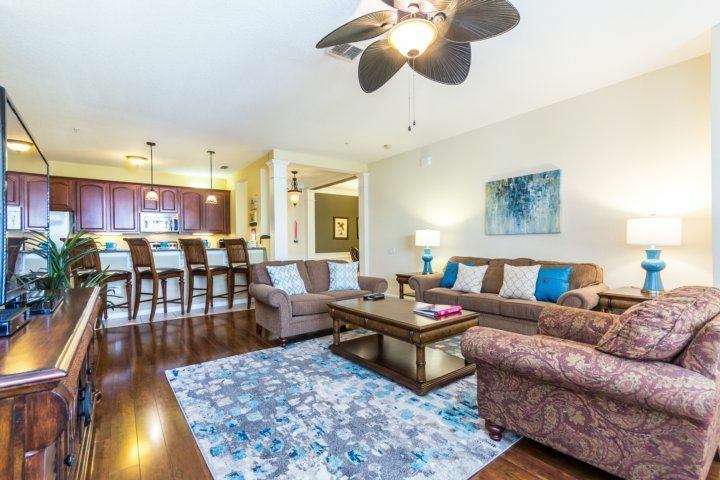 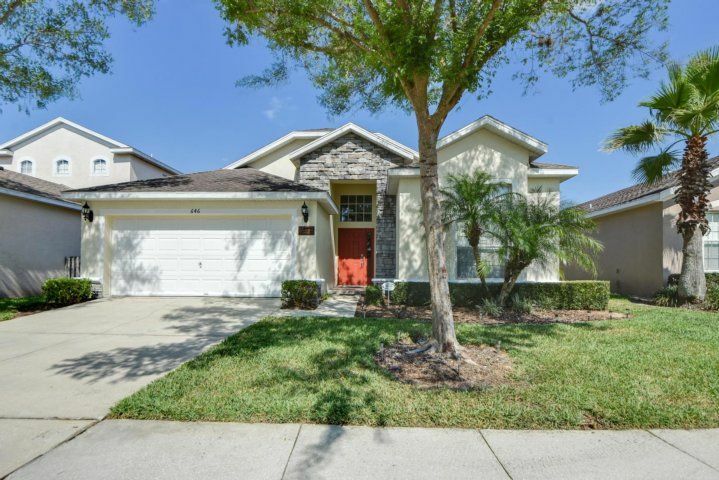 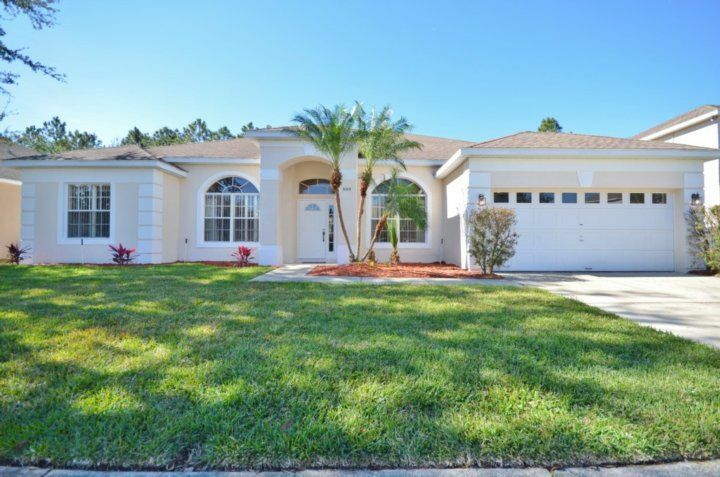 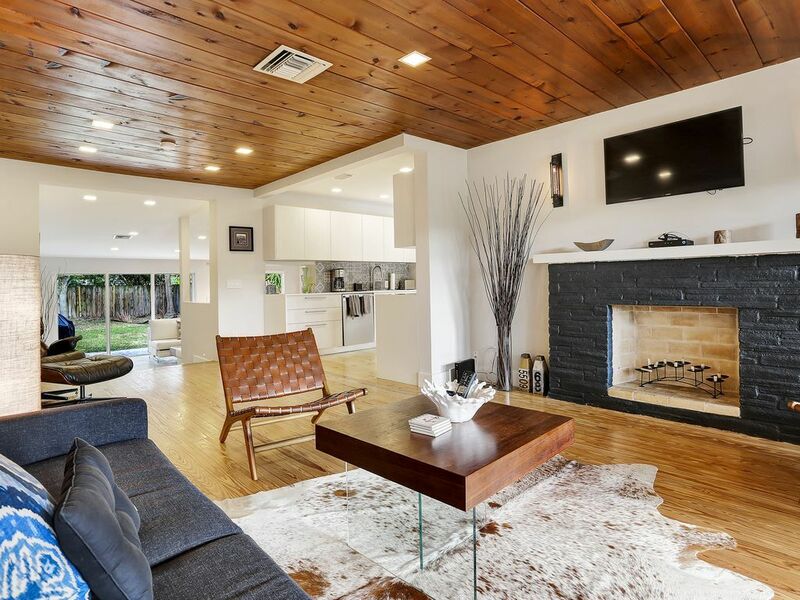 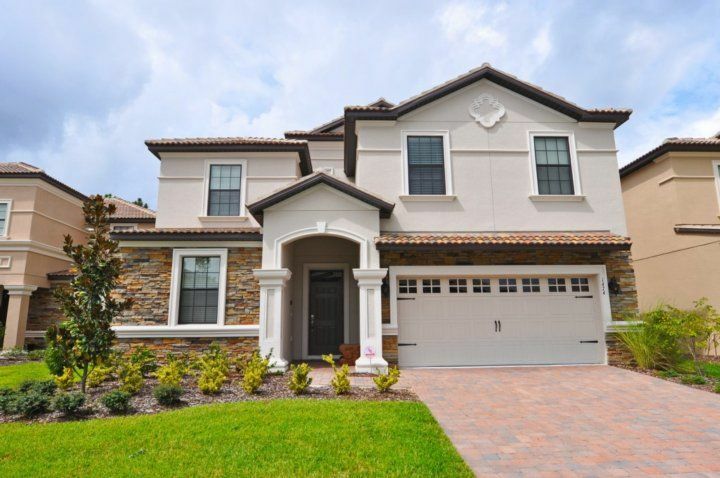 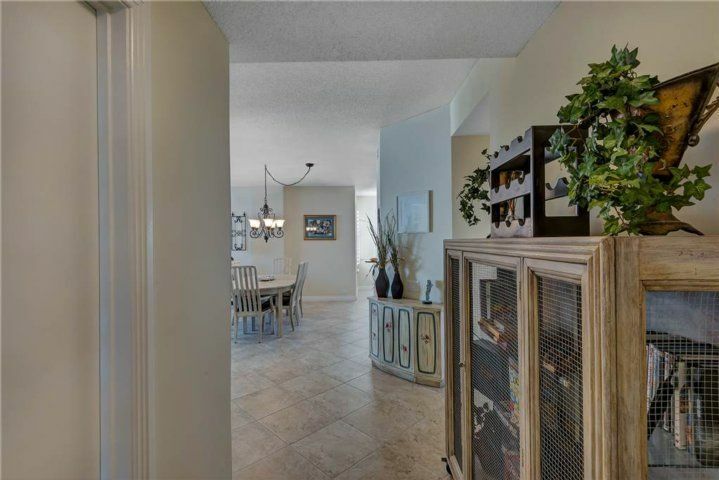 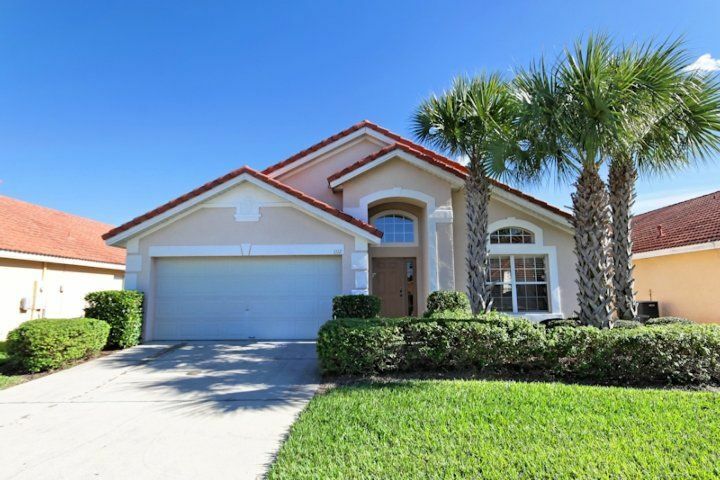 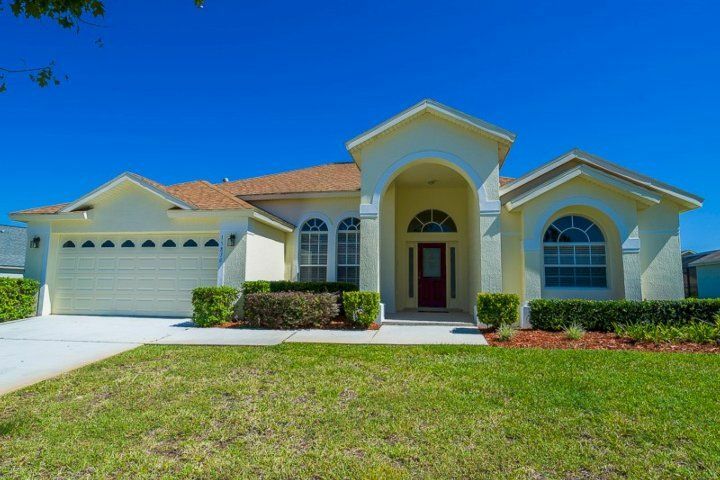 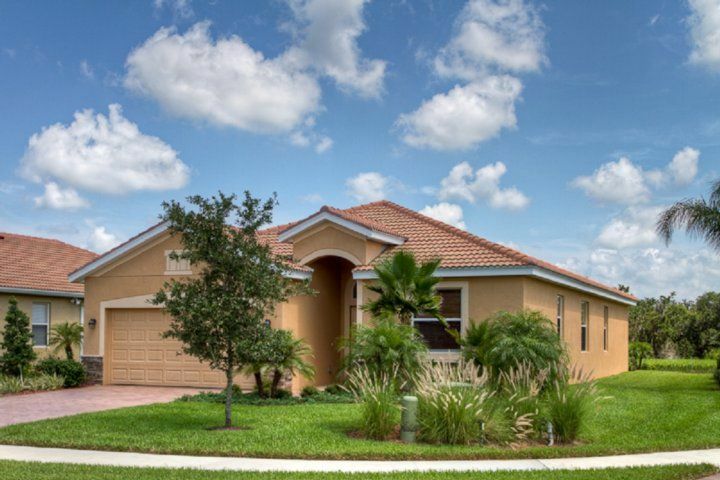 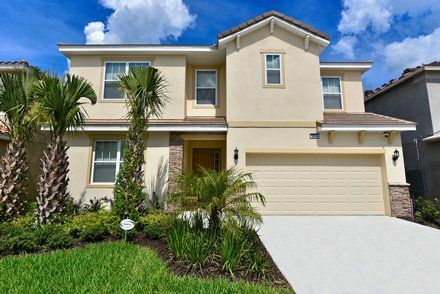 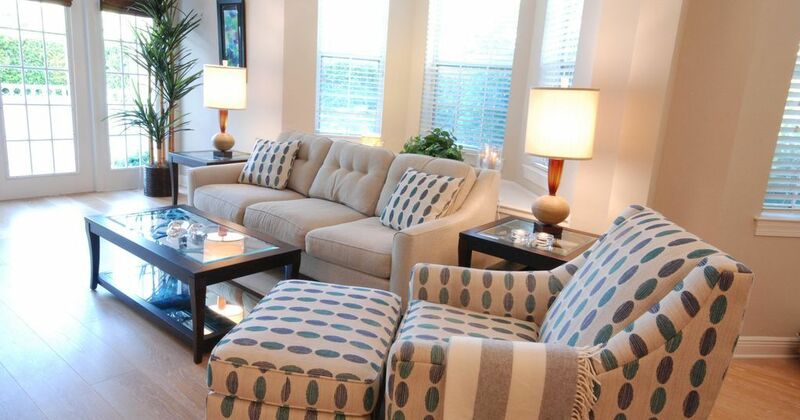 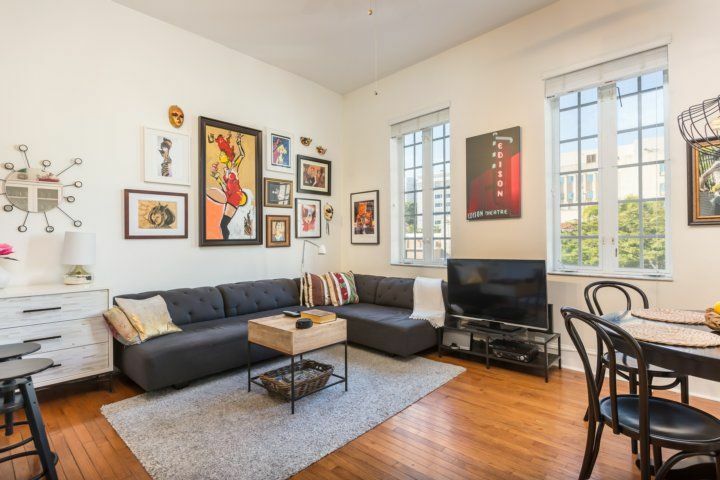 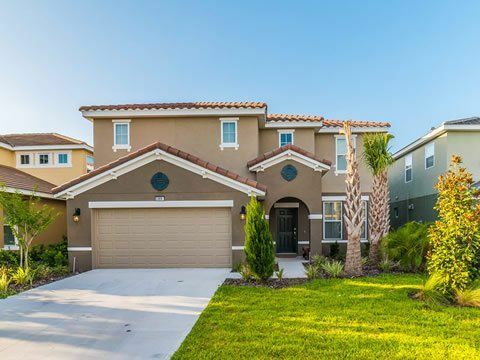 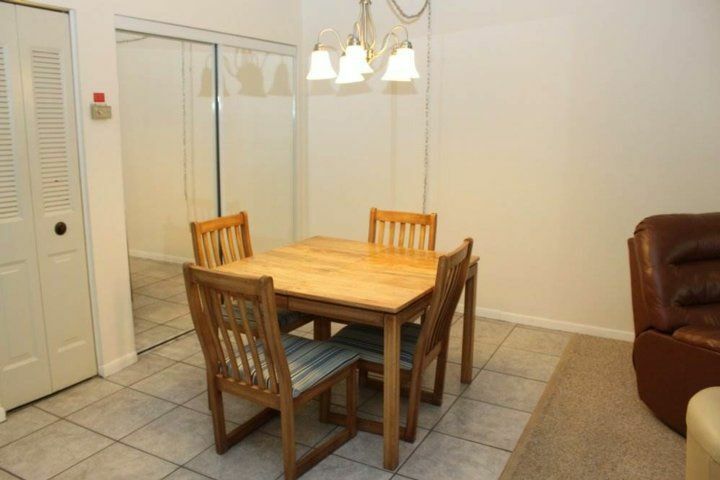 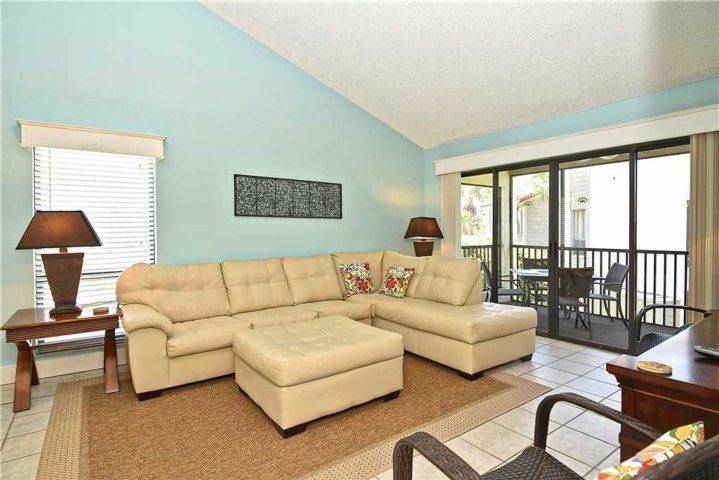 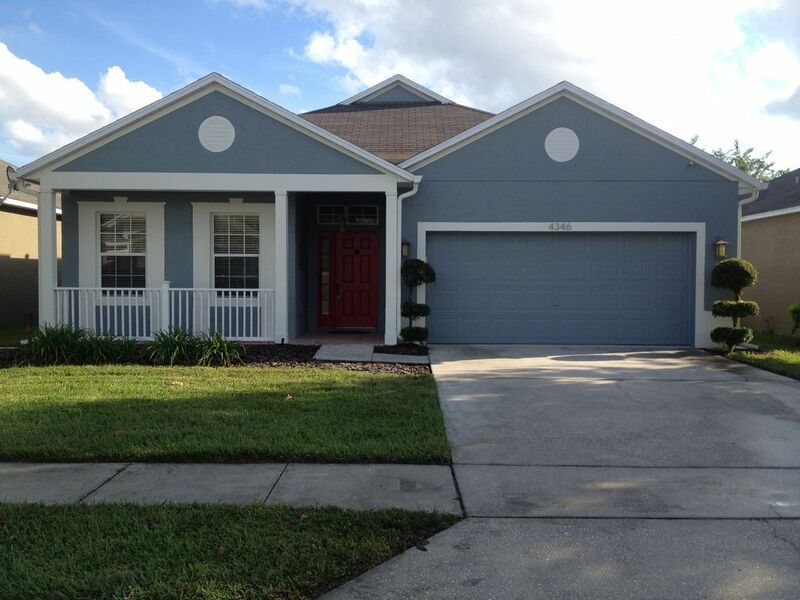 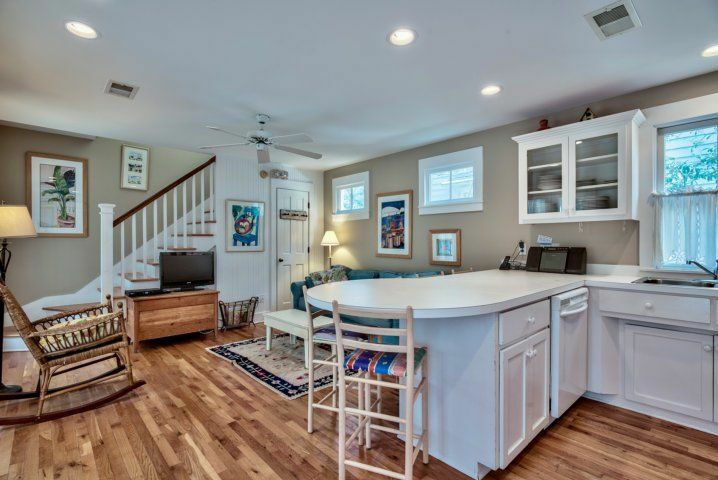 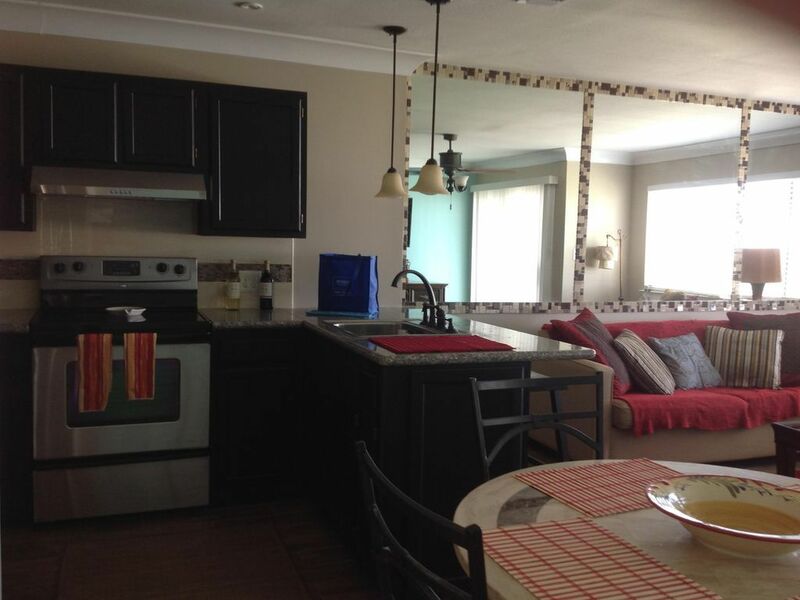 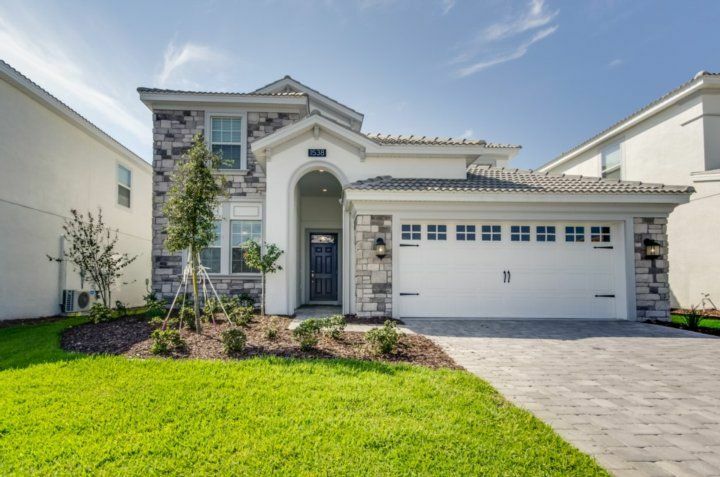 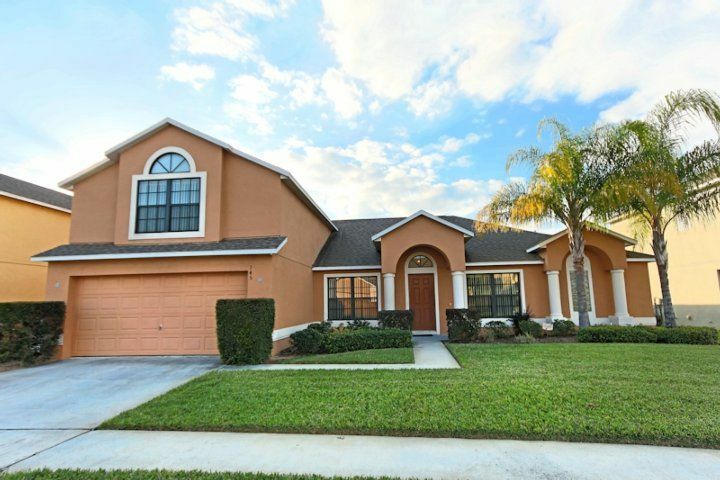 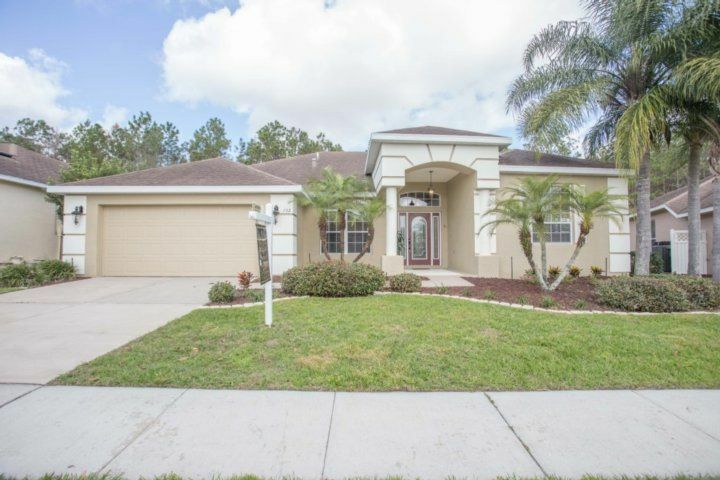 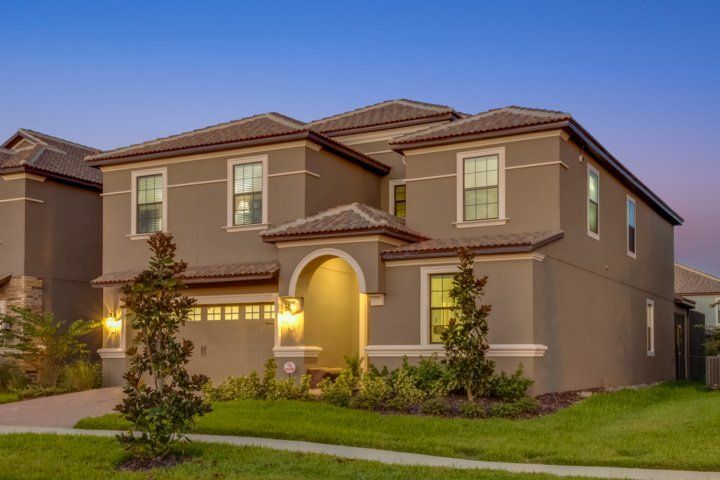 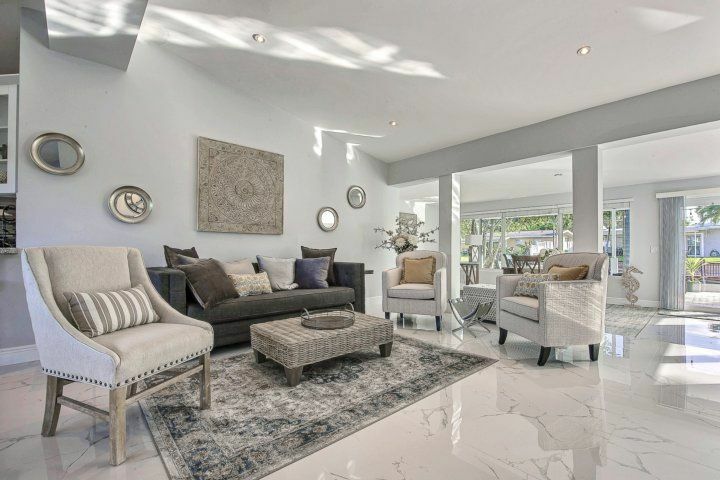 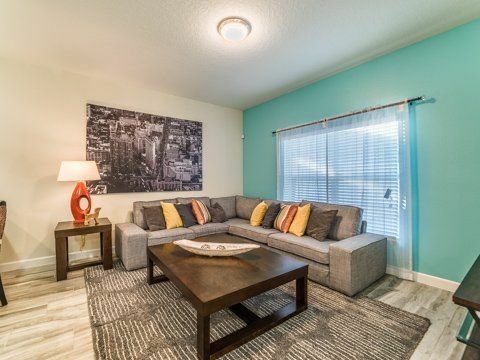 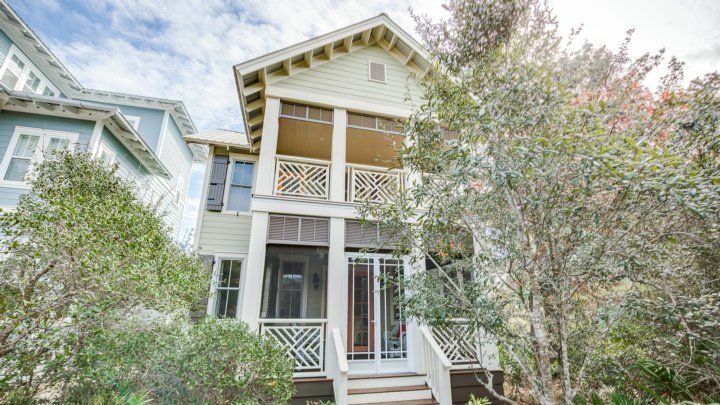 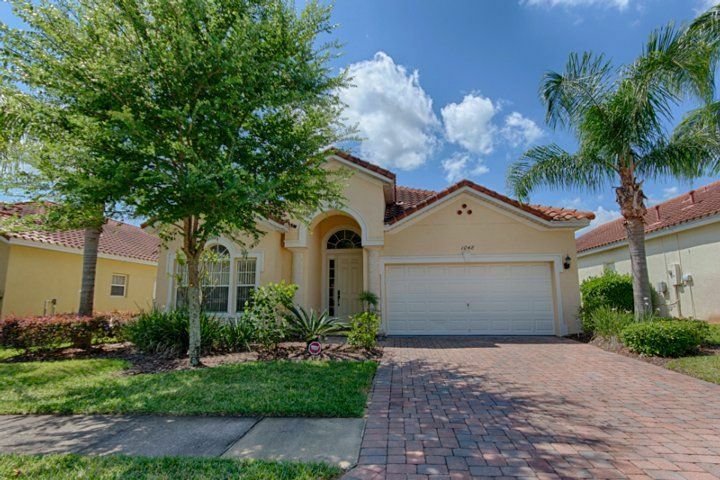 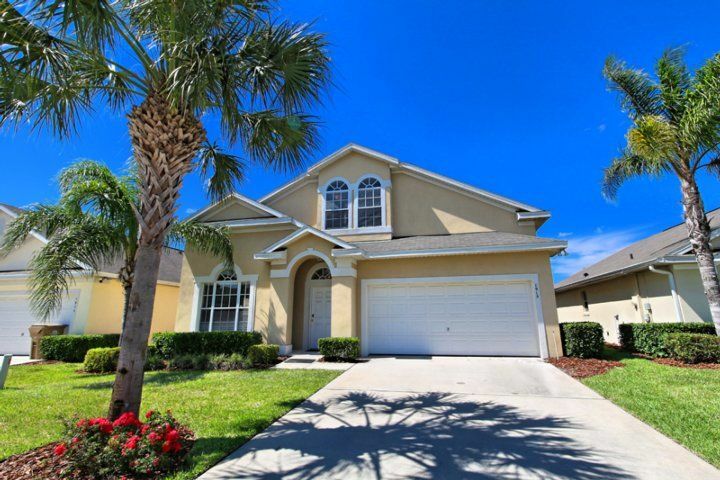 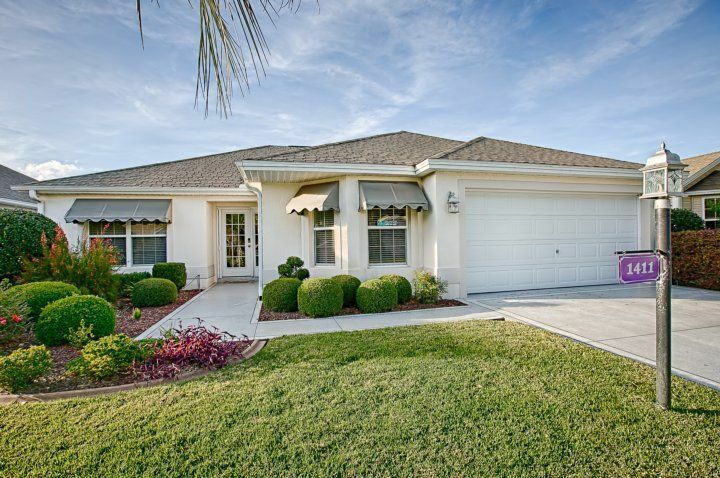 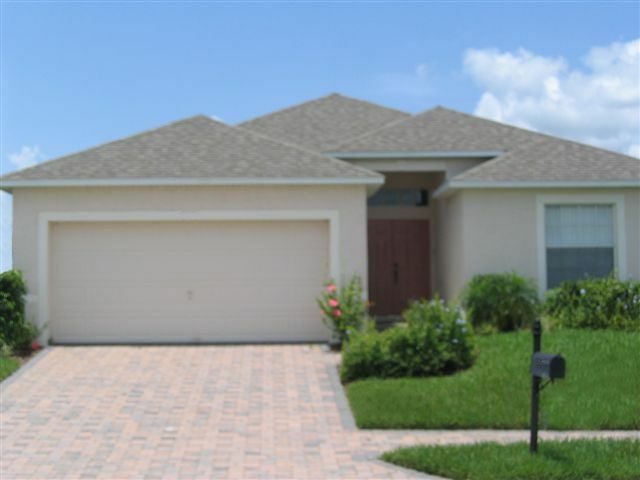 Step through the front door into a spacious open living area that’s beautifully and tastefully decorated throughout. 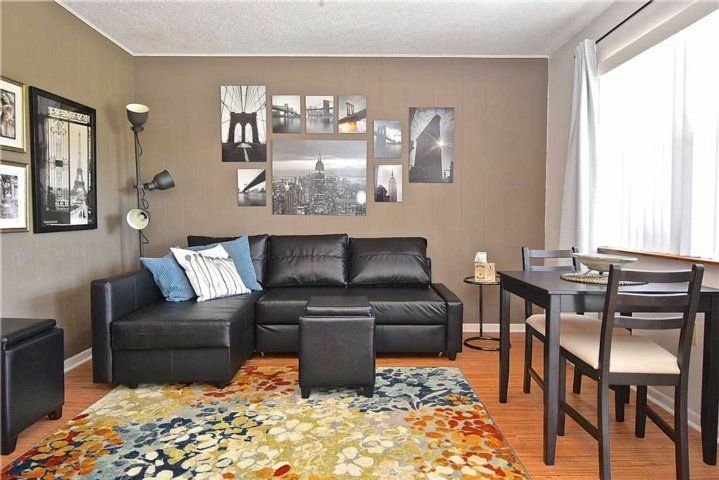 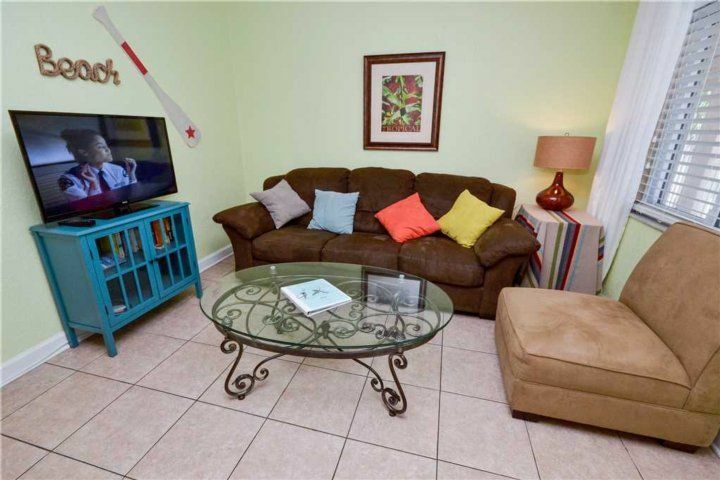 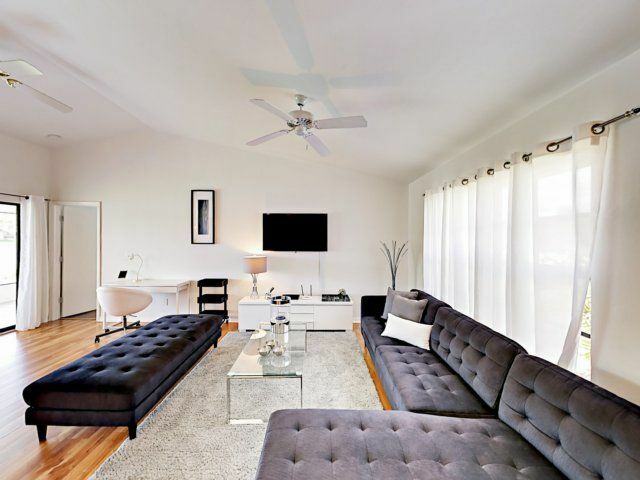 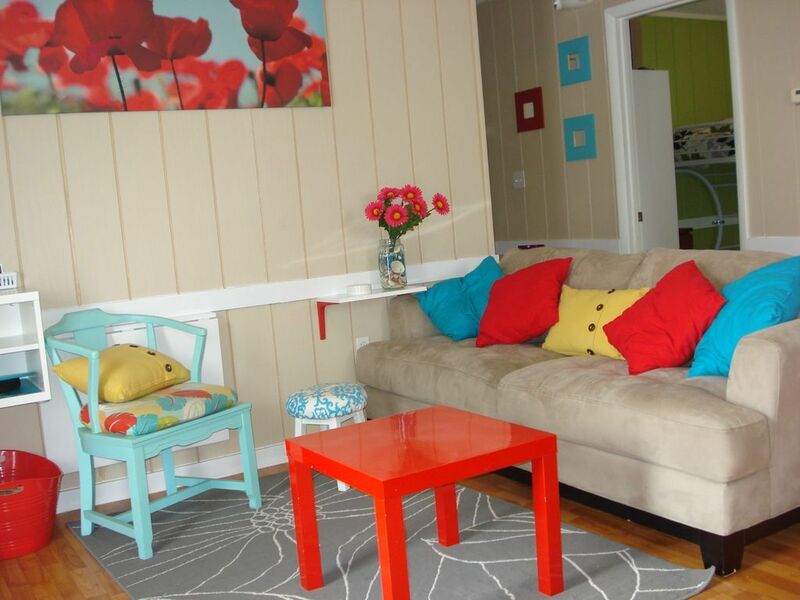 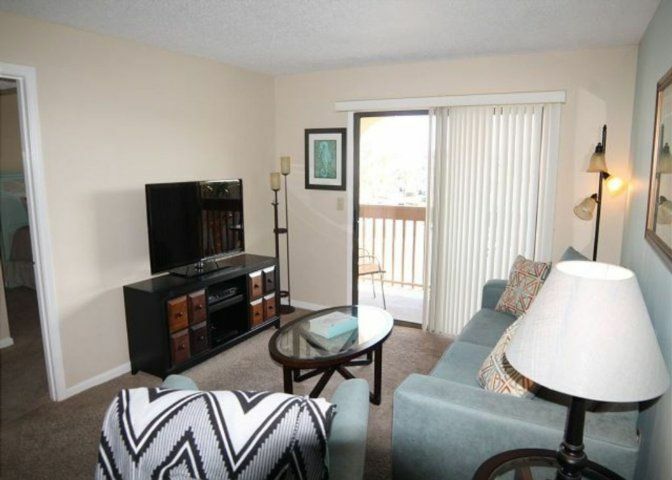 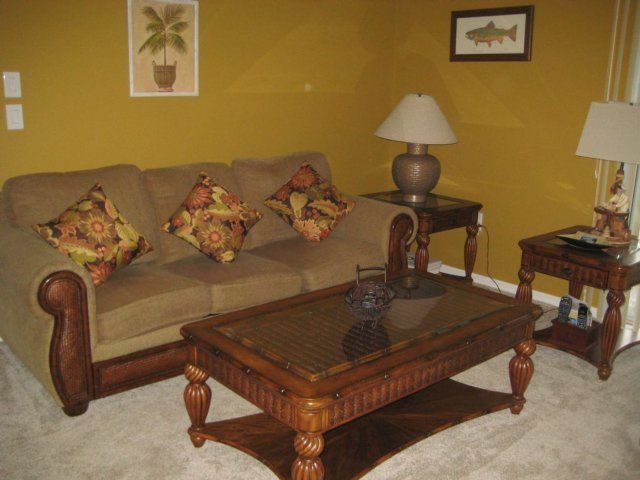 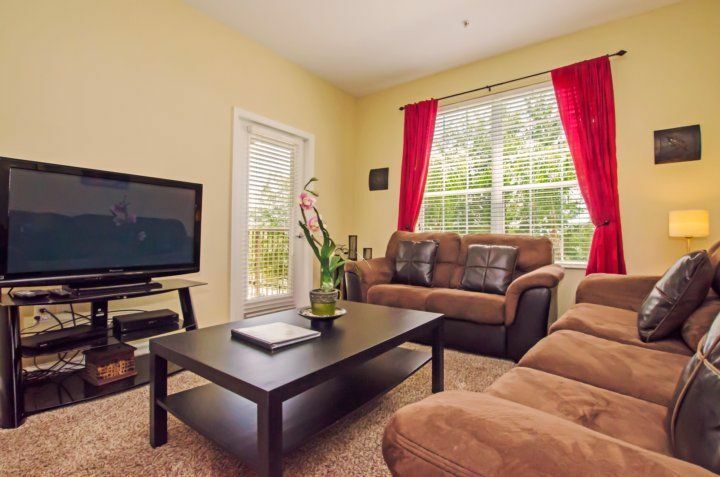 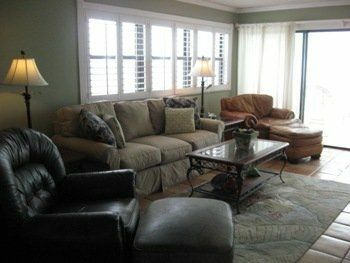 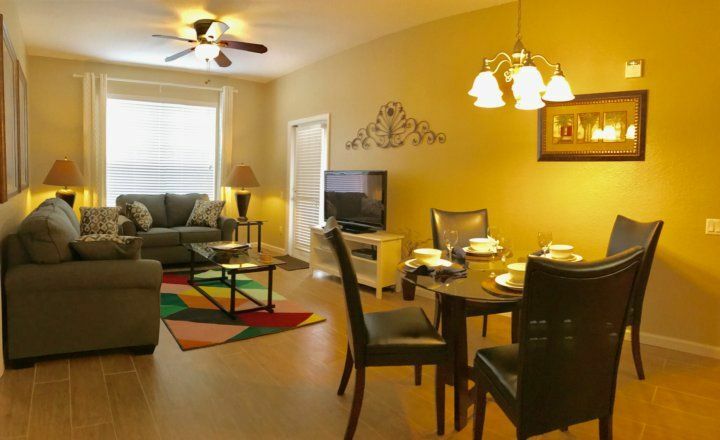 The living room includes a large TV with DVD player and there’s also free Internet service. 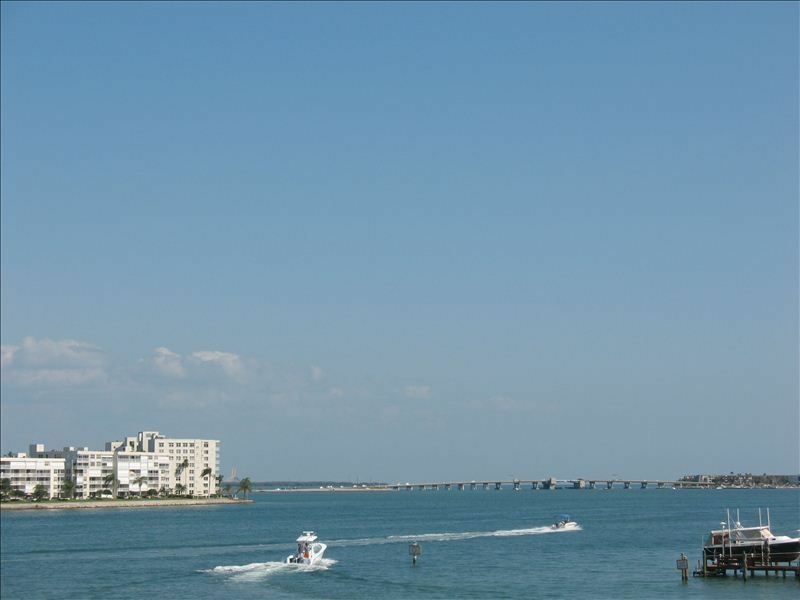 It’s a great way to look up area attractions and decide the exact kind of fun you want to have during your stay. 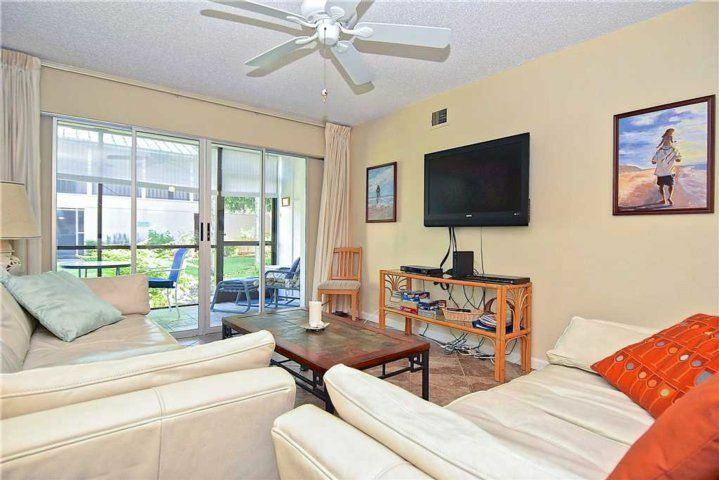 Beyond the living room through sliding glass doors is the screened lanai with table and chairs where guests can sit and enjoy the view. 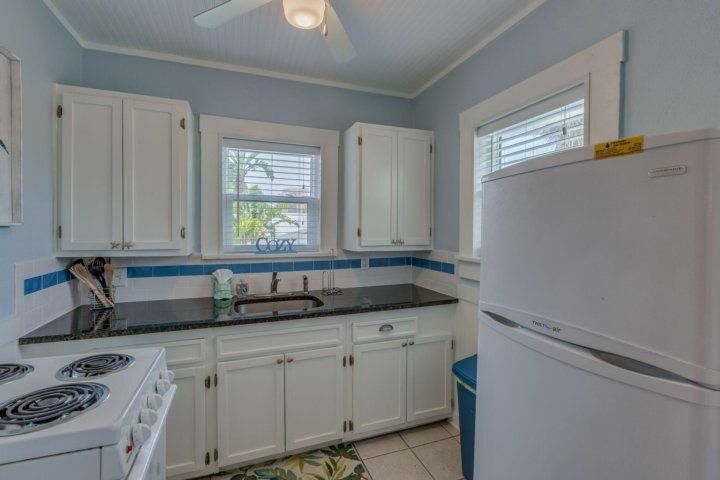 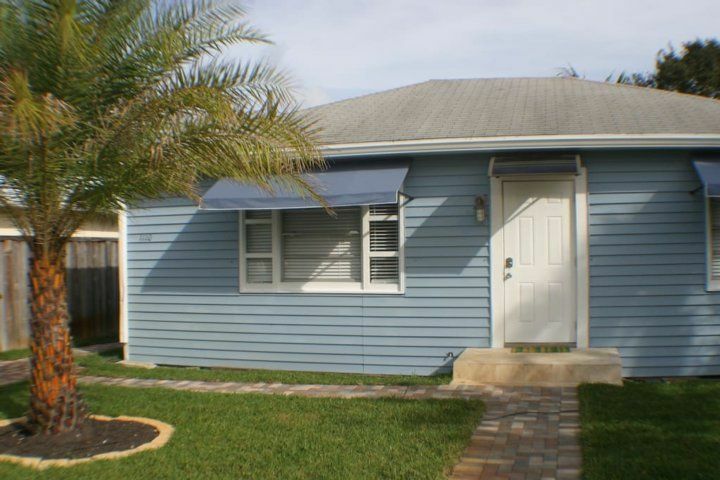 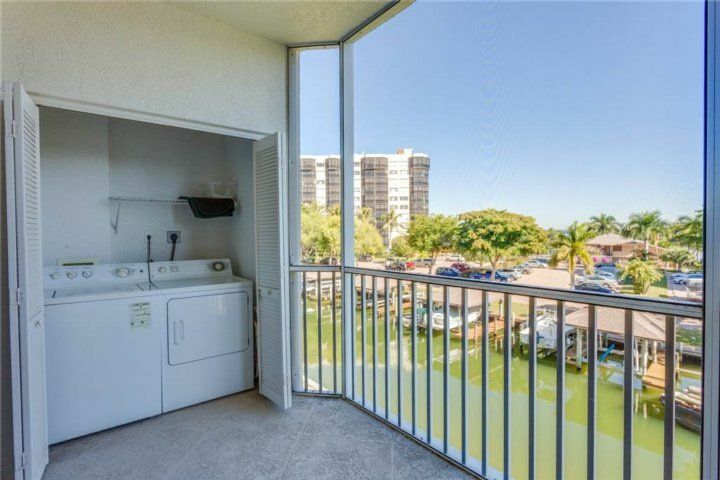 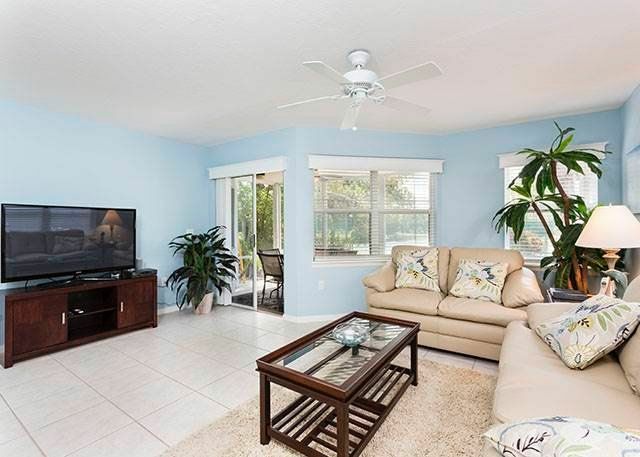 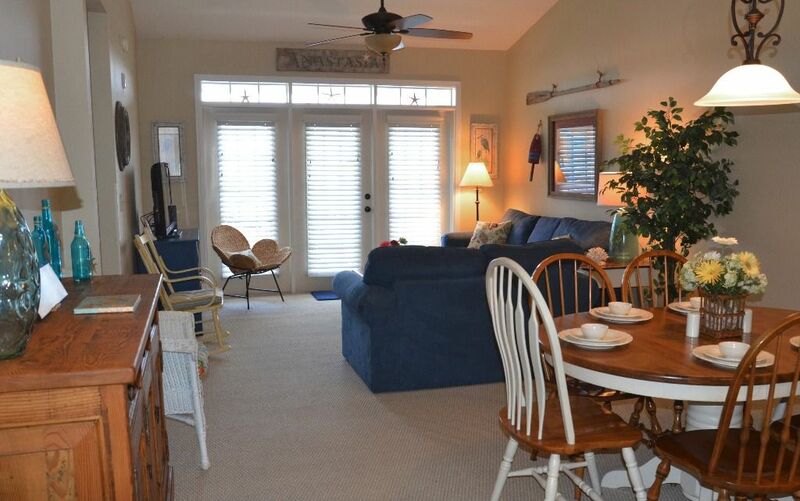 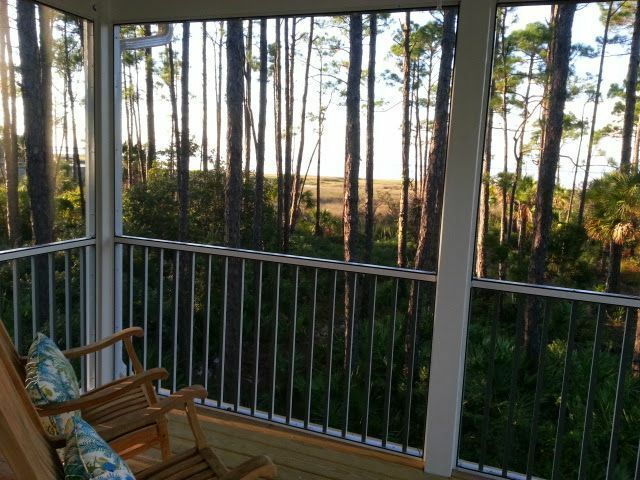 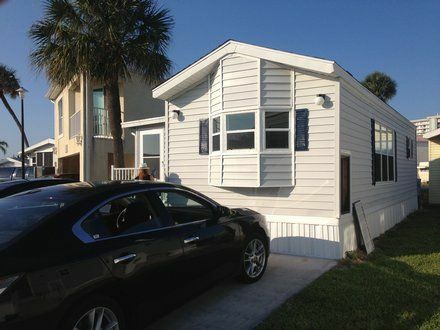 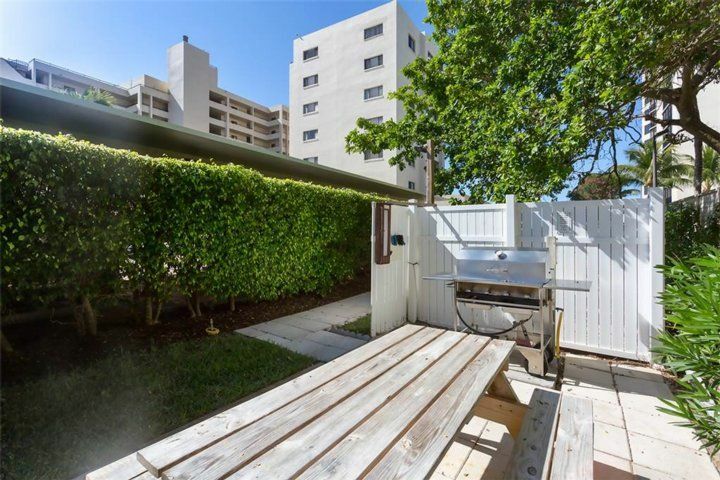 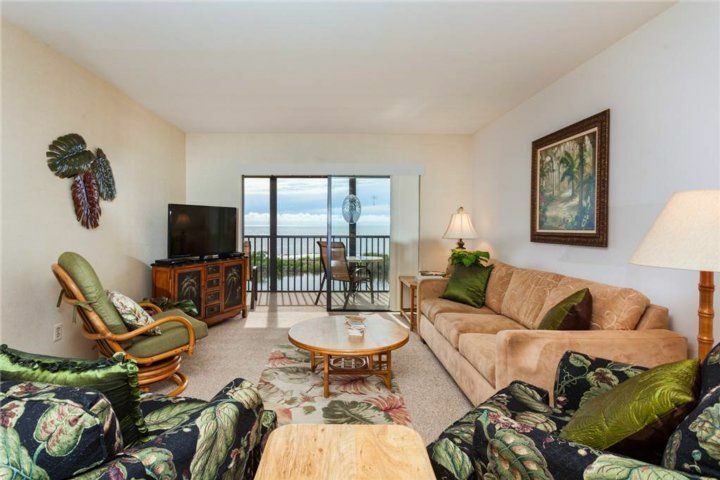 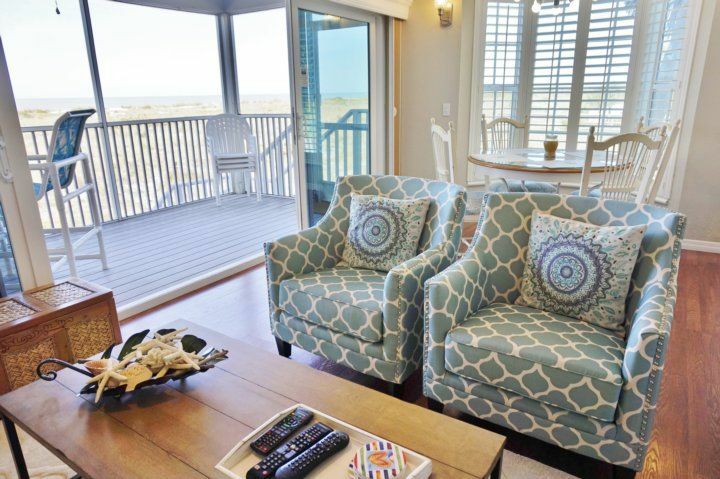 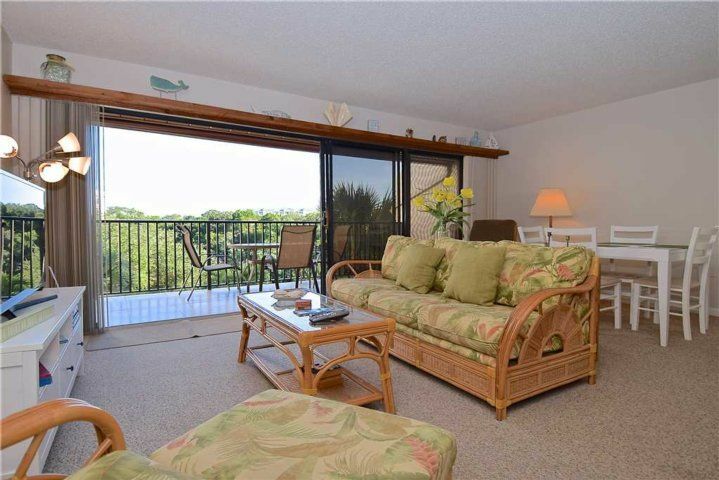 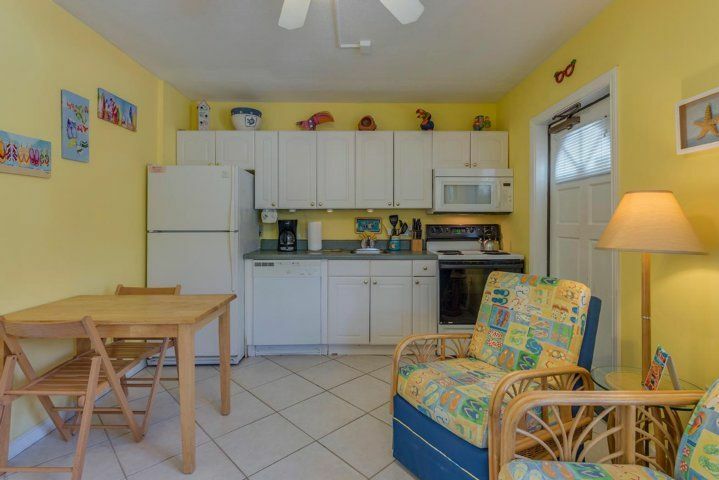 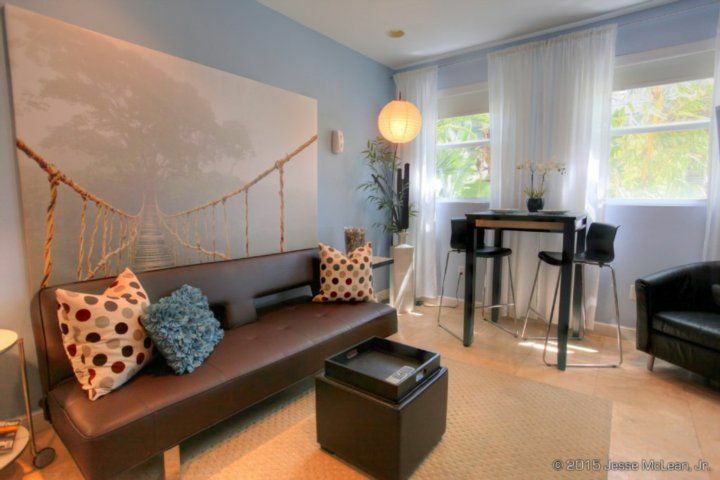 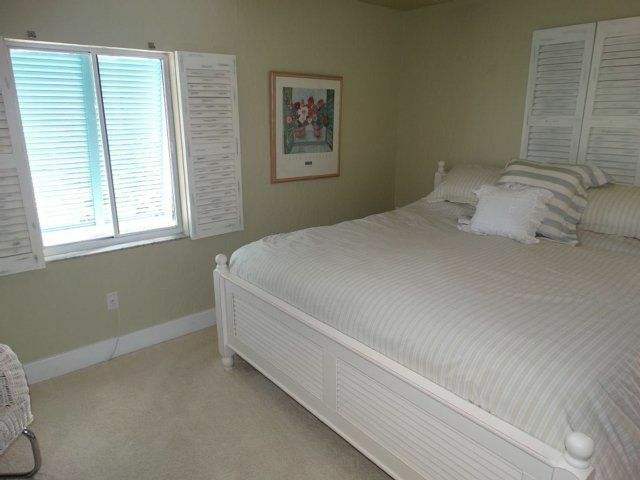 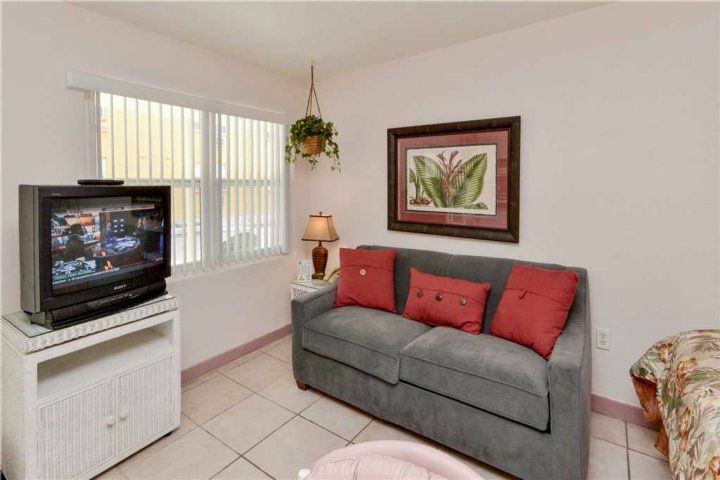 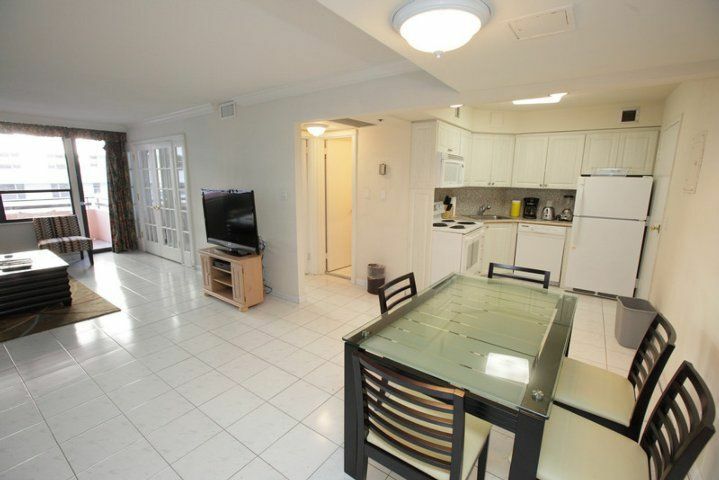 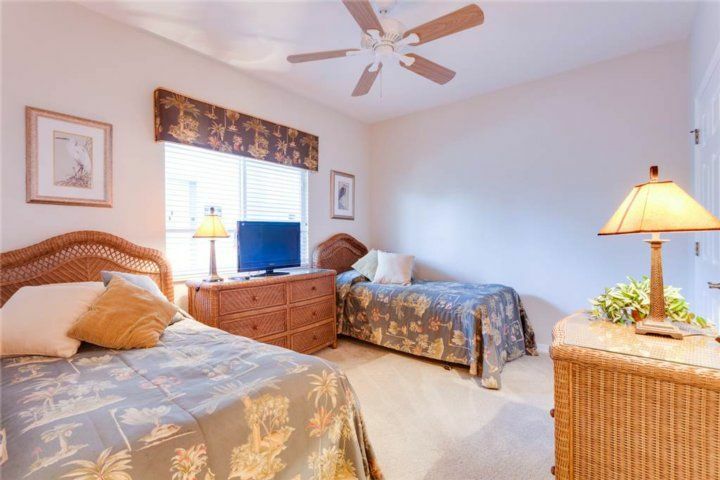 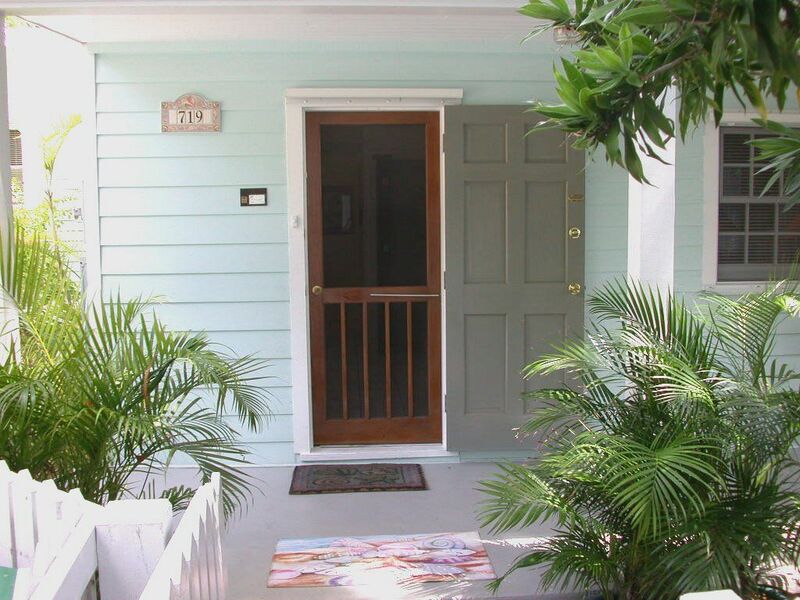 Tucked away in a discreet closet on the lanai are a full-sized washer and dryer for your convenience. 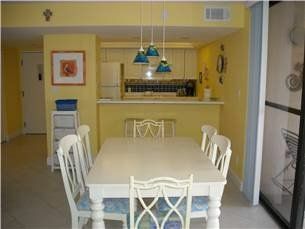 The dining area in Casa Marina 623-6 seats six easily. 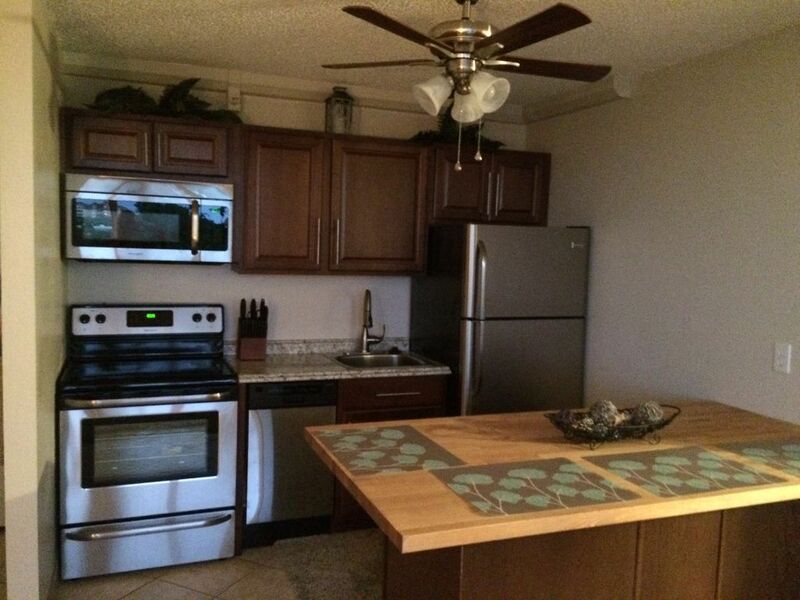 Serving from the nearby kitchen is easy using the handy breakfast bar that doubles as a kitchen pass through. 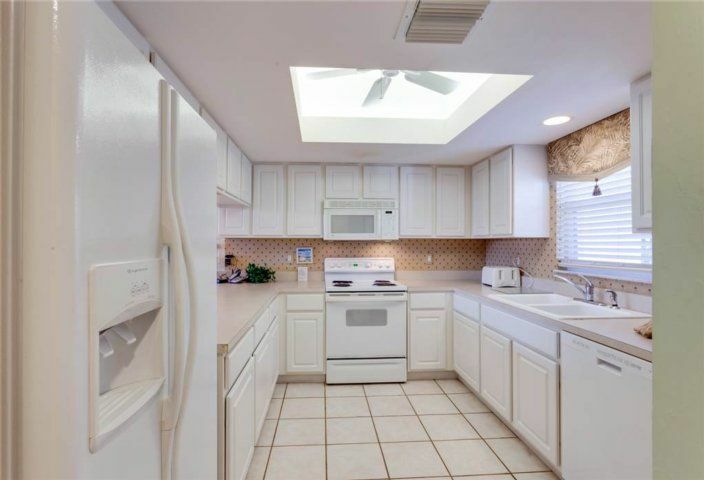 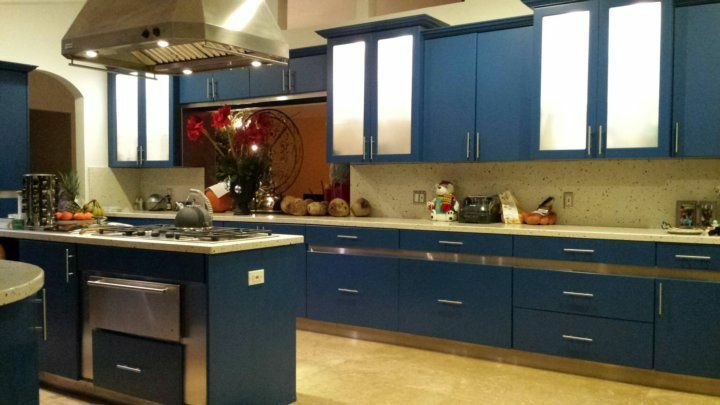 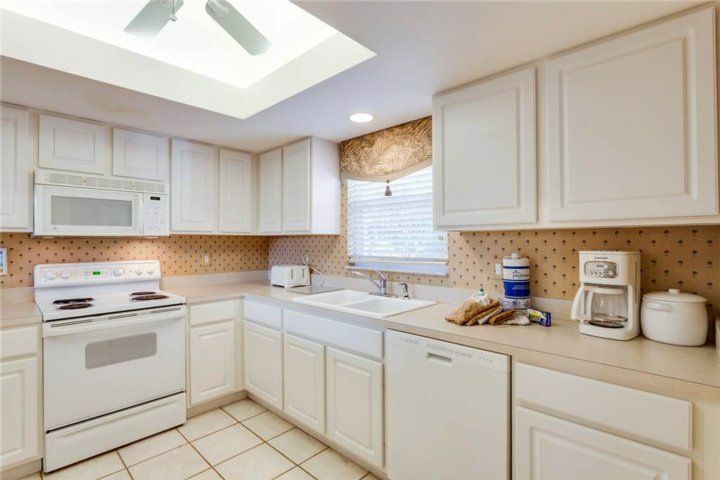 The kitchen itself is efficiently designed for ease of cooking. 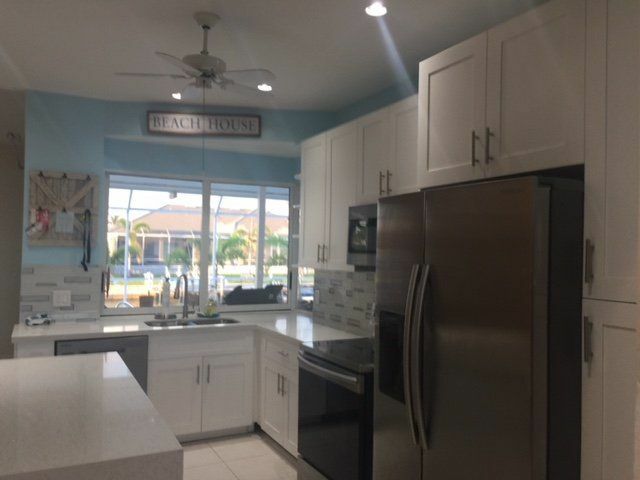 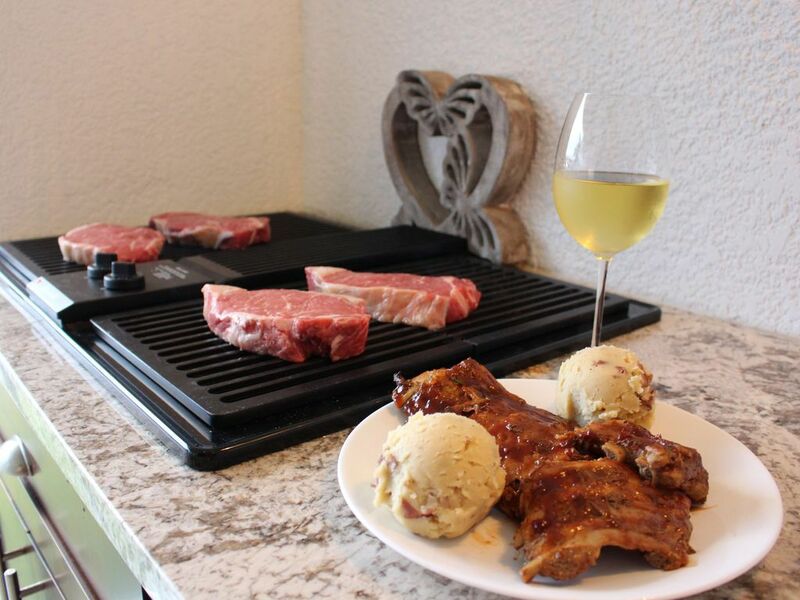 It includes a full complement of the latest appliances along with cookware, dishes, utensils – everything you need to whip up a snack or a five-course feast. 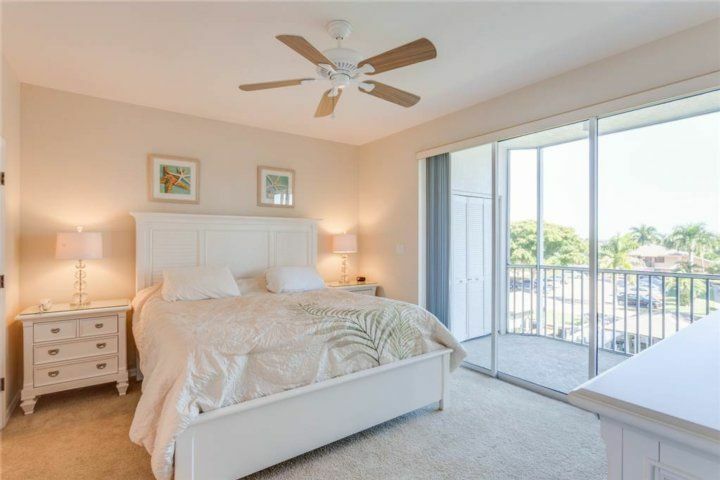 The master bedroom is huge – a true master retreat – with one wall largely given over to sliding glass doors leading to the lanai. 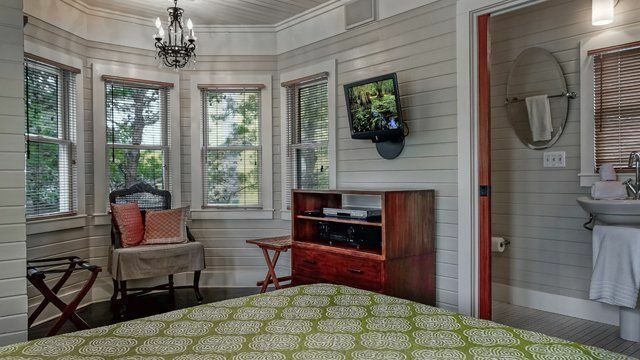 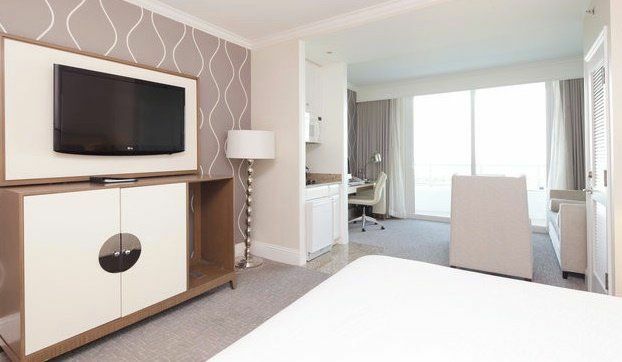 The room also offers a large flat-screen TV that’s perfect for late night viewing. 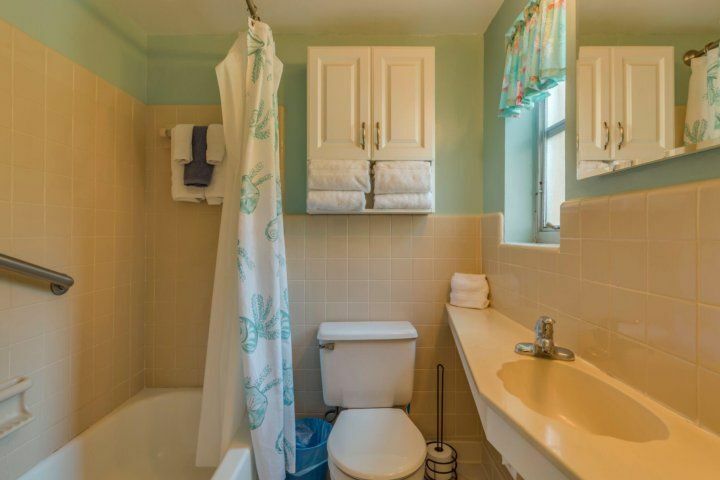 The master bathroom includes a shower/tub combination and a good-sized vanity with plenty of storage space for your toiletries. 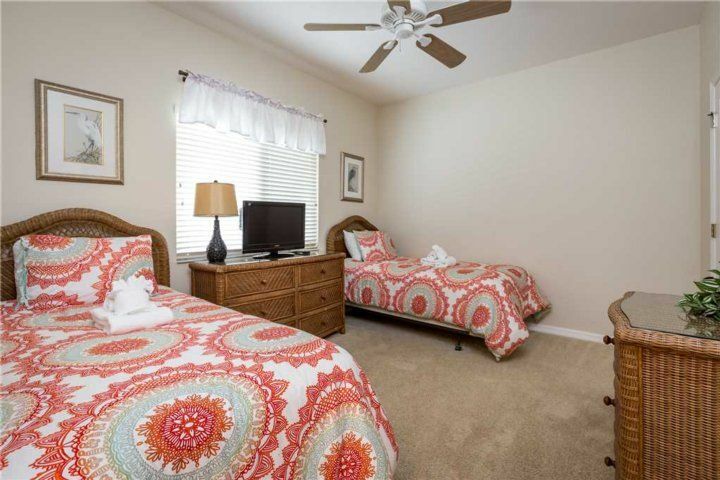 The second bedroom, also large-sized, includes two twin beds, perfect for the kids. 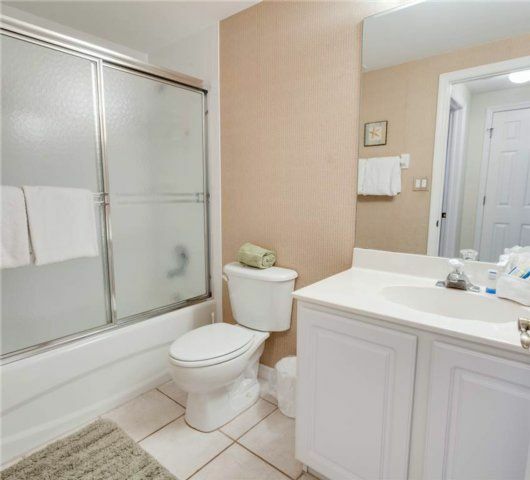 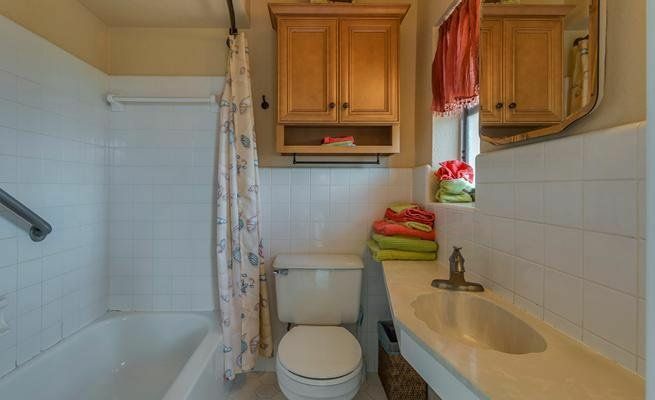 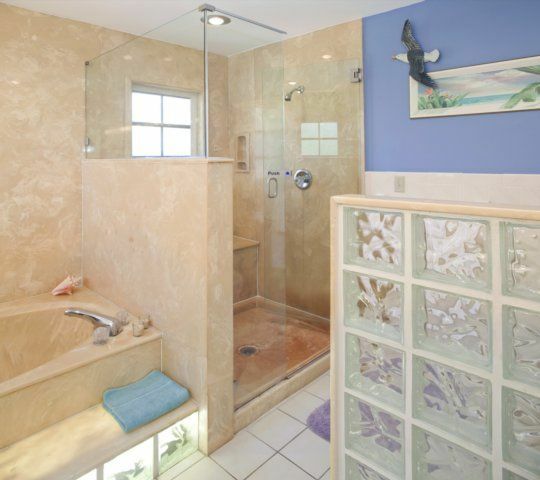 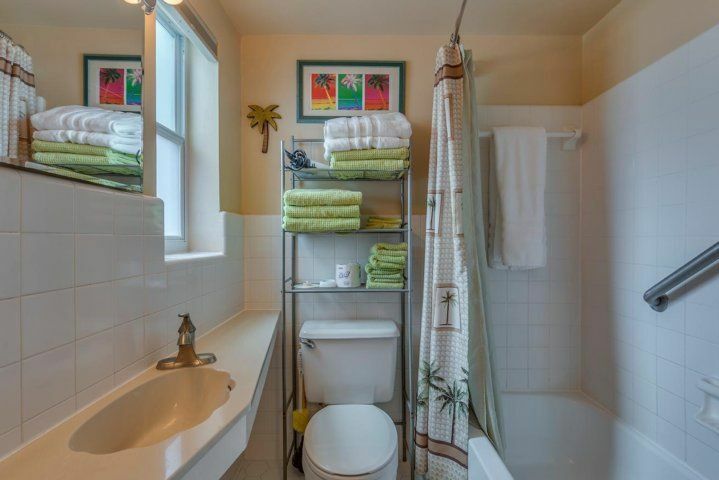 It has its own bathroom with large shower and vanity. 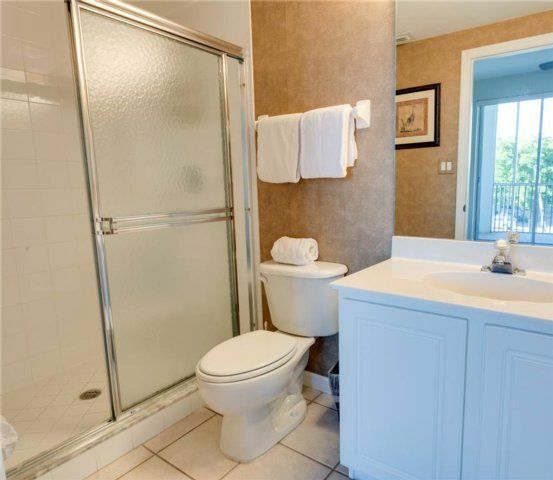 Getting ready each morning is so easy when guests aren’t struggling to get a turn in the bathroom. 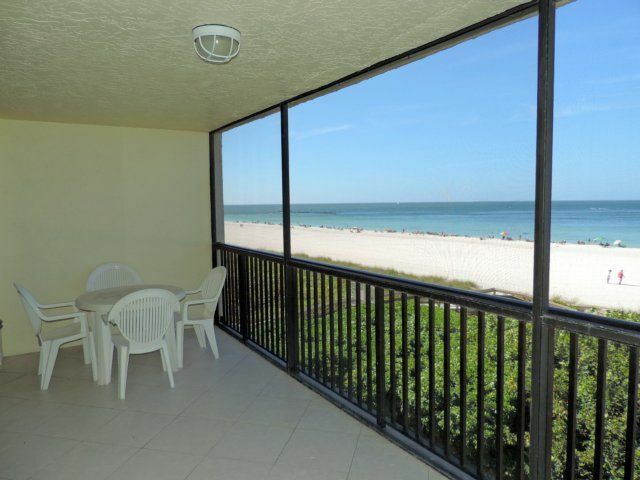 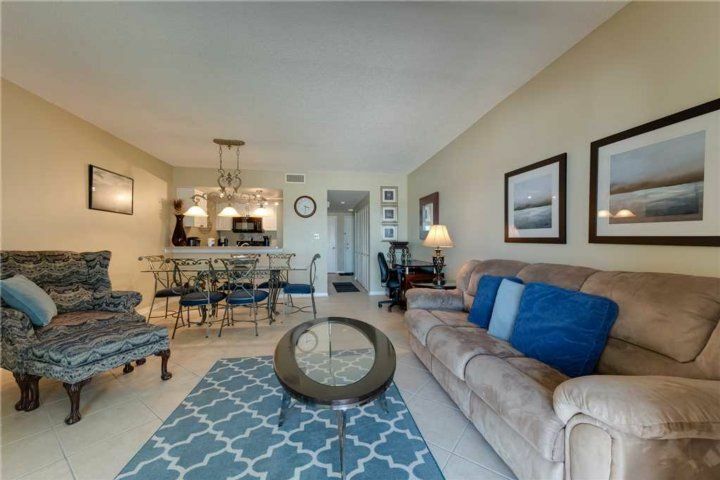 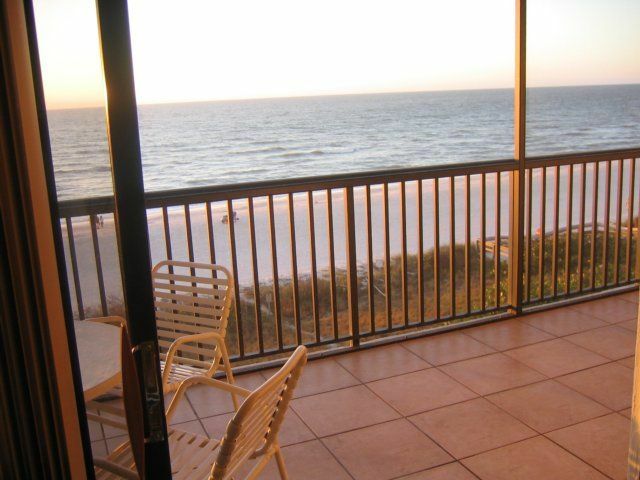 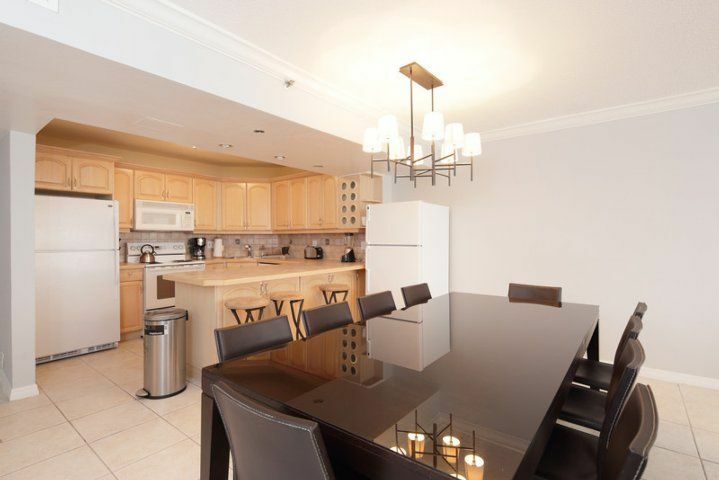 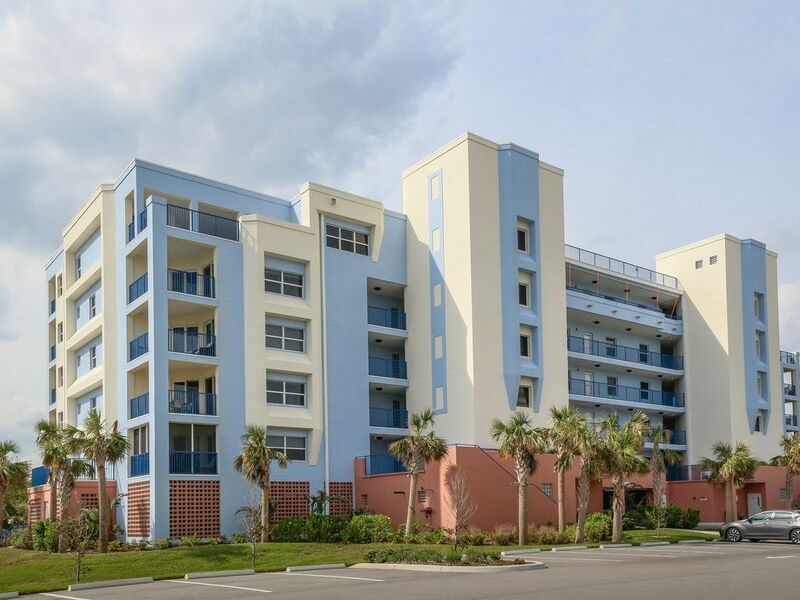 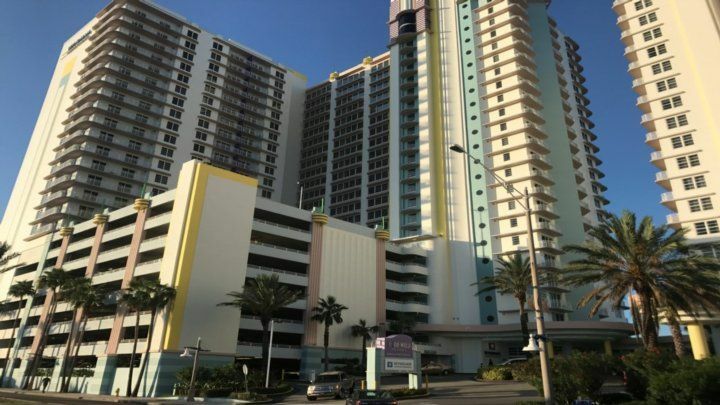 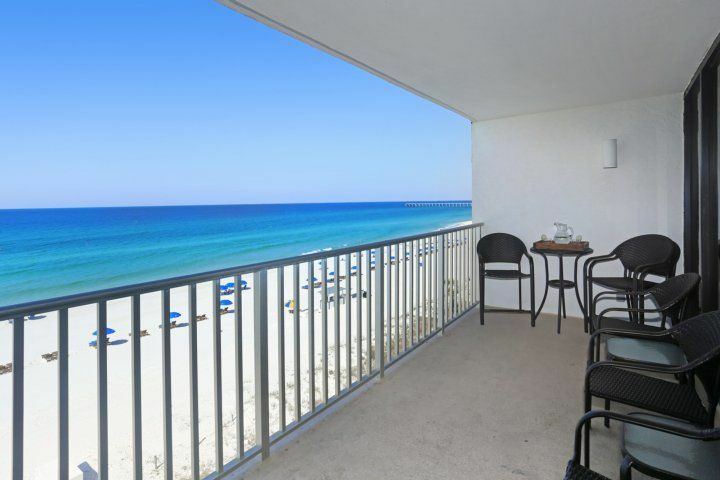 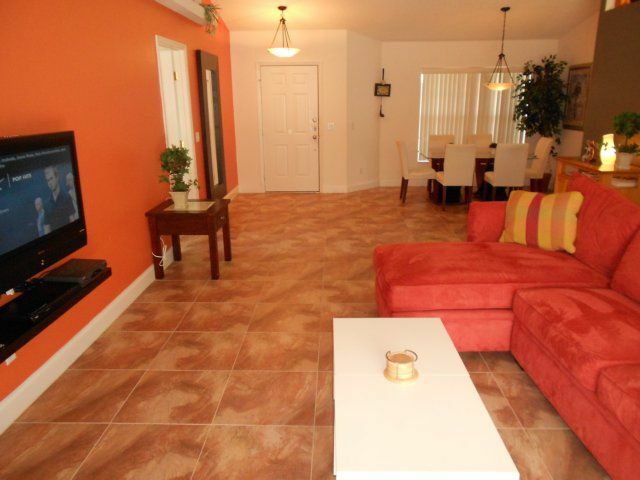 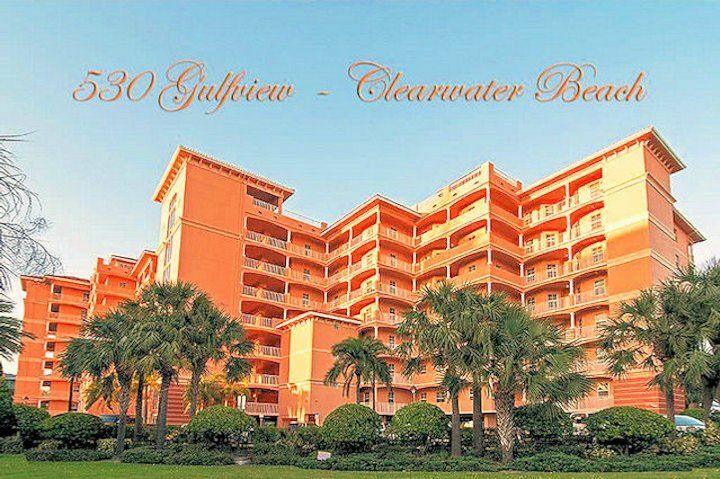 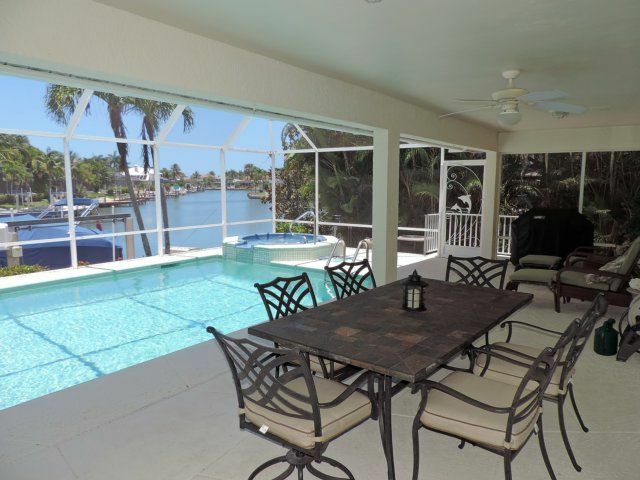 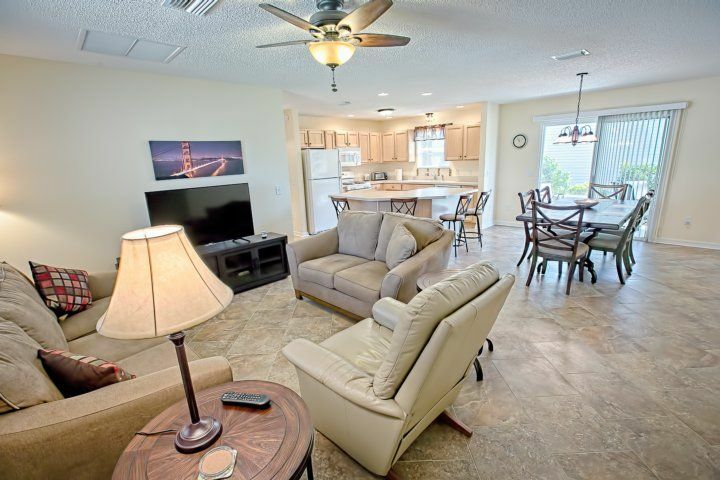 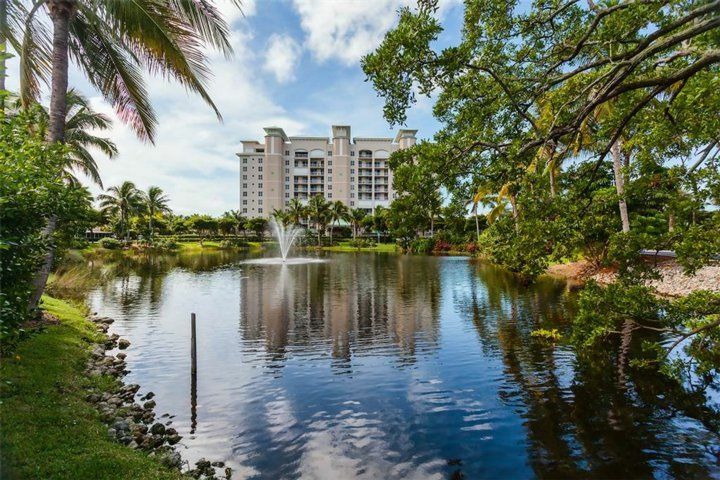 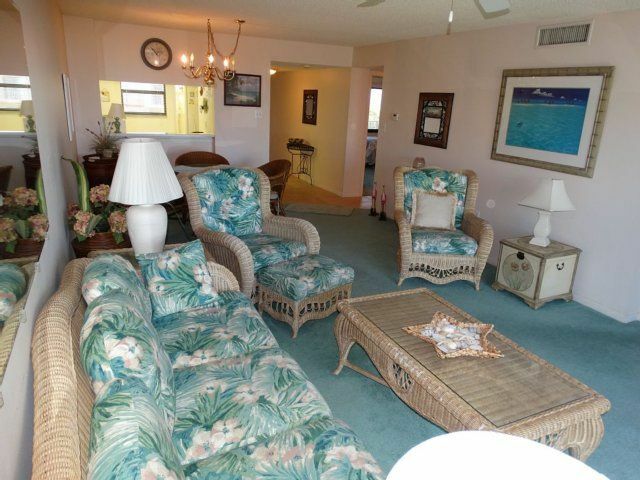 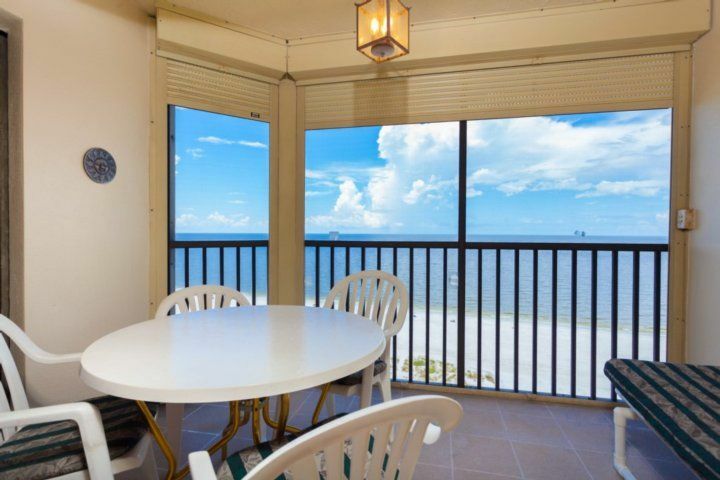 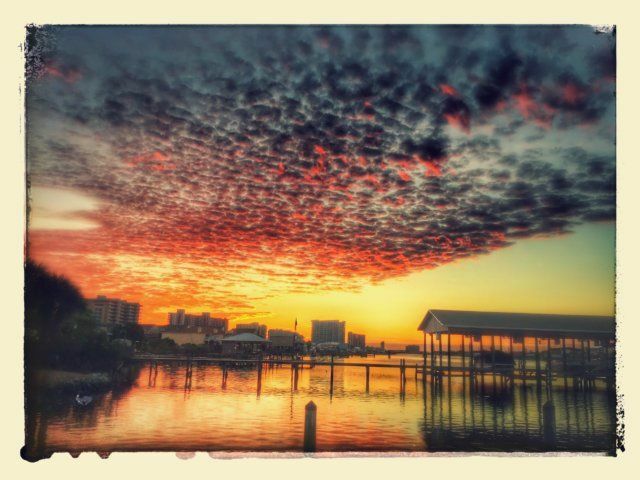 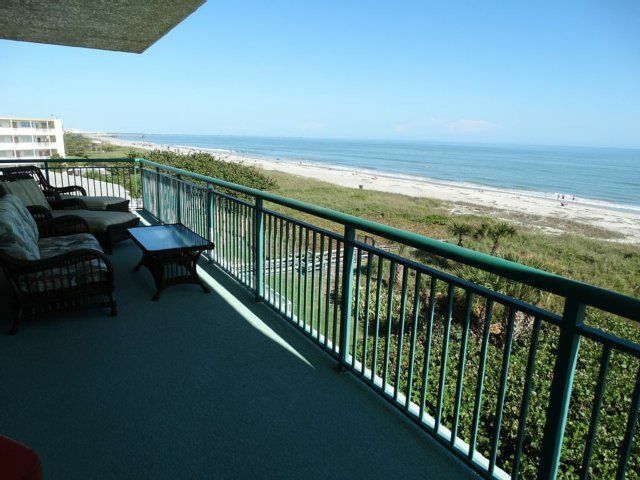 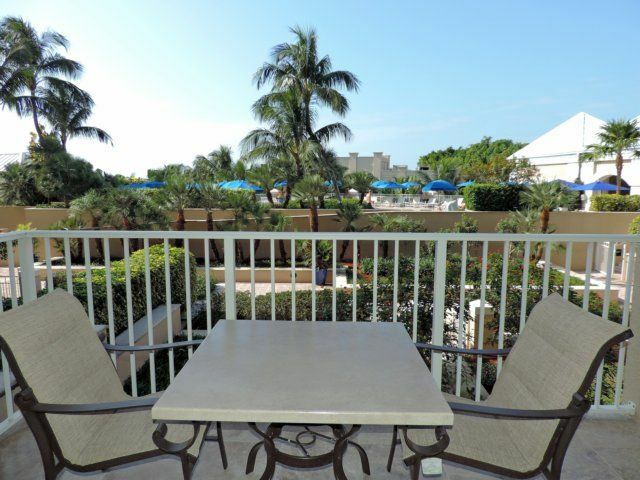 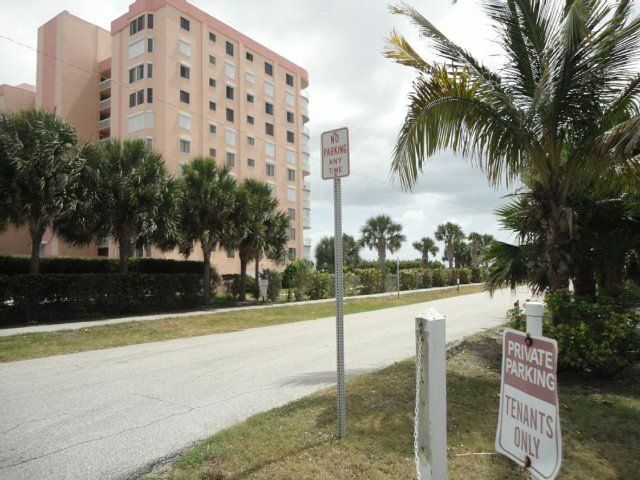 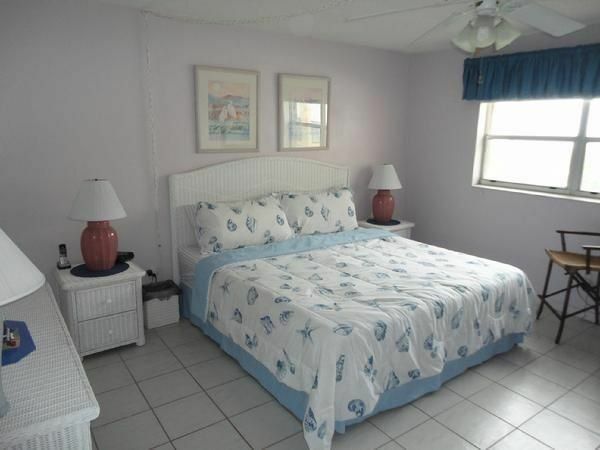 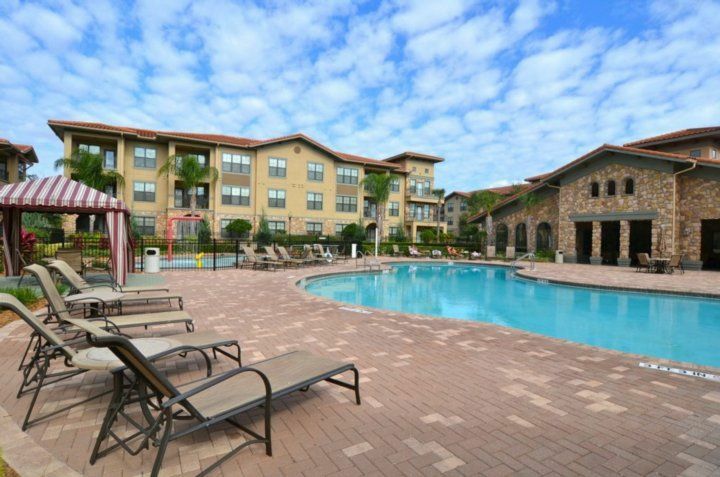 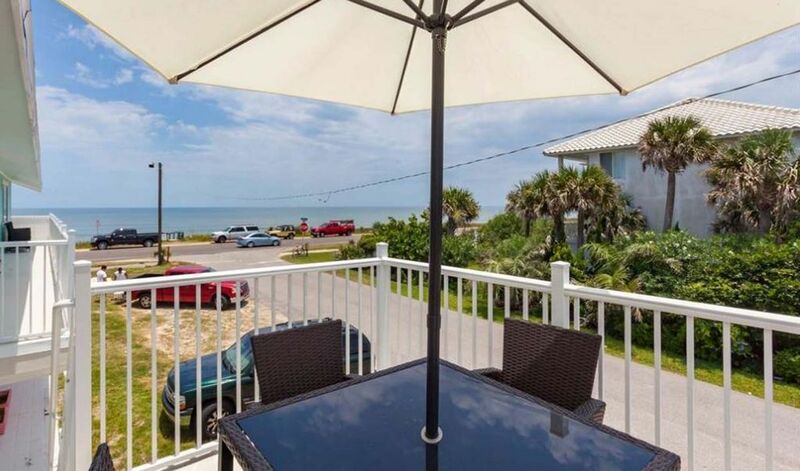 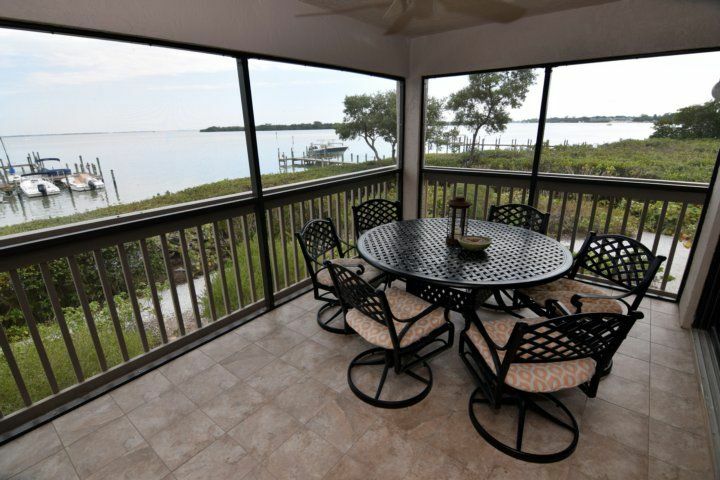 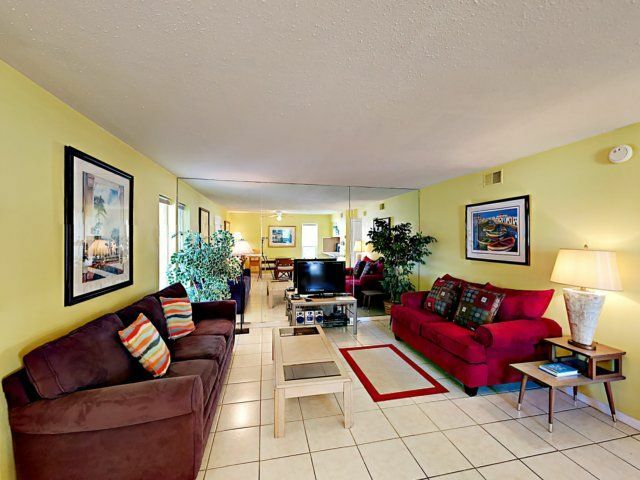 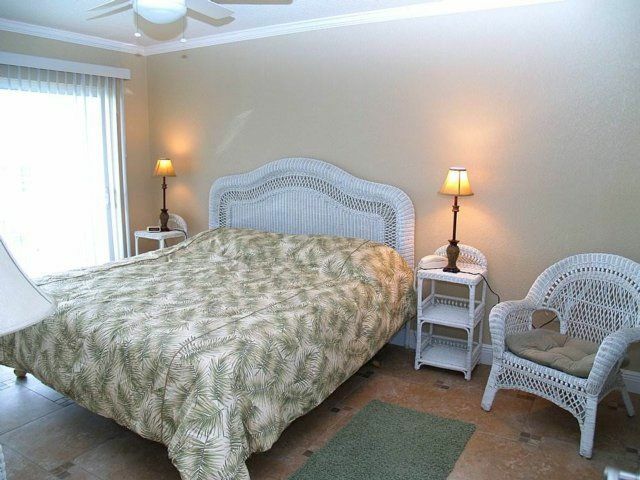 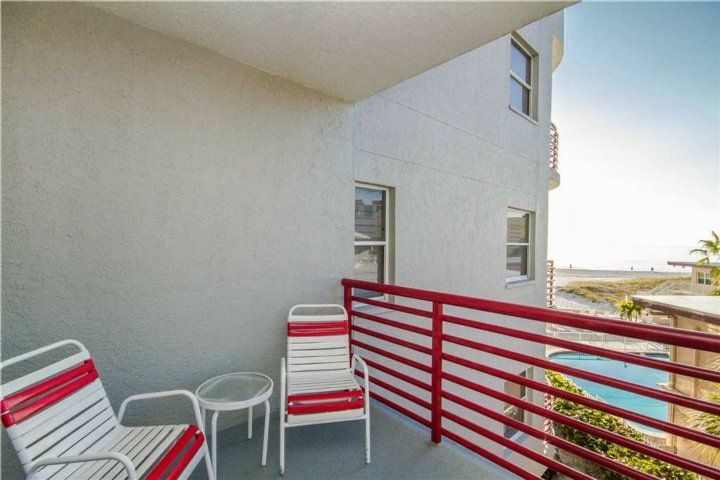 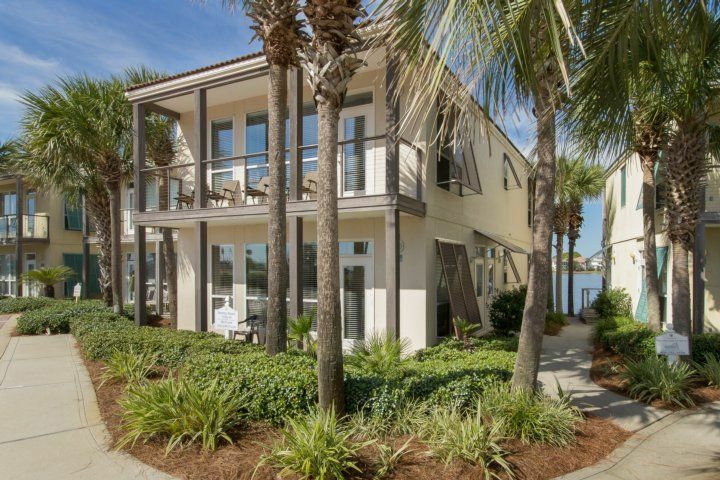 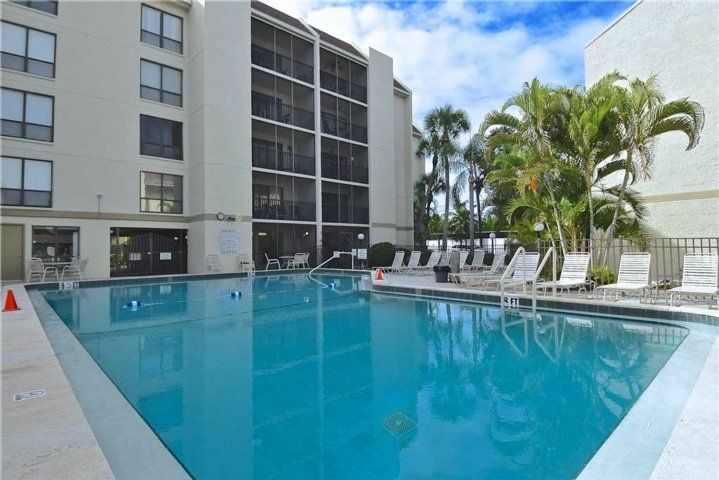 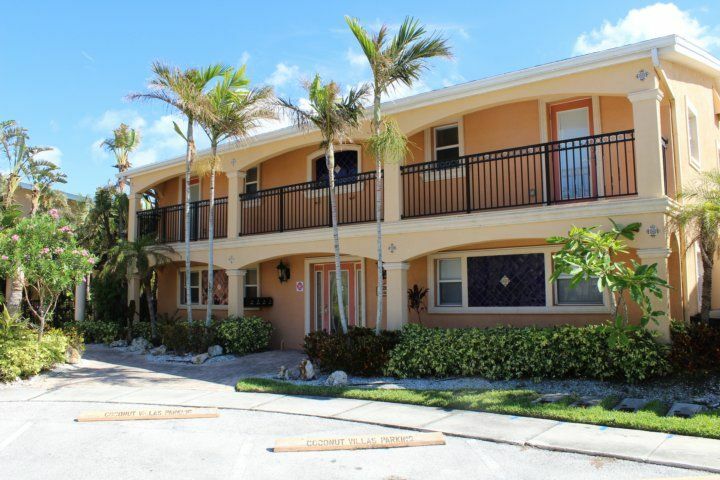 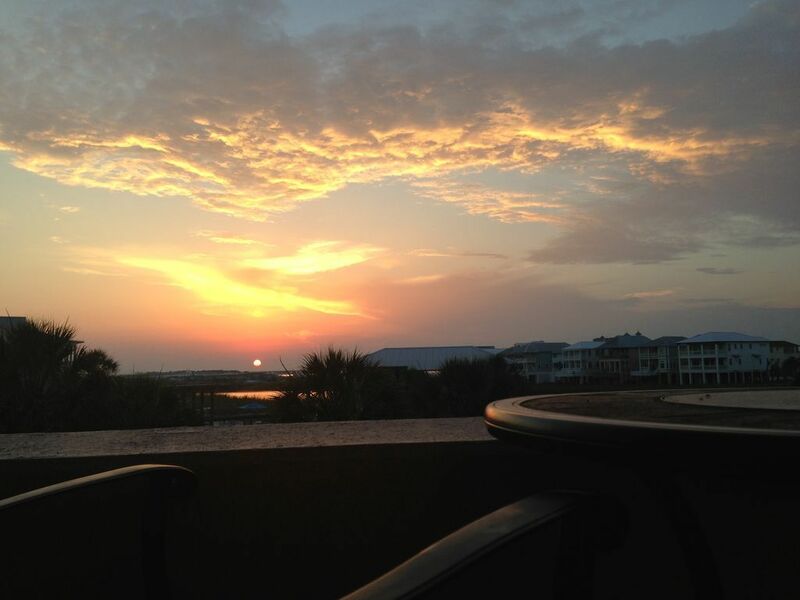 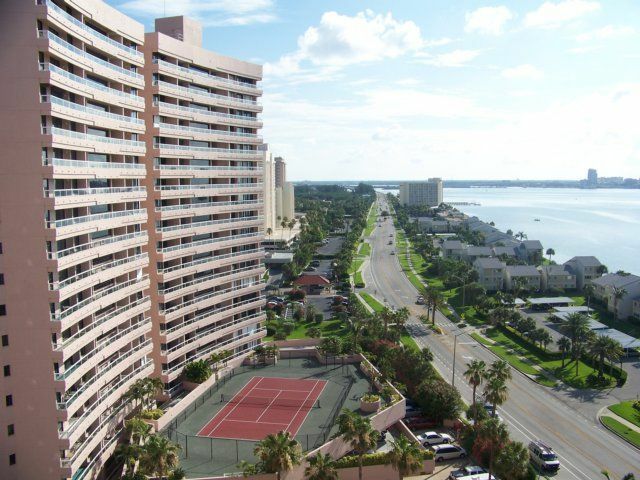 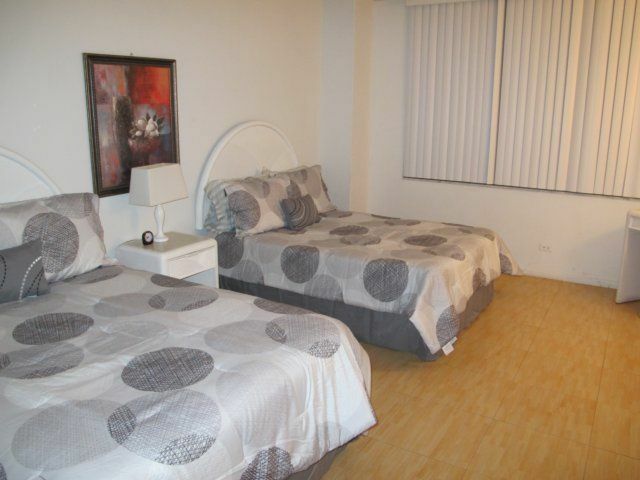 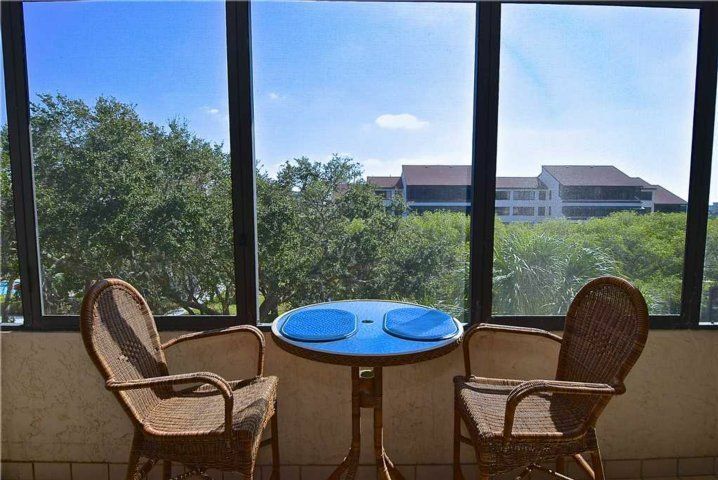 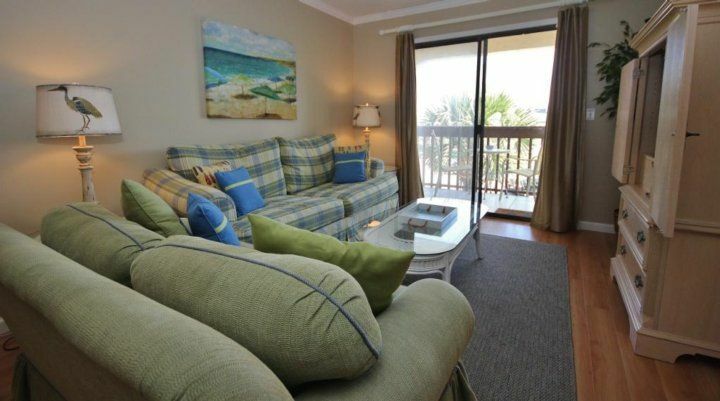 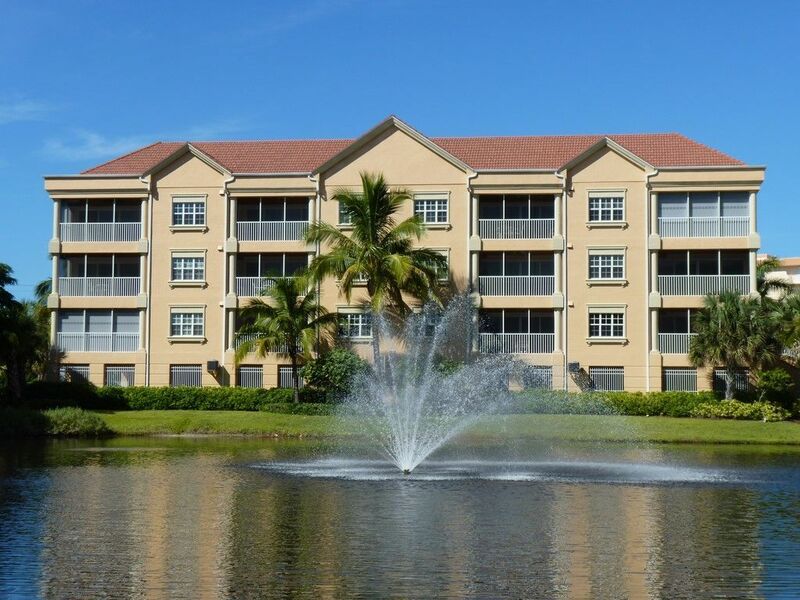 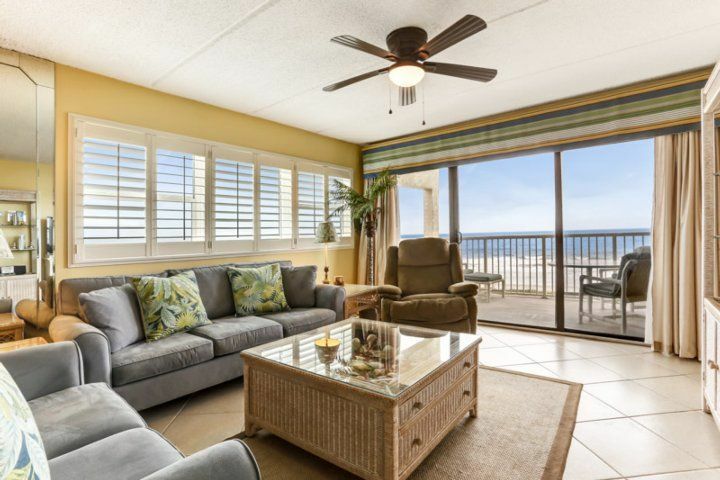 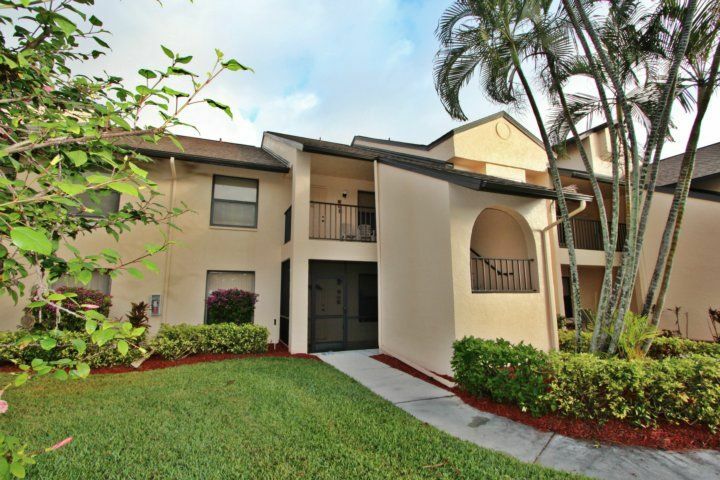 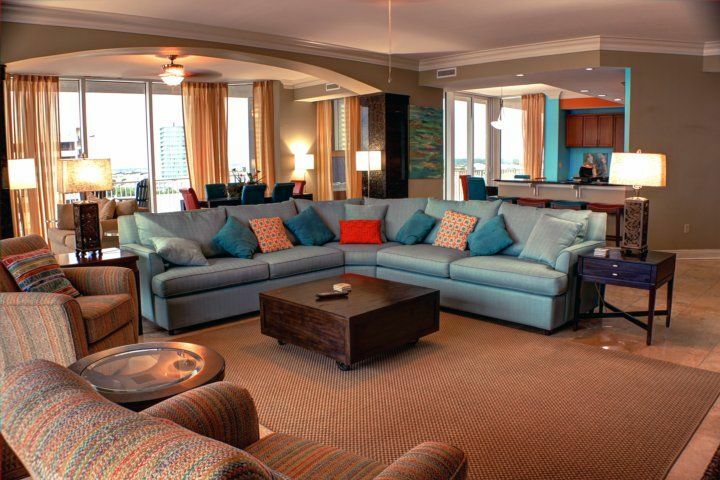 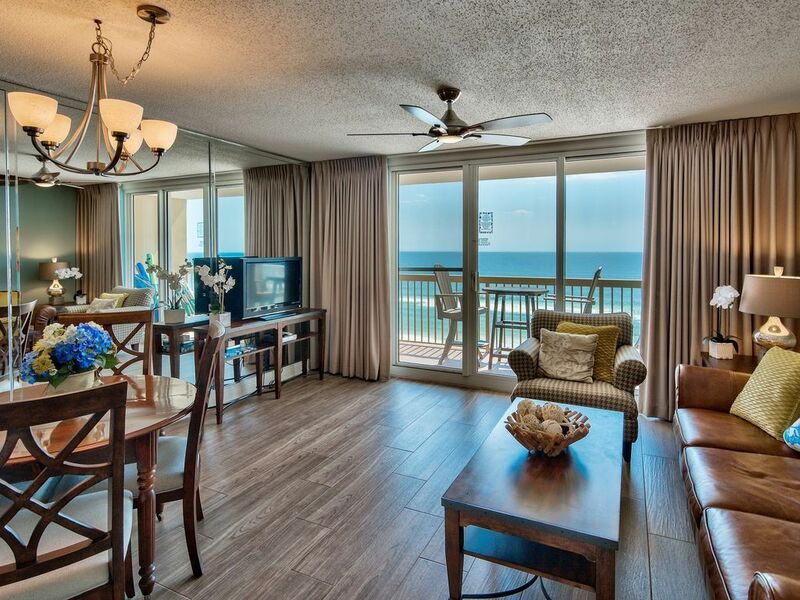 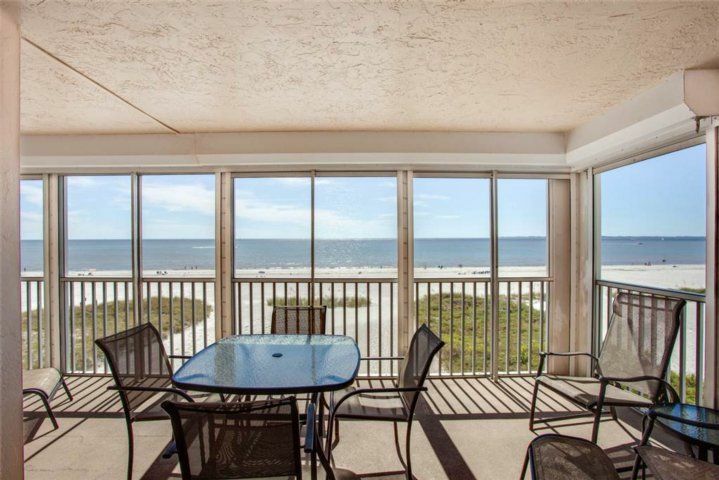 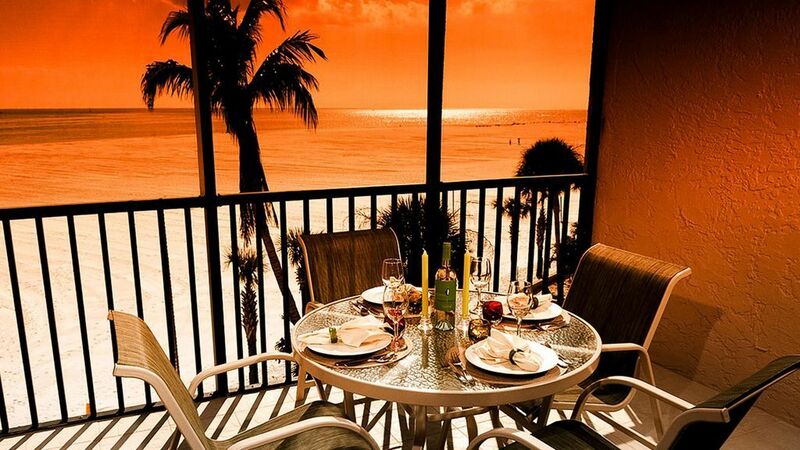 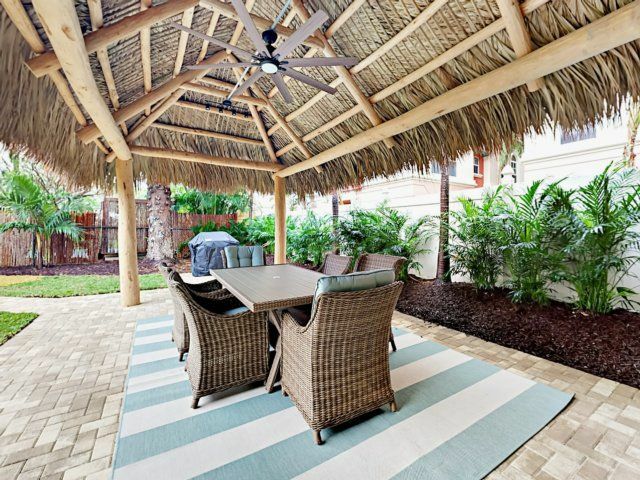 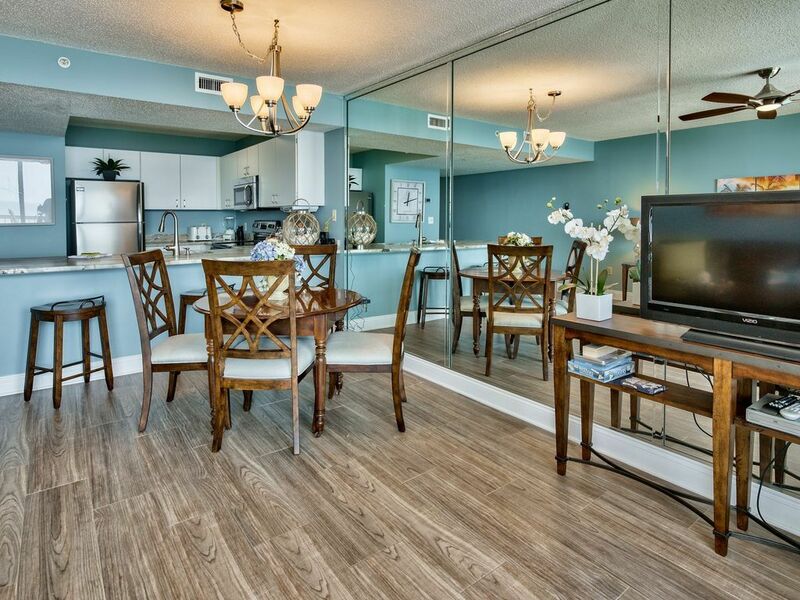 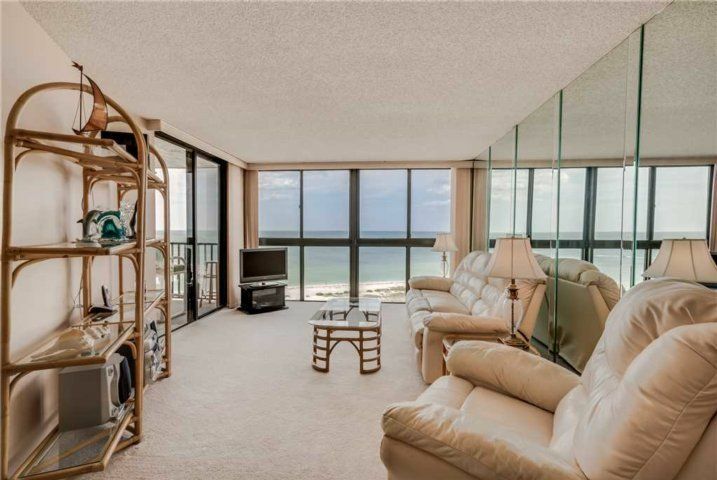 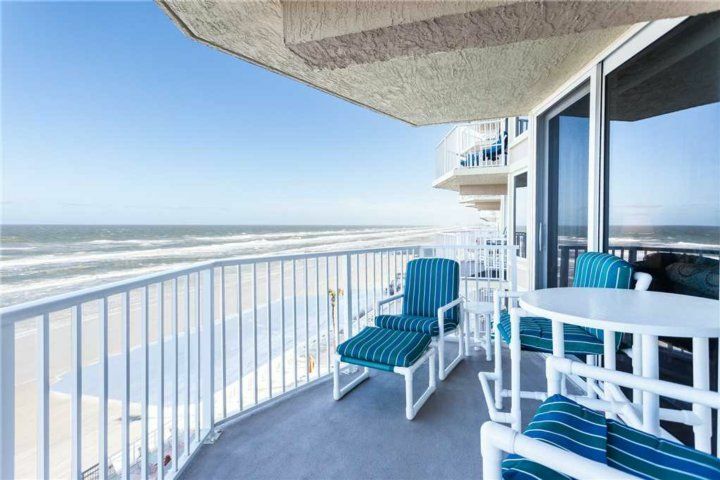 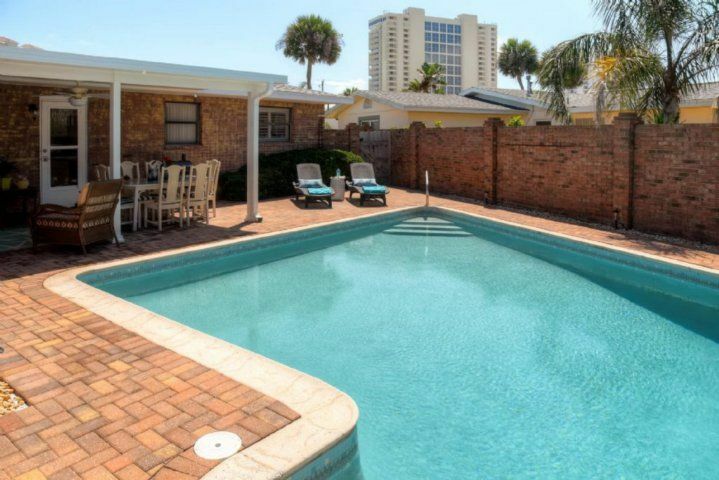 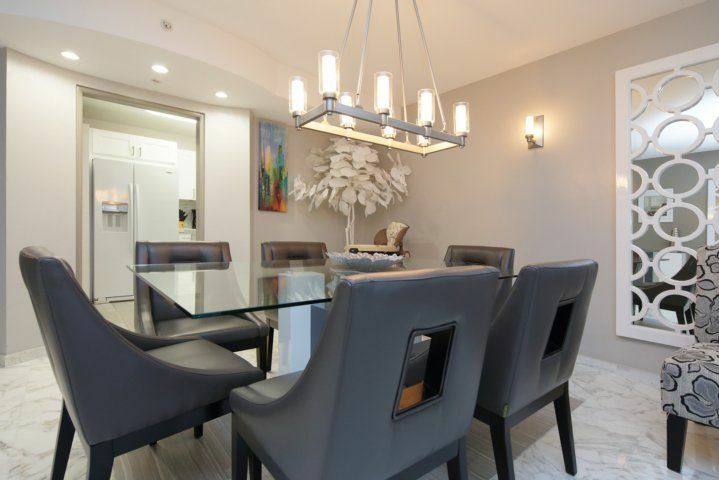 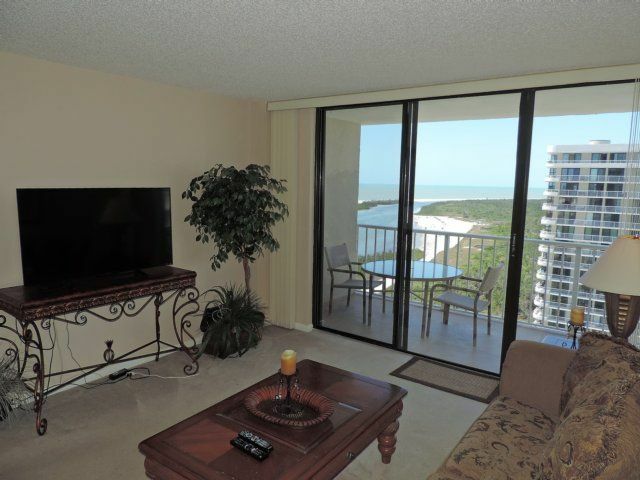 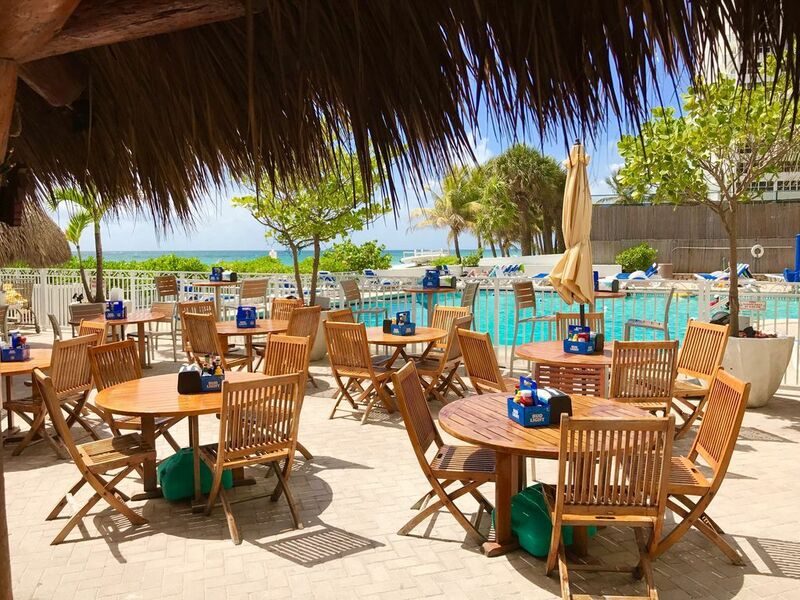 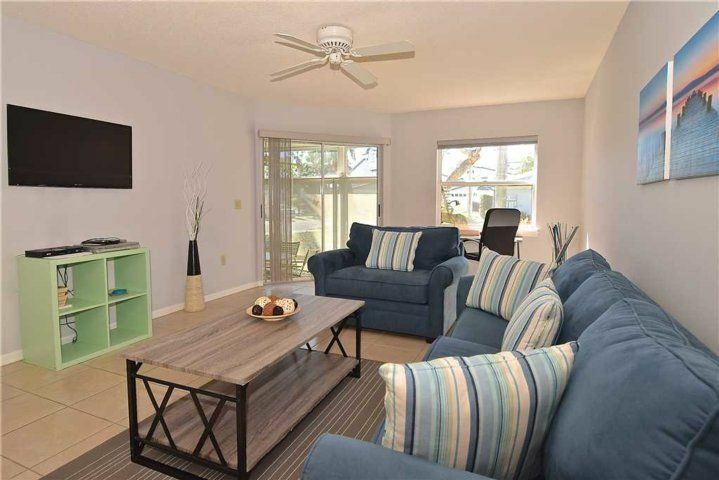 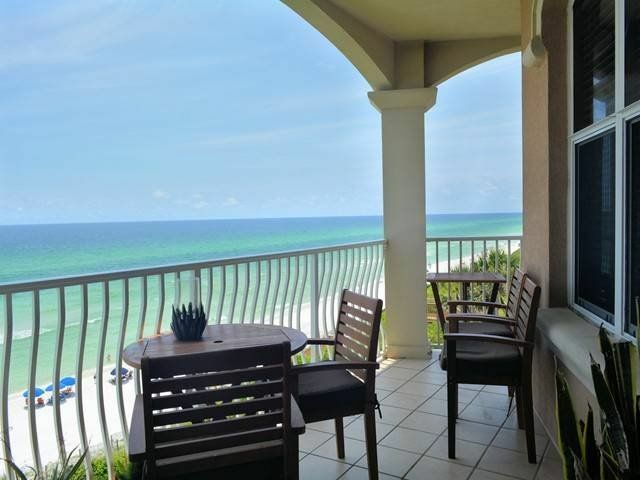 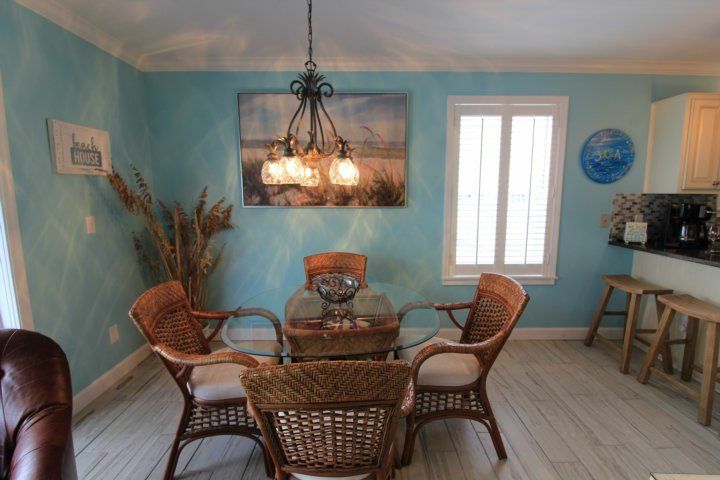 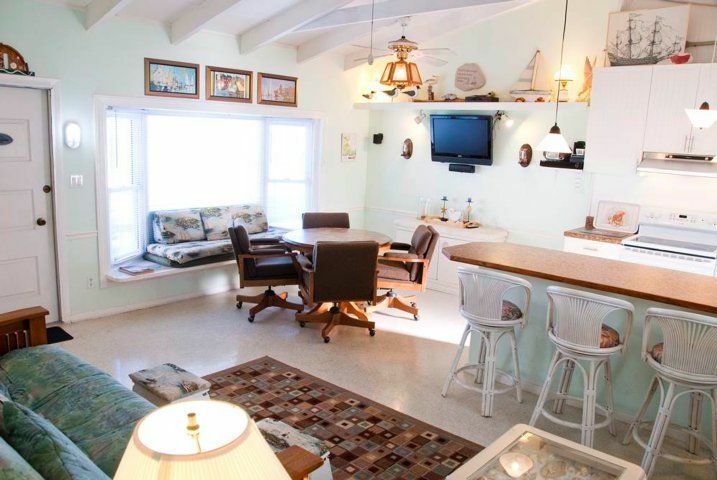 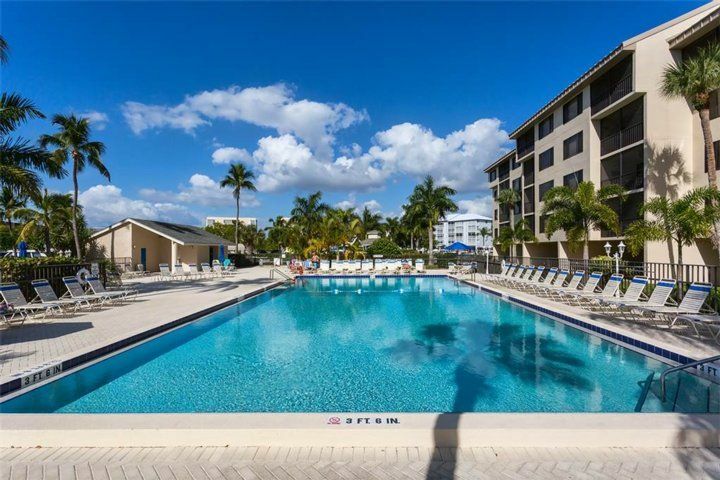 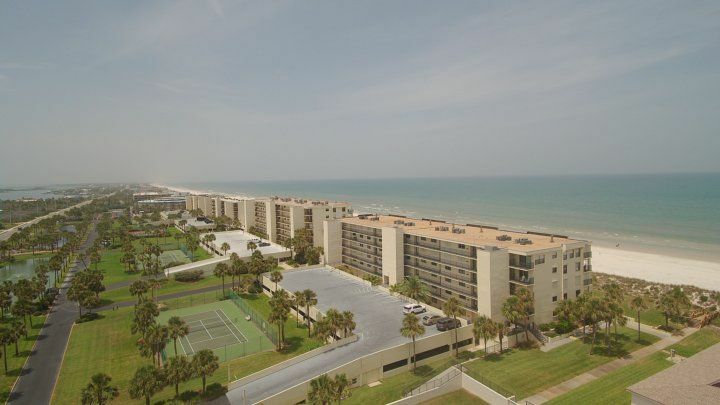 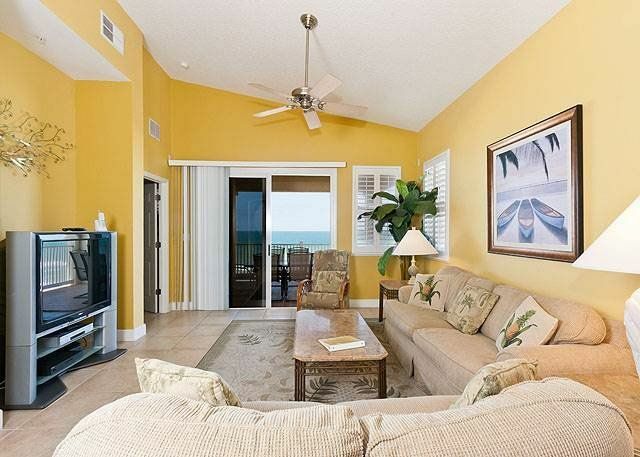 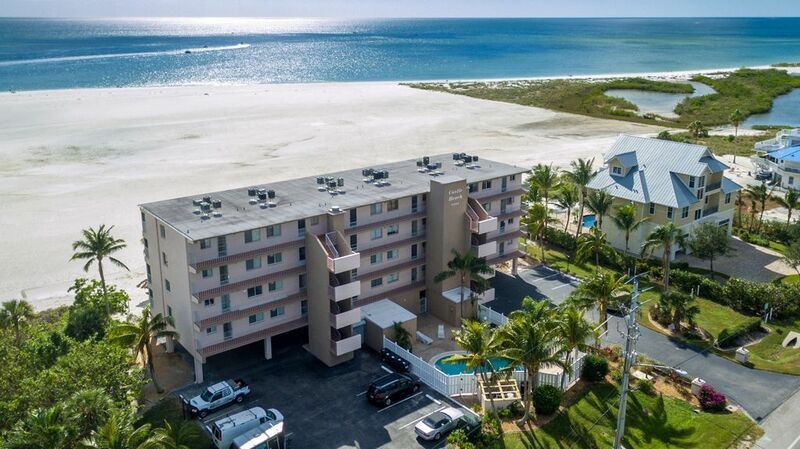 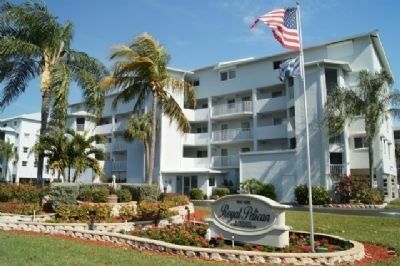 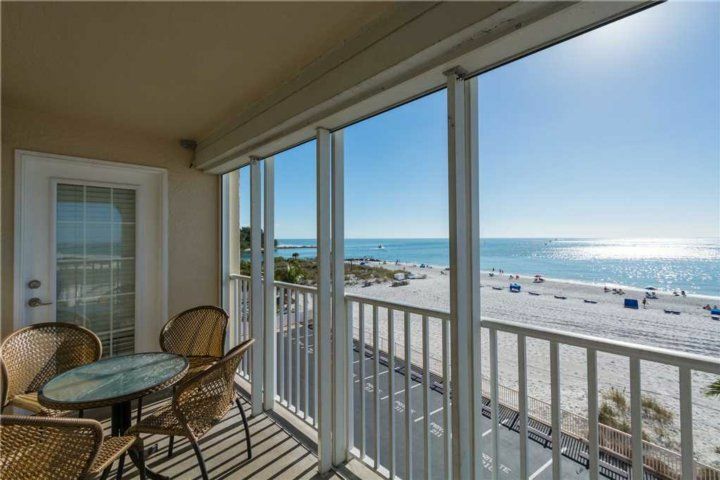 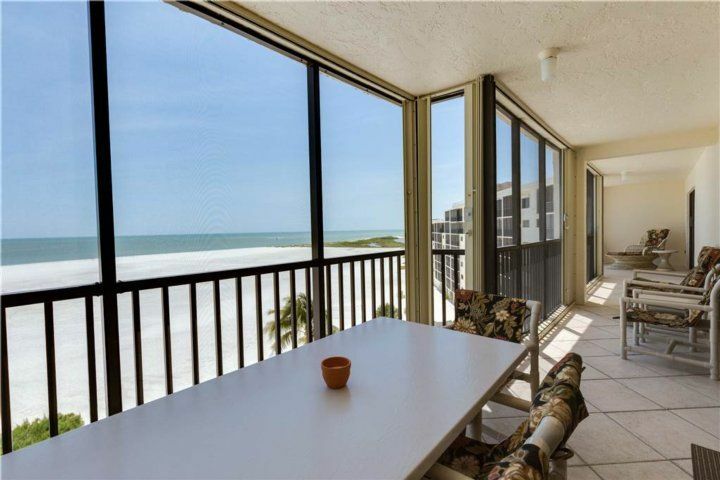 It’s just one more advantage that sets Casa Marina 623-6 apart. 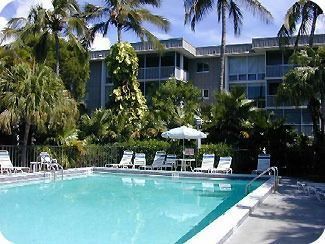 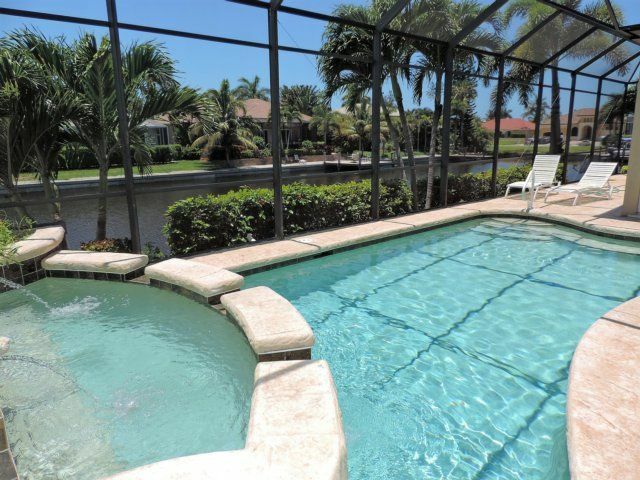 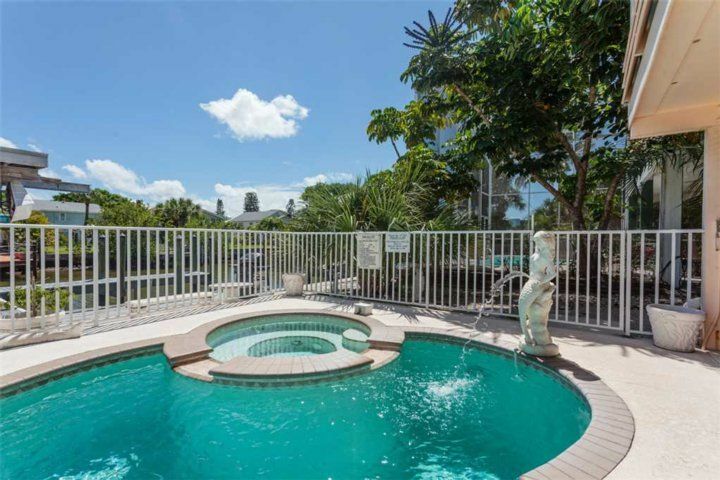 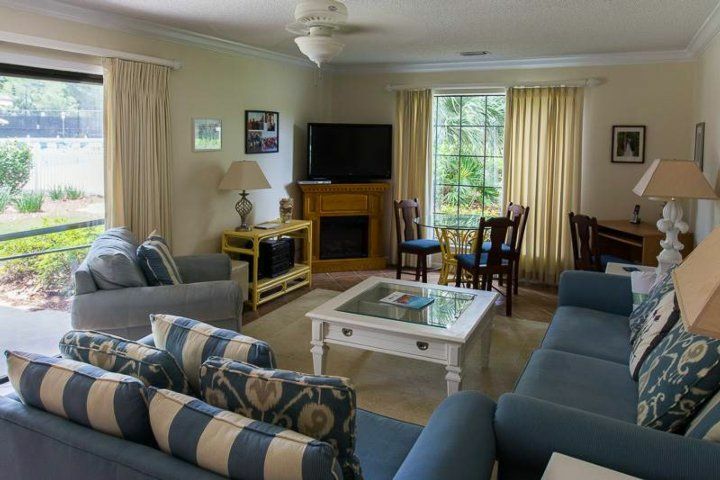 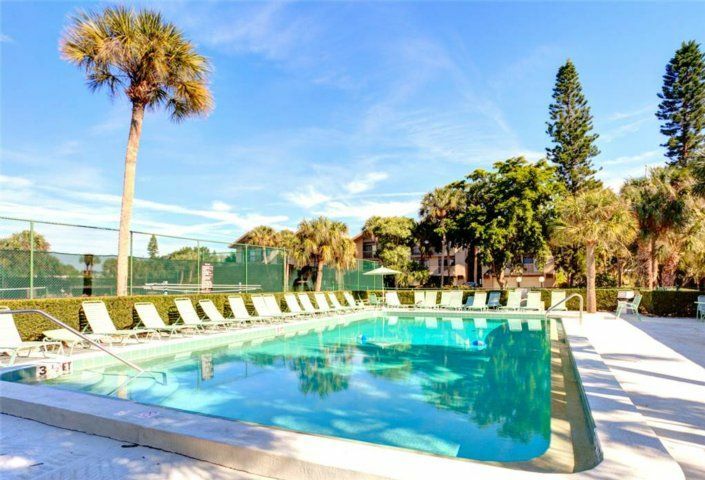 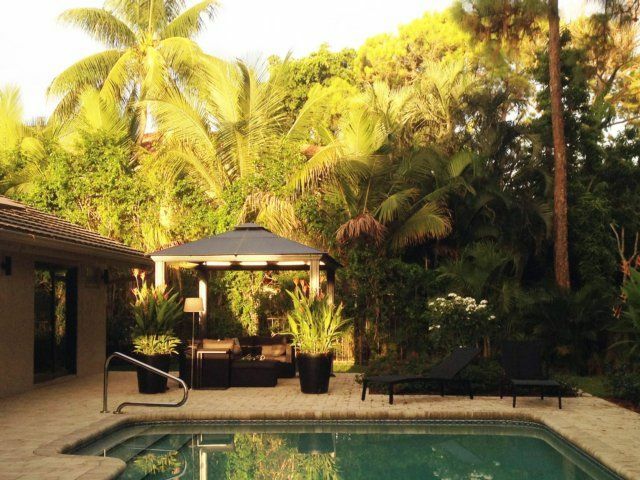 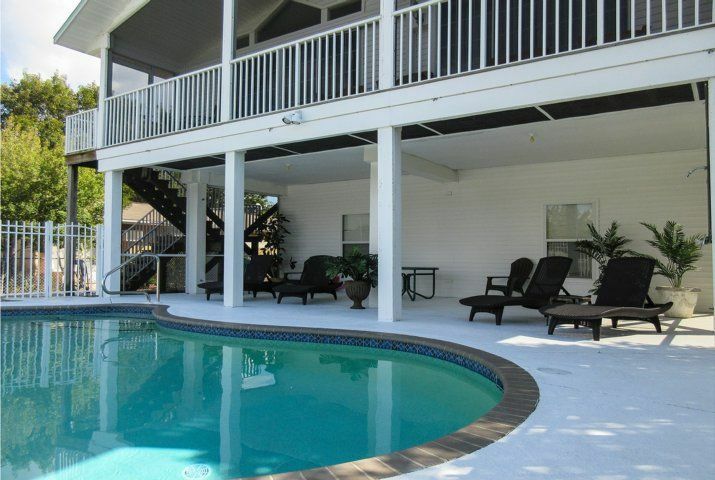 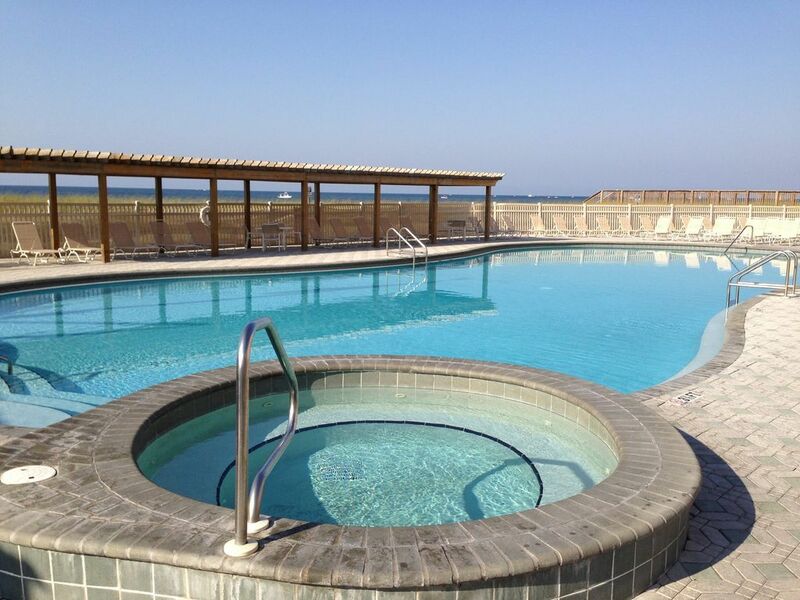 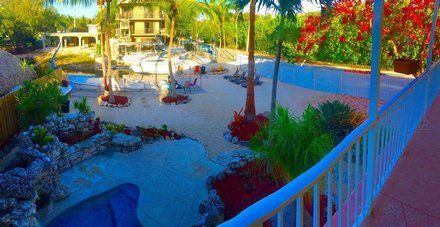 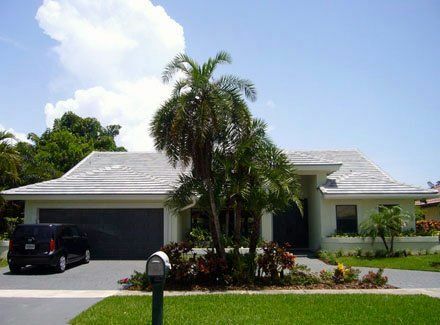 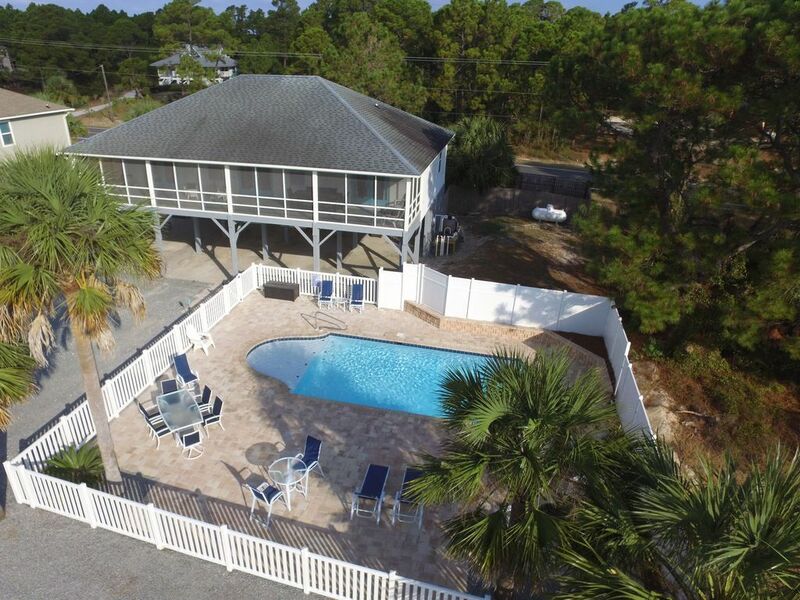 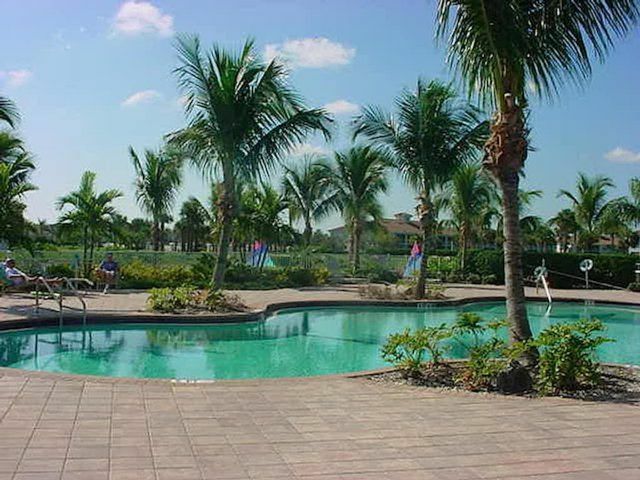 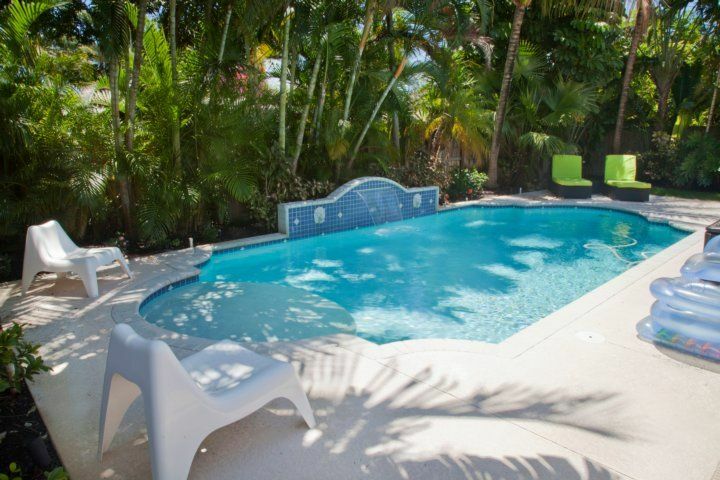 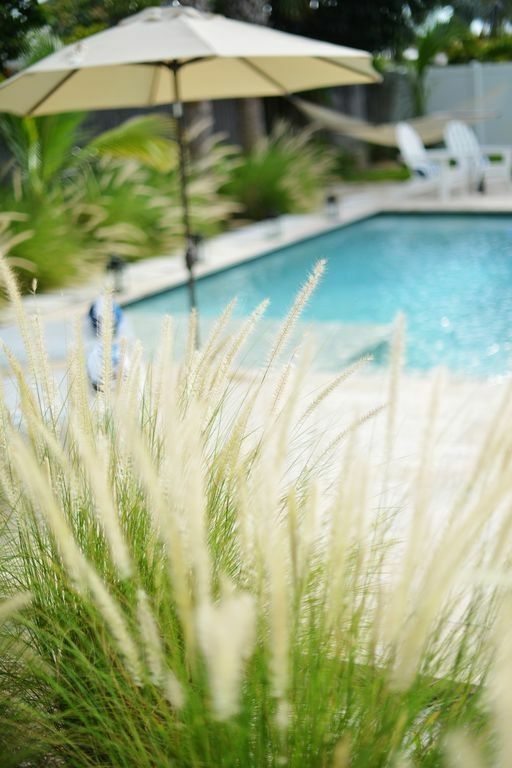 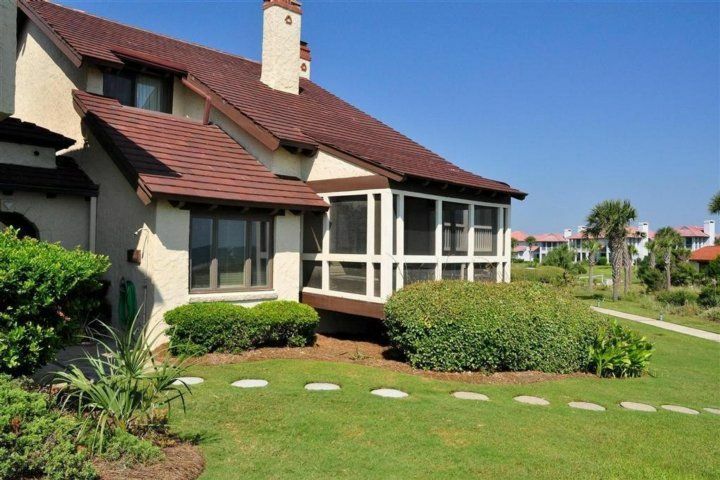 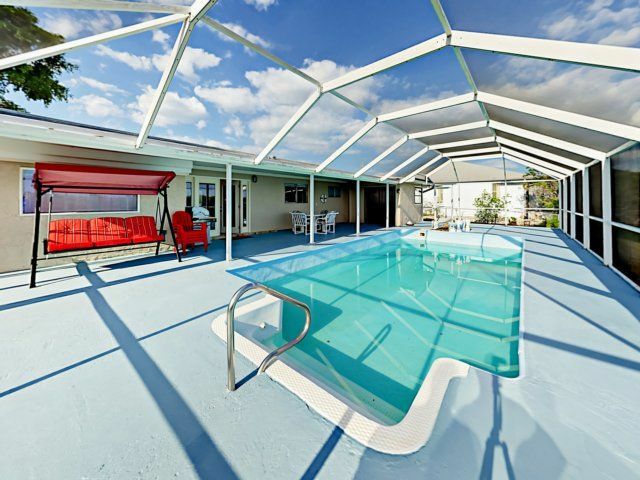 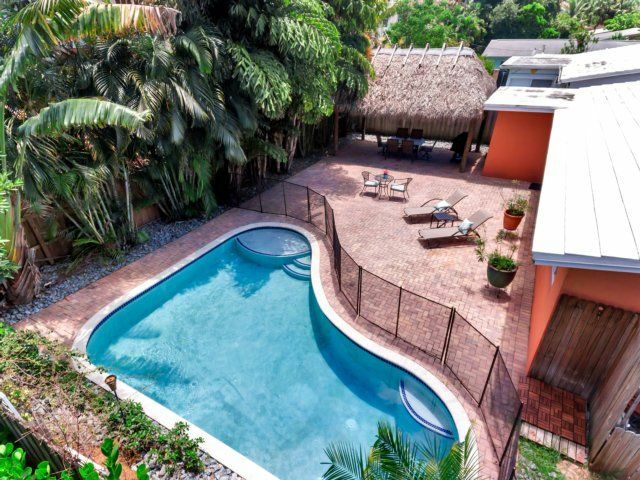 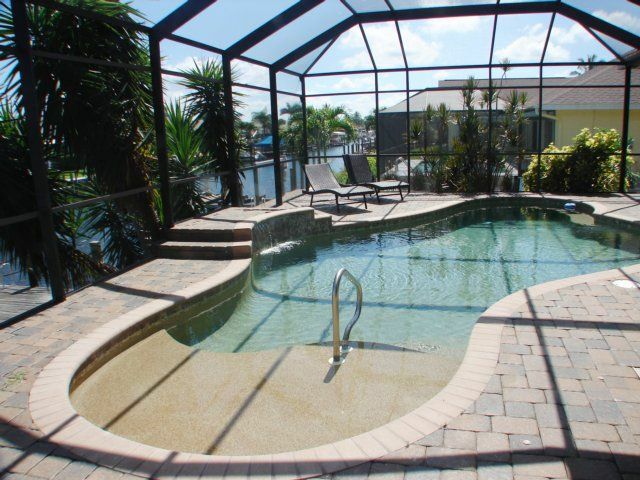 The Casa Marina complex is a beautifully maintained property that offers a large heated pool for your enjoyment. 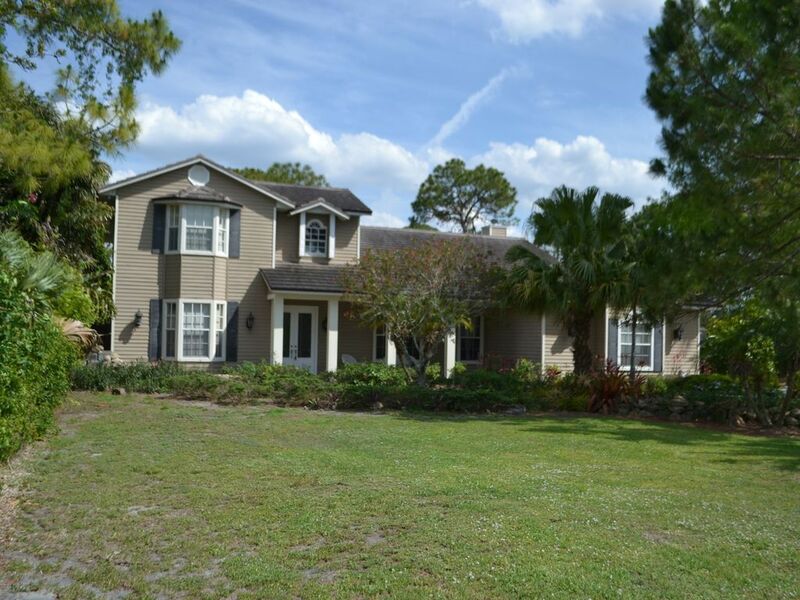 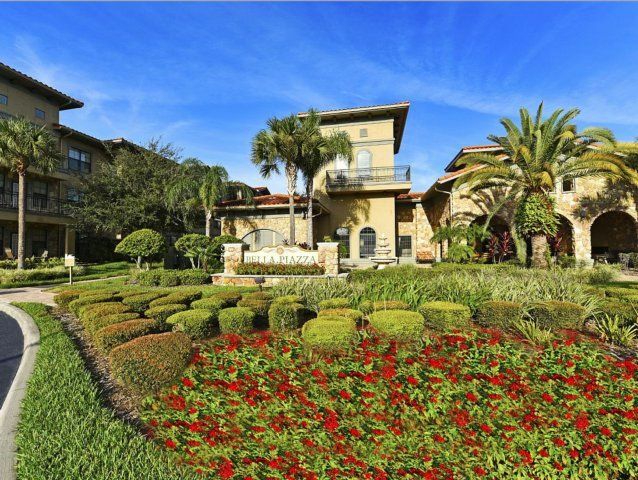 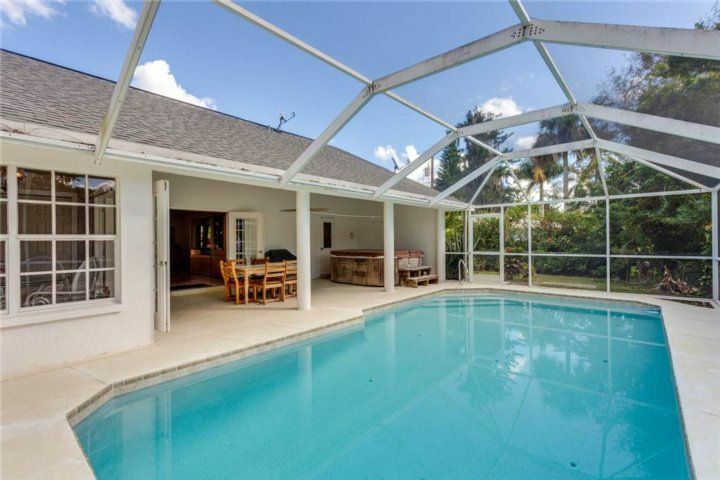 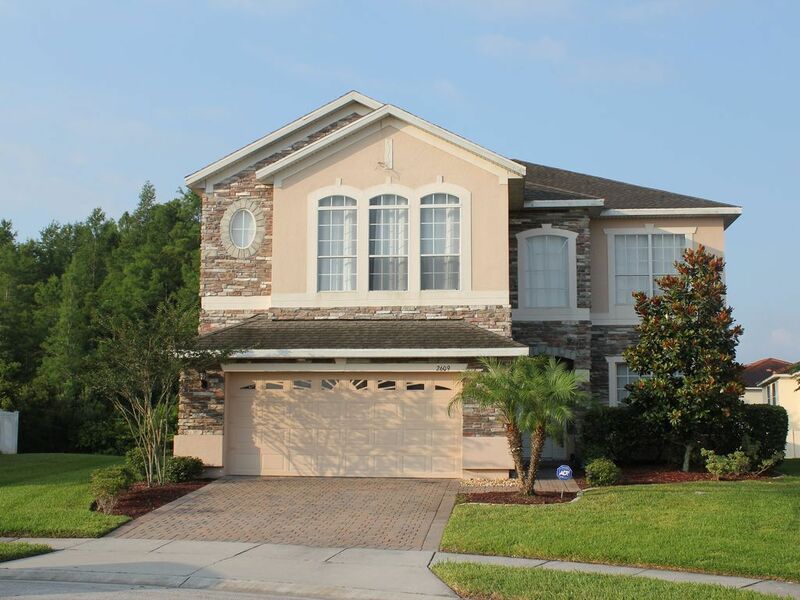 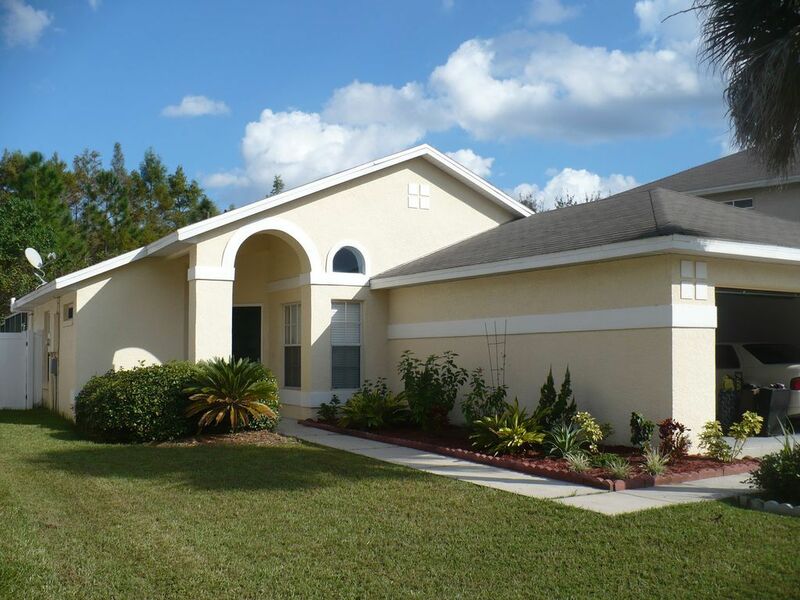 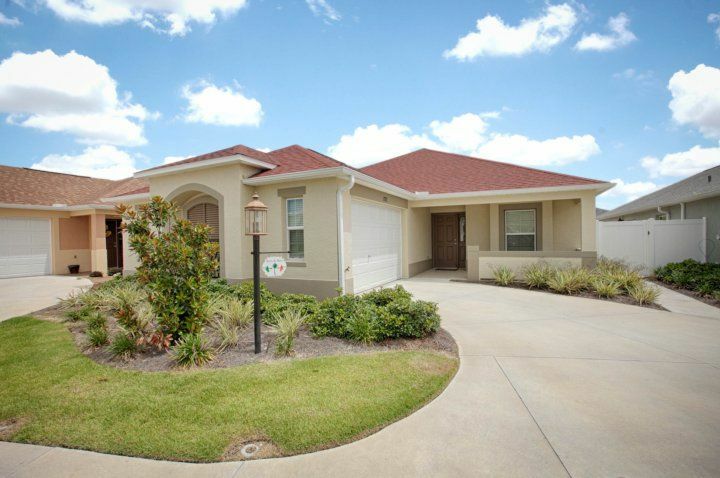 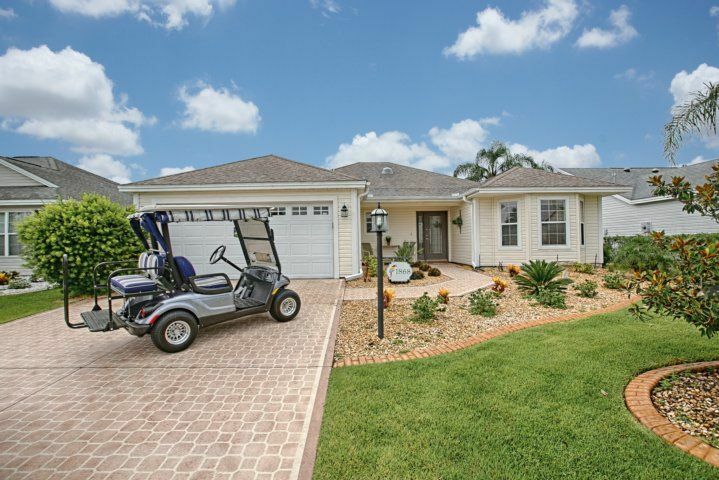 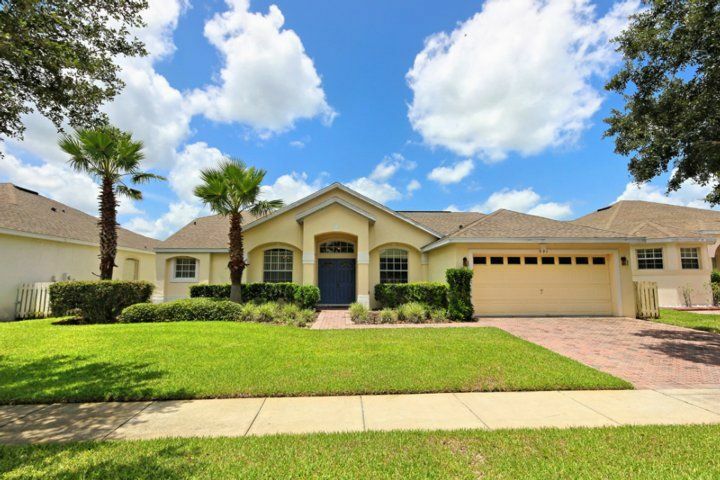 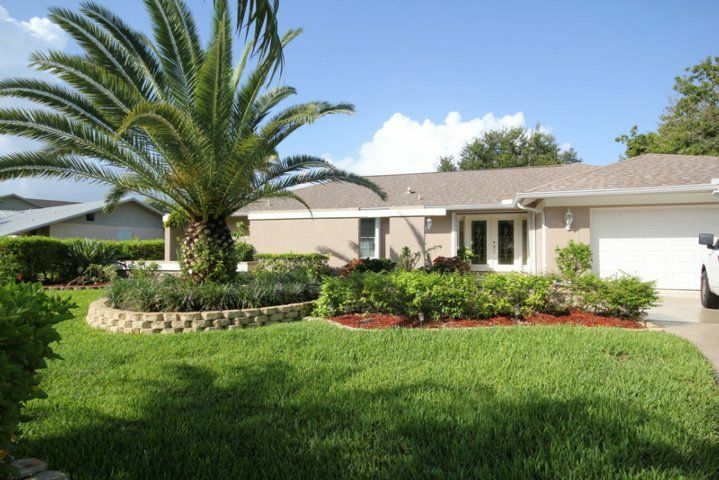 The property is a feast for the eyes with lakes and beautifully manicured gardens and walkways. 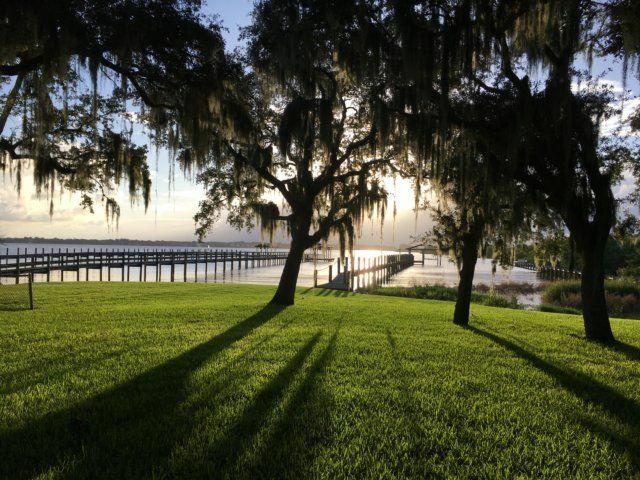 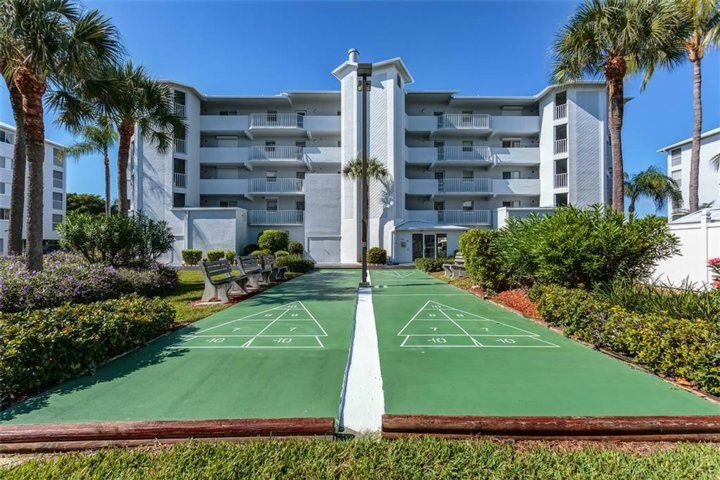 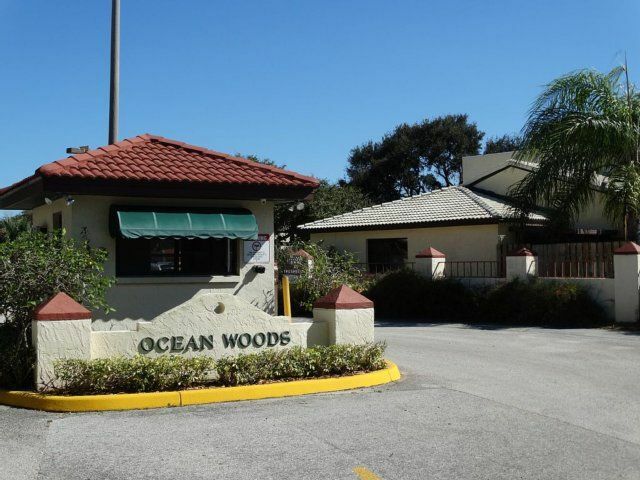 There are even a shuffleboard court, picnic areas, walking trails and a boat dock. 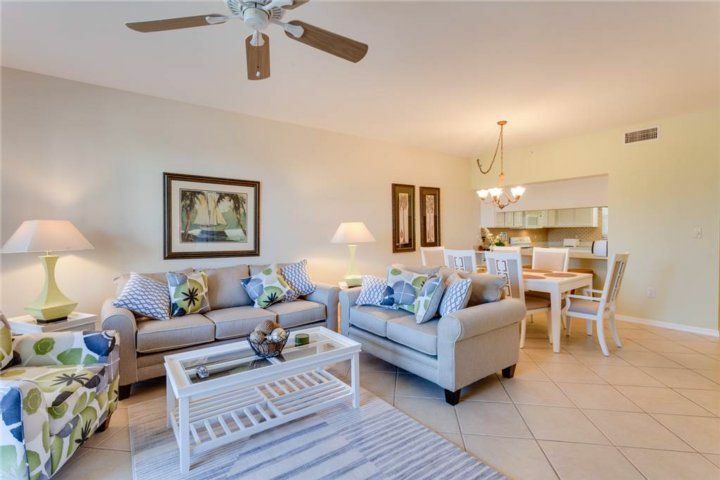 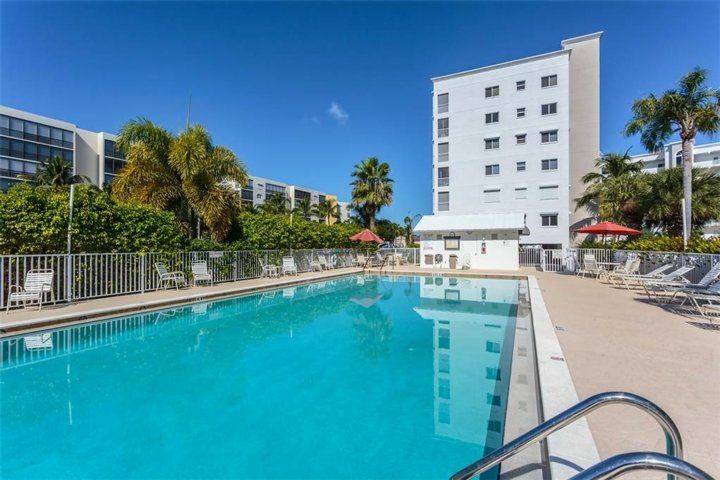 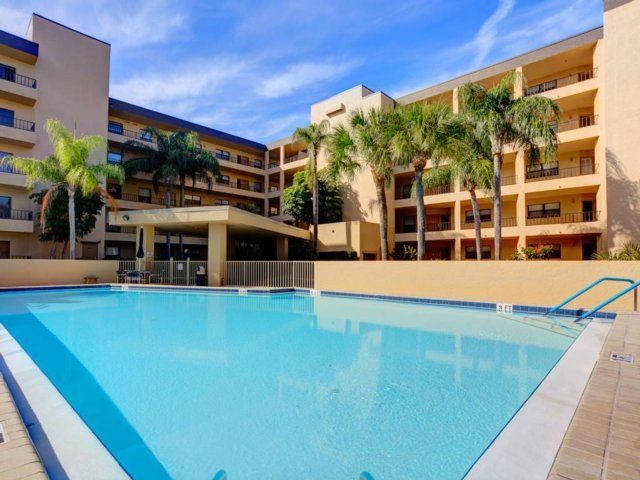 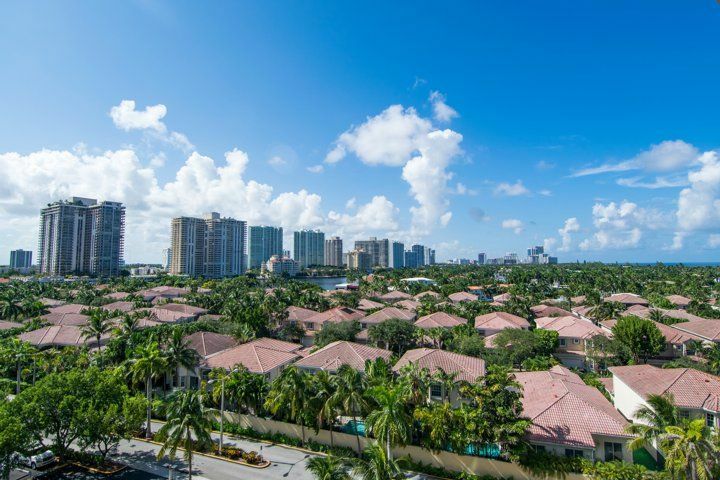 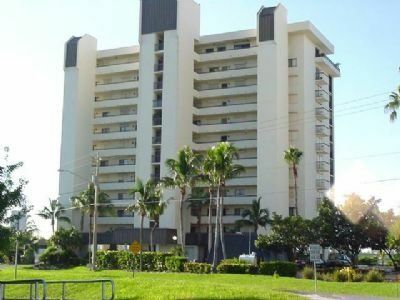 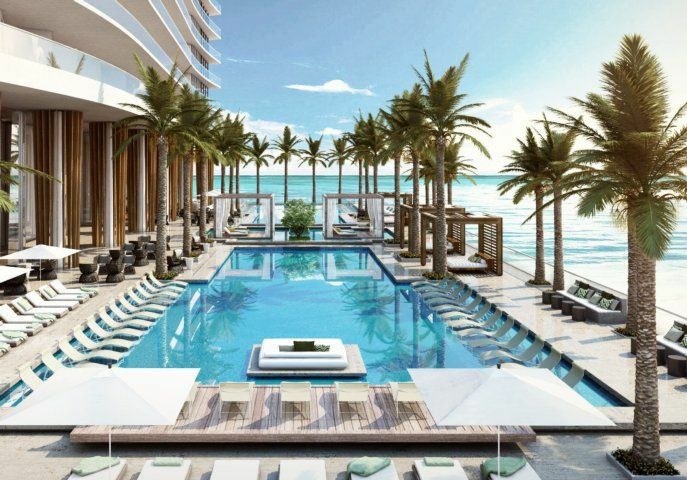 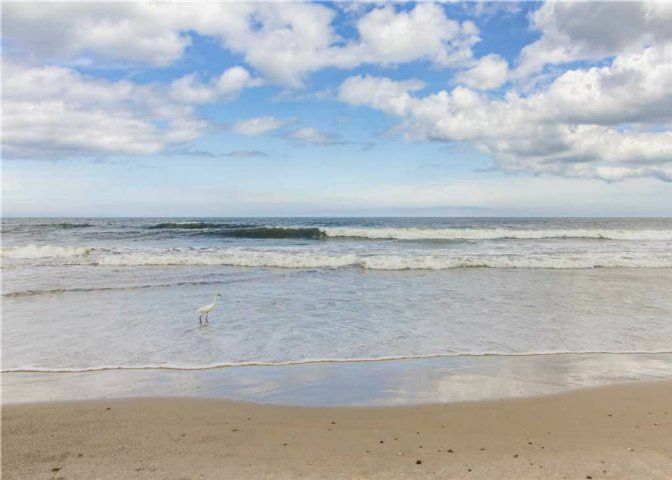 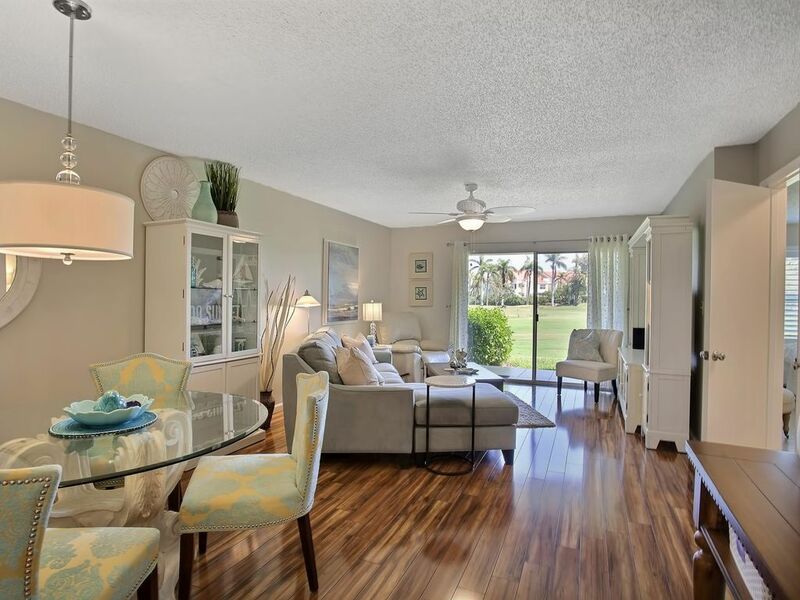 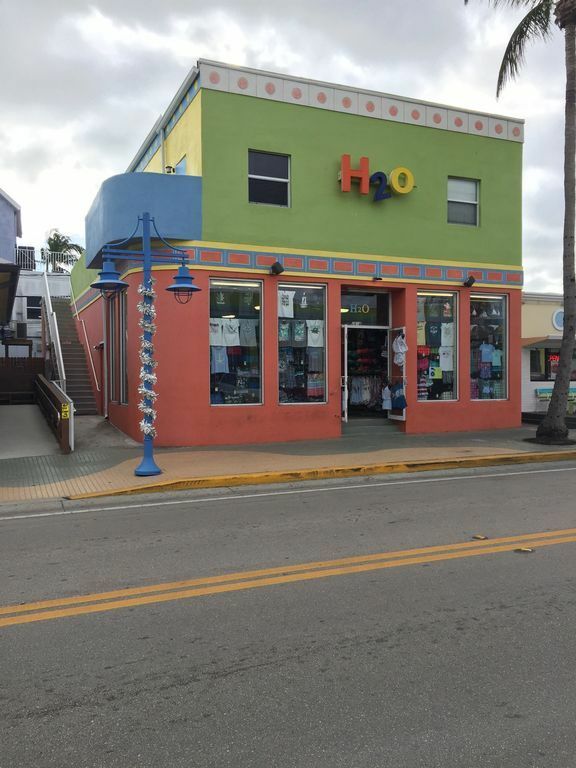 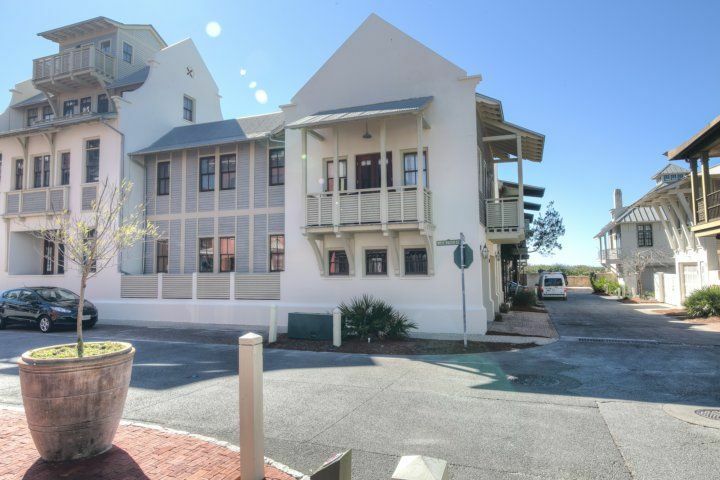 Casa Marina 623-6 is within walking distance of the golf course, tennis courts and Santini Marina Plaza that offers a full complement of restaurants and interesting shops. 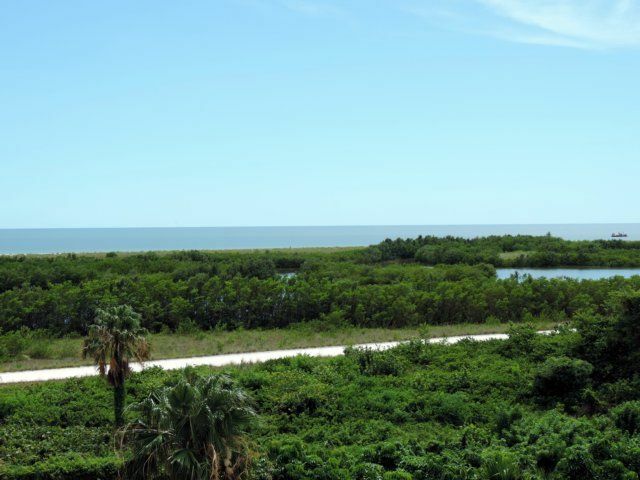 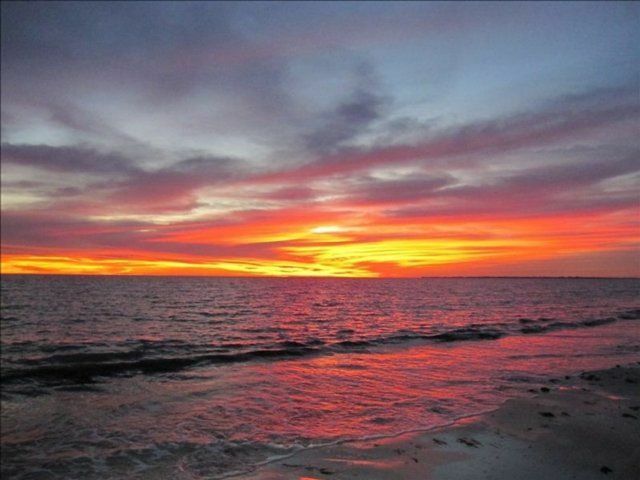 You’ll also be close to Lovers Key State Park where you can get a glimpse of Florida in the wild. 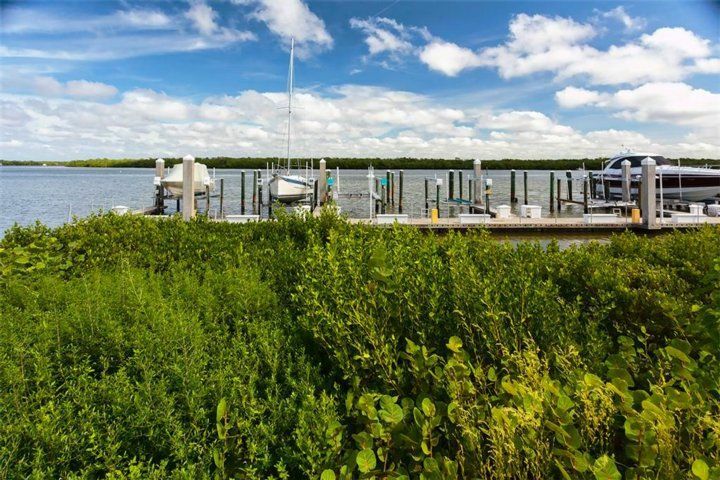 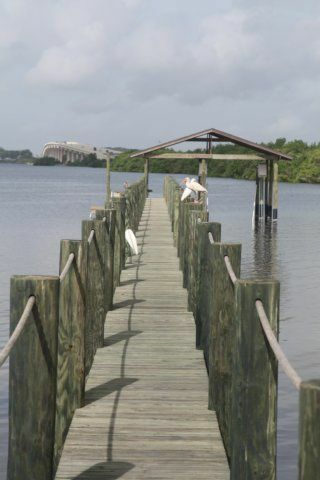 The park offers hiking and biking paths along with opportunities to kayak and canoe among the mangroves. 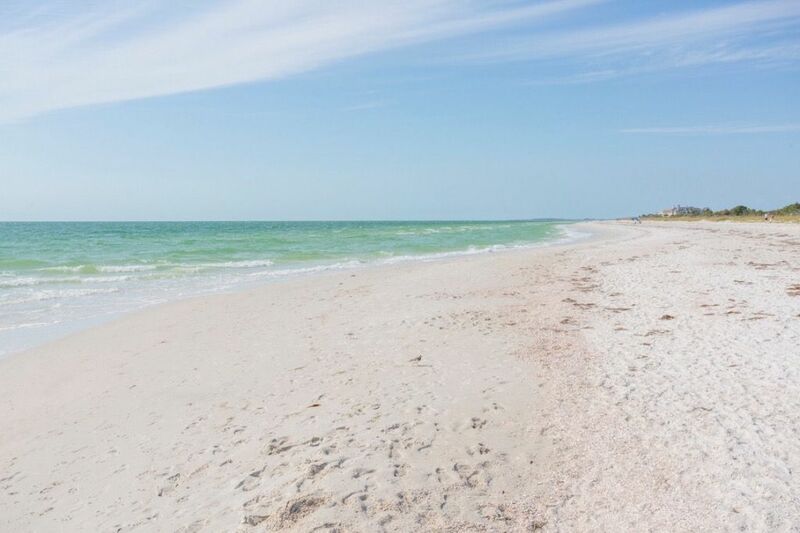 Beachcombing along the shores of Lovers Key State Park yields interesting shells, driftwood and occasionally a bit of colorful sea glass. 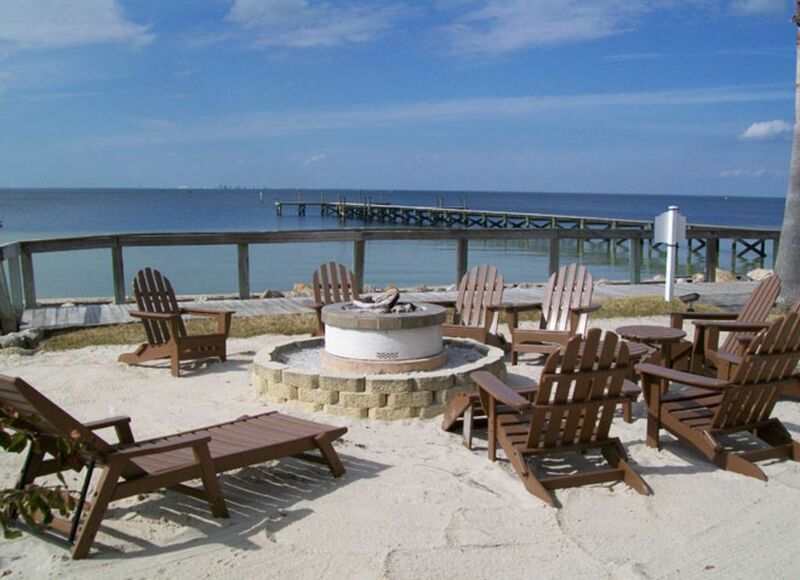 Bring a picnic and settle down in a secluded cove for a delightful afternoon at the shore. 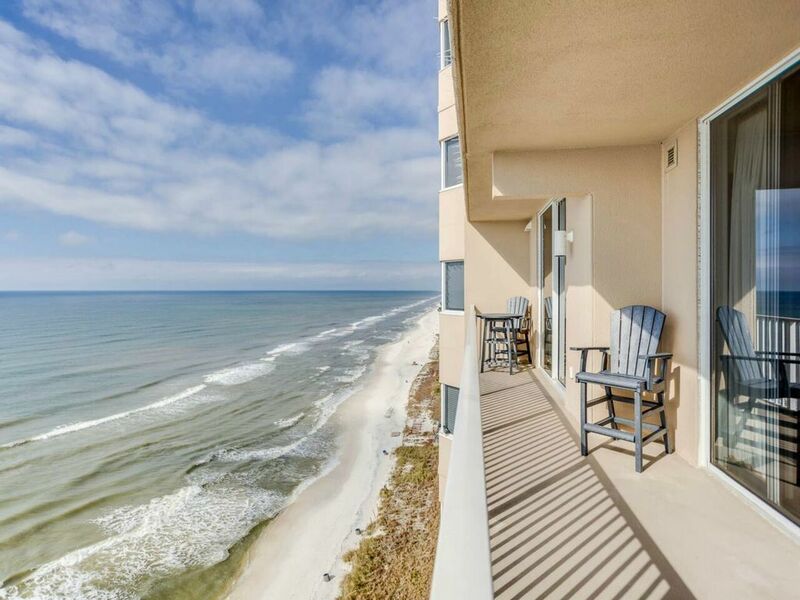 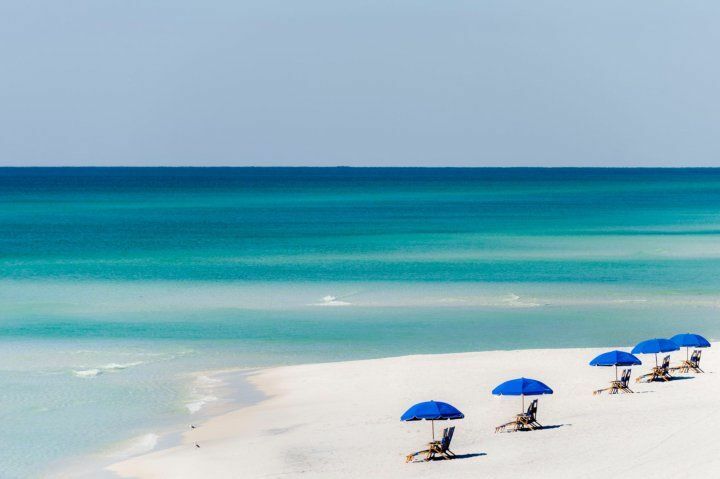 Of course, you are also very close to the white sand beaches of the Gulf coast. 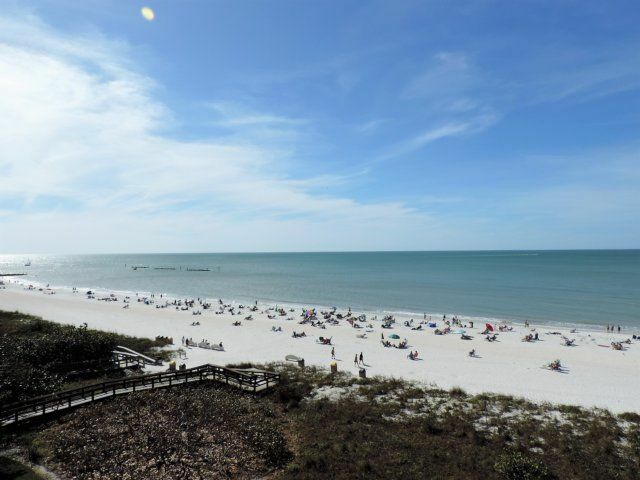 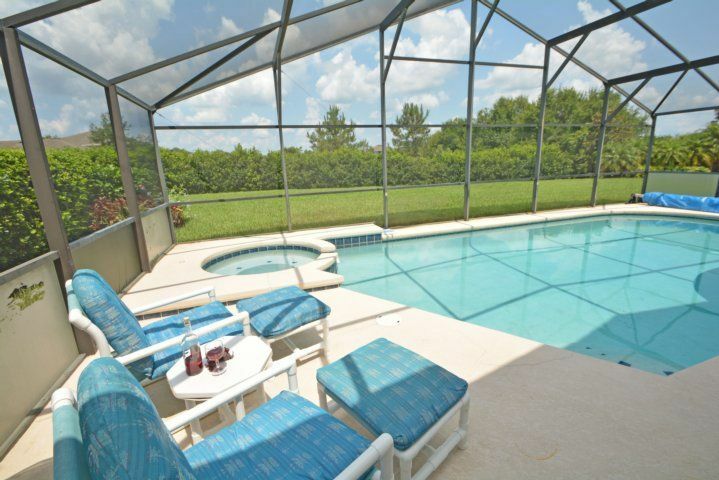 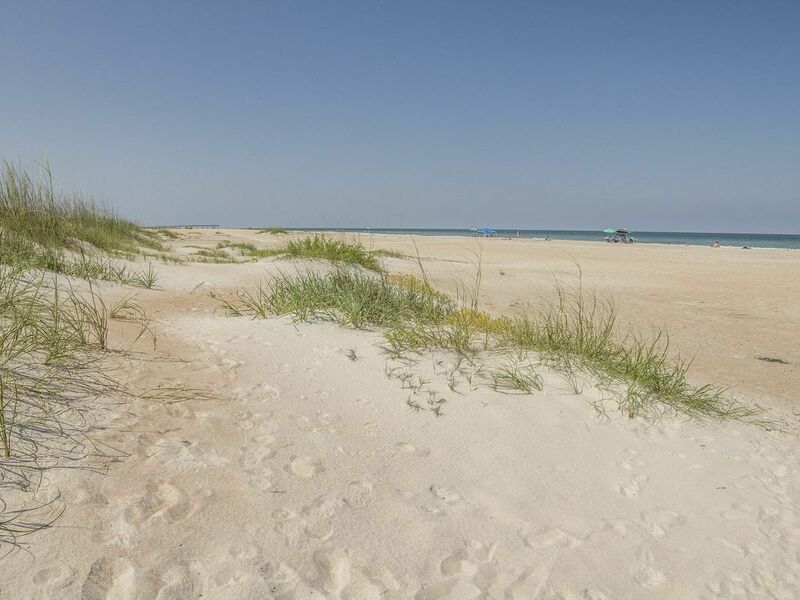 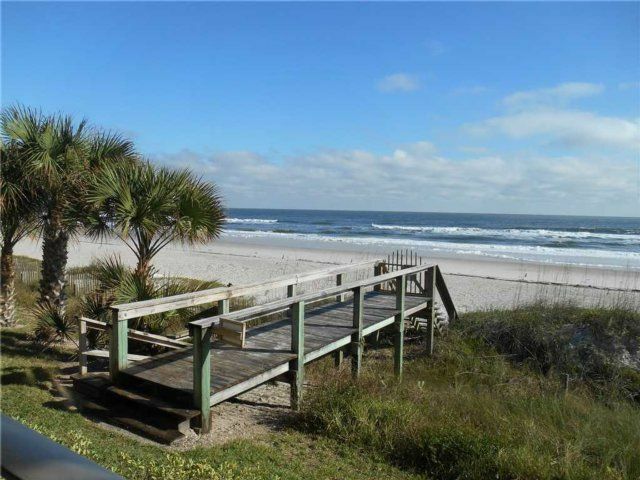 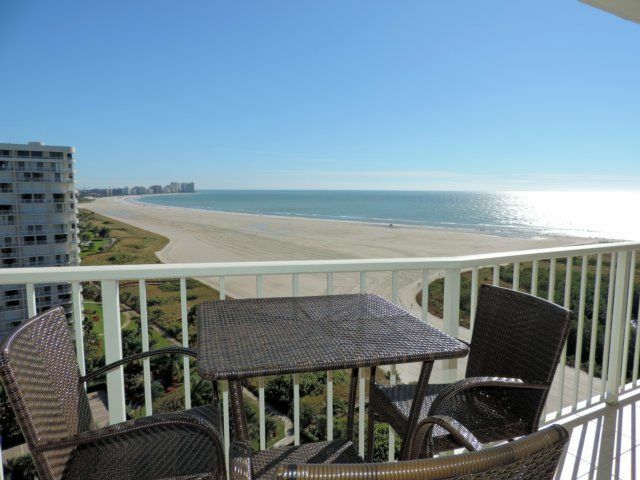 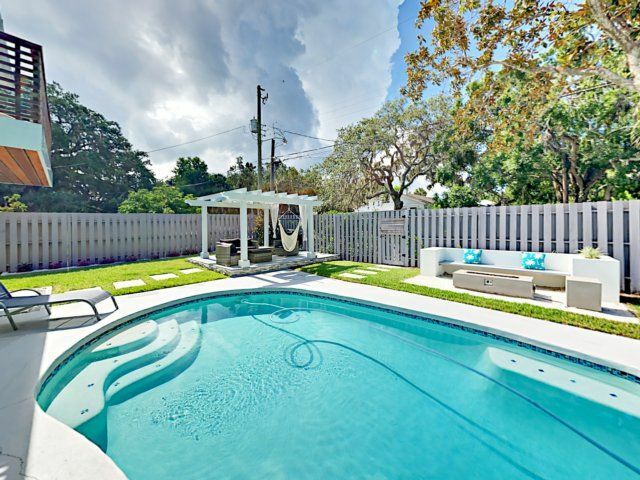 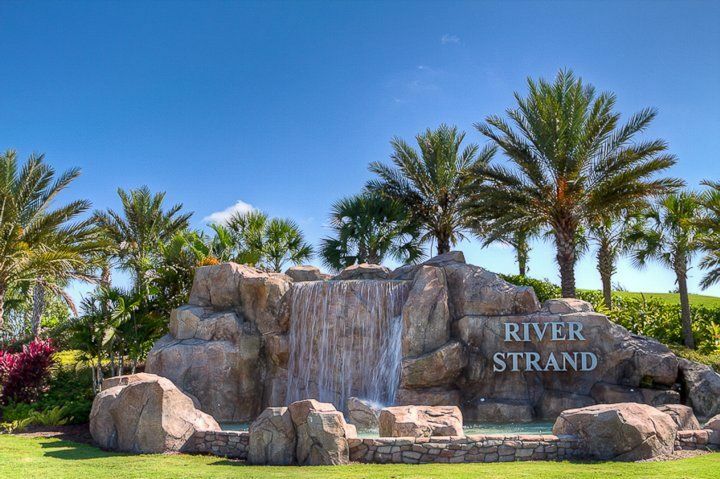 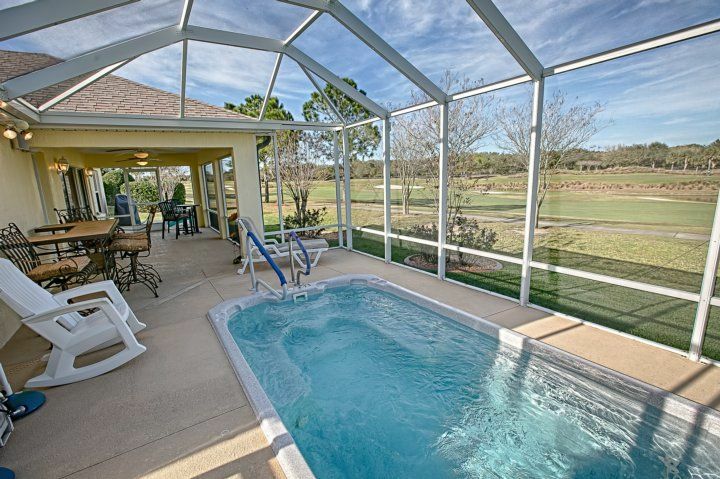 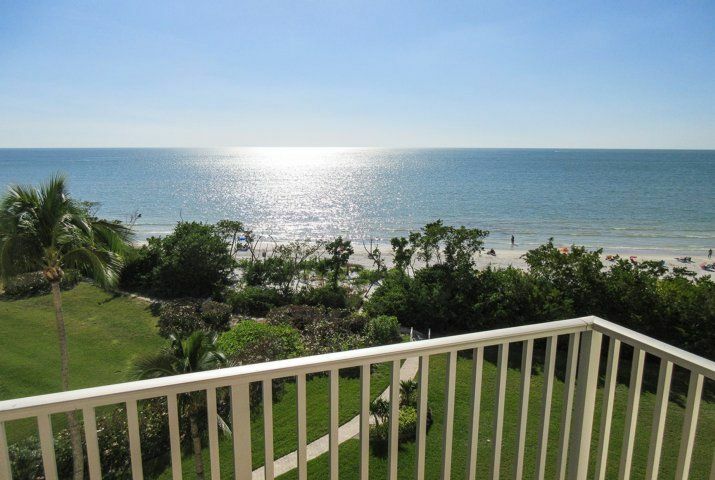 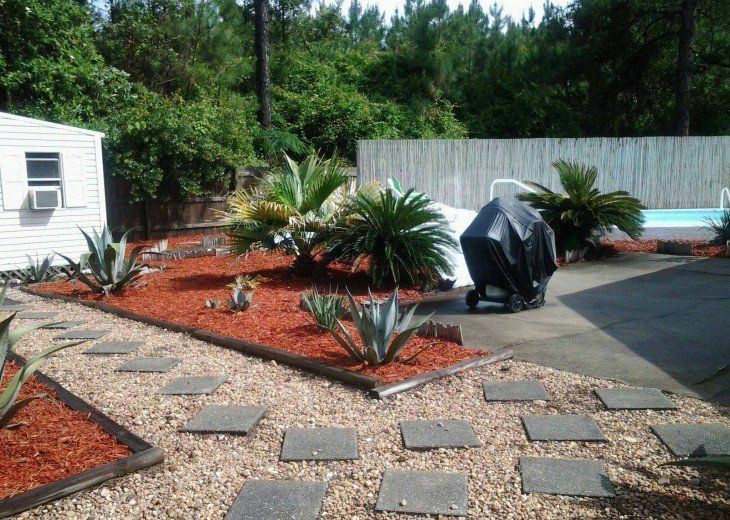 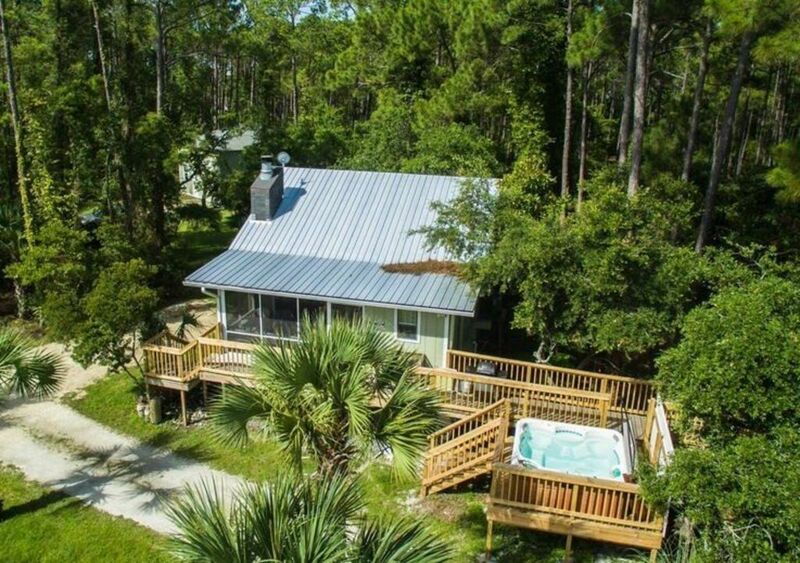 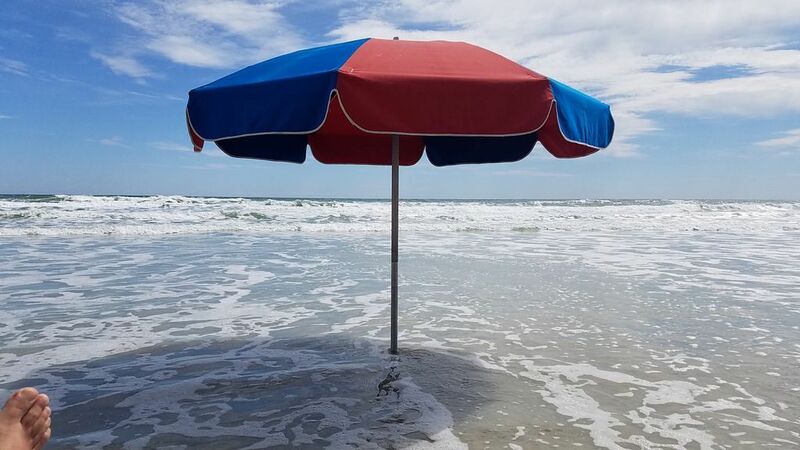 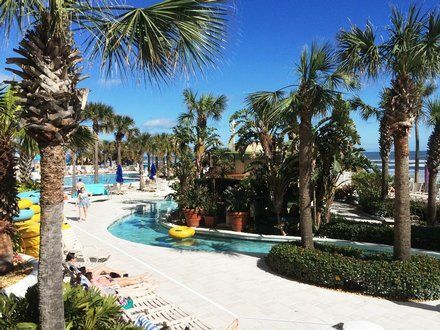 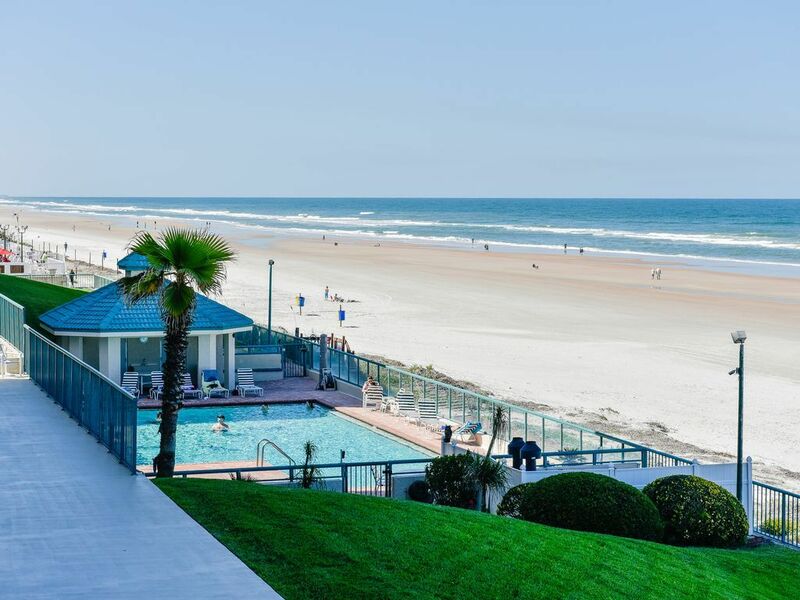 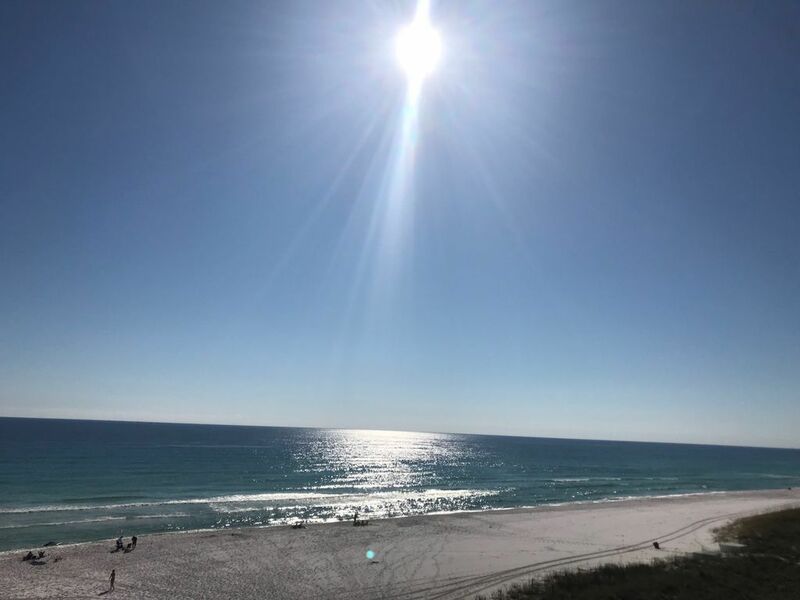 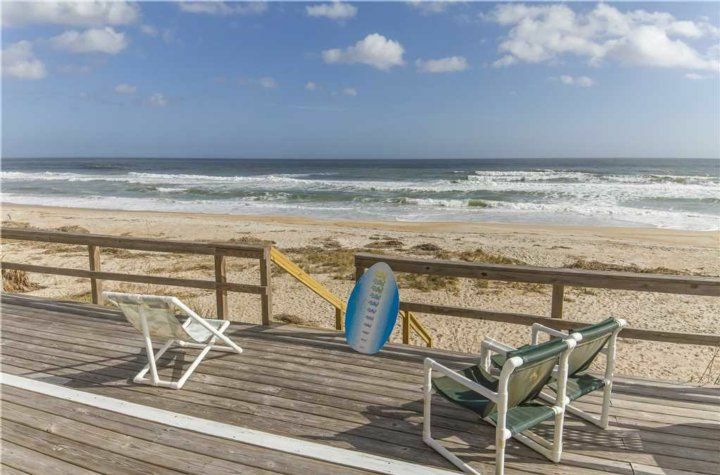 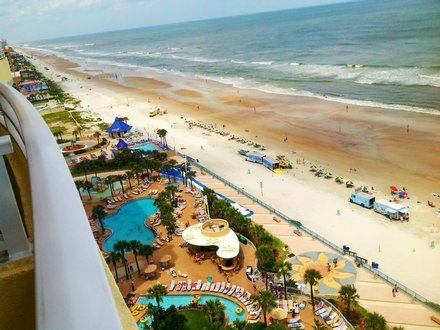 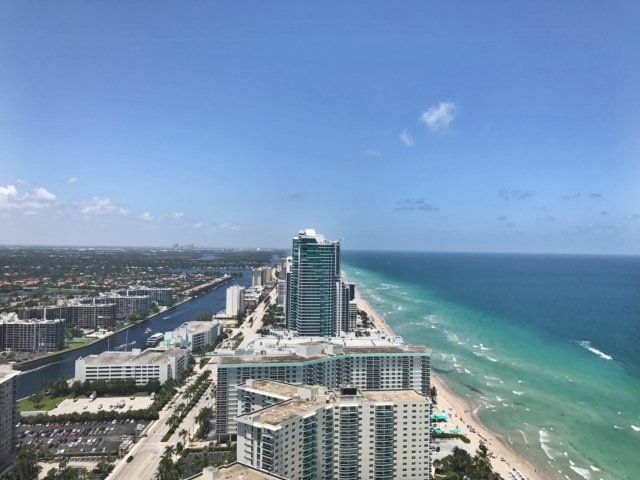 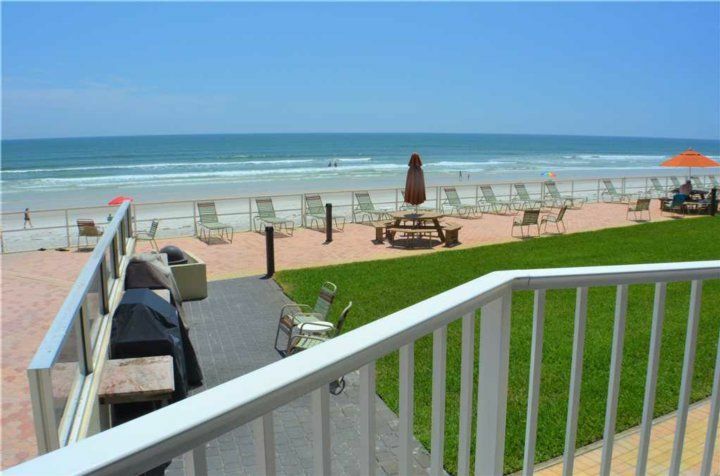 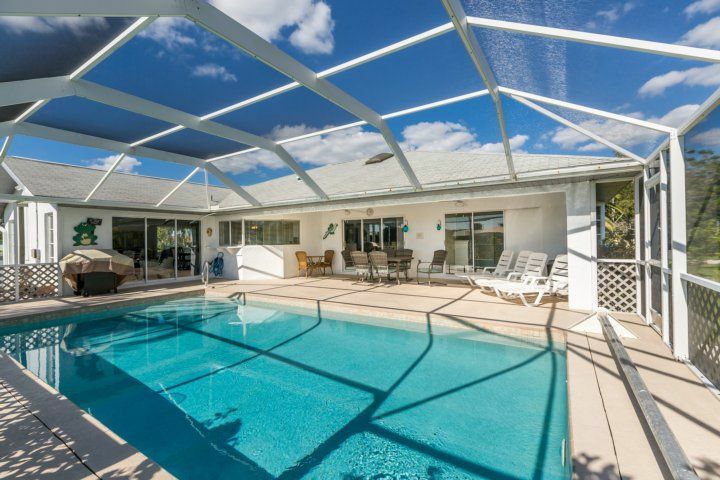 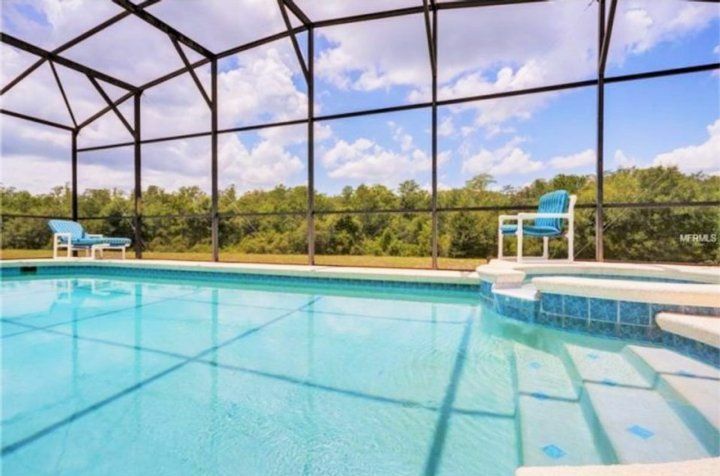 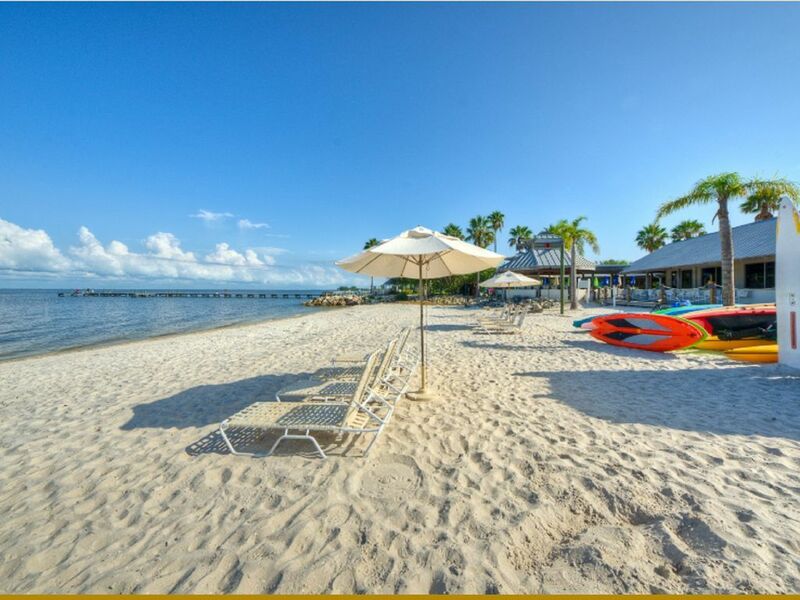 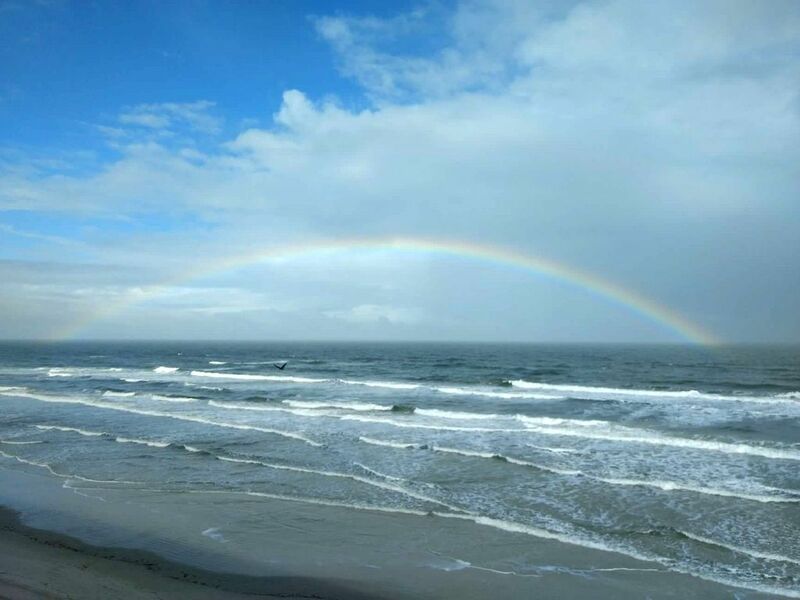 Bring your beach towel and soak up some wonderful Florida sunshine. 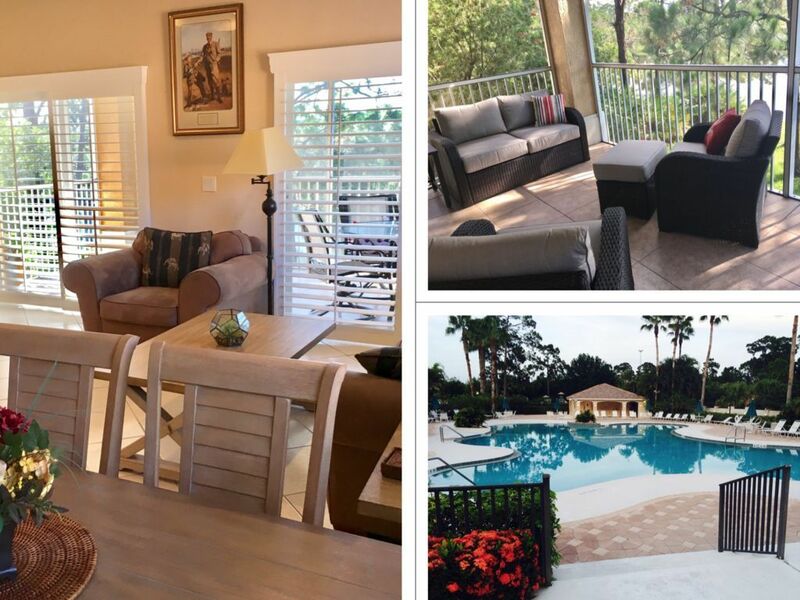 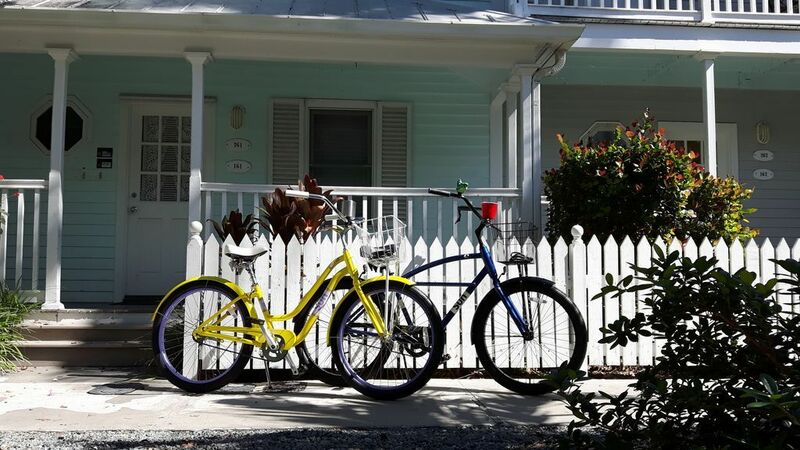 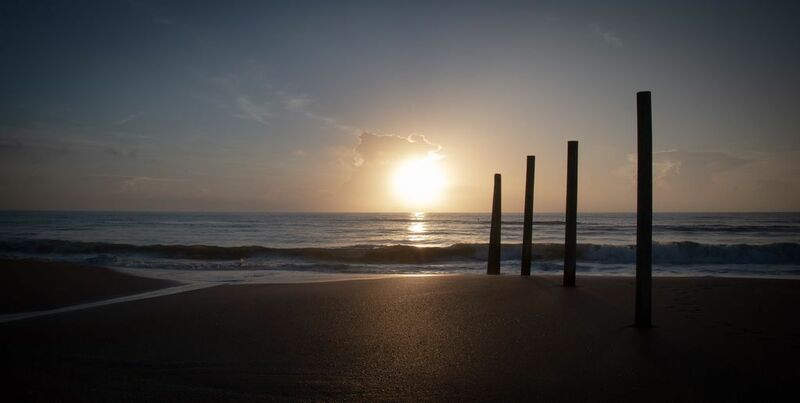 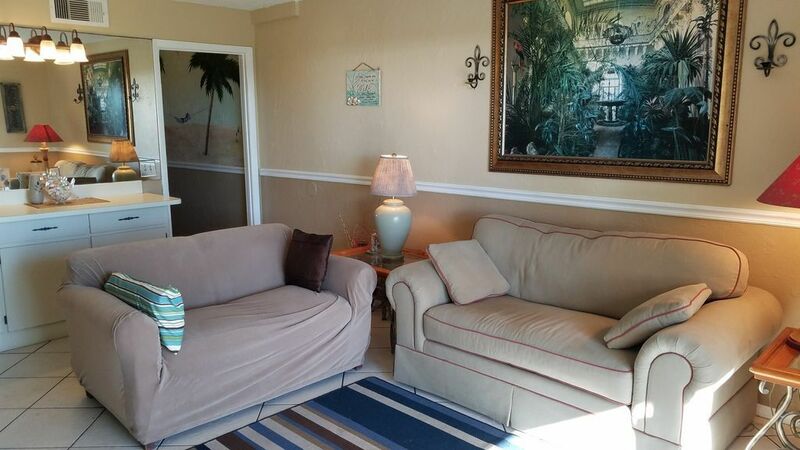 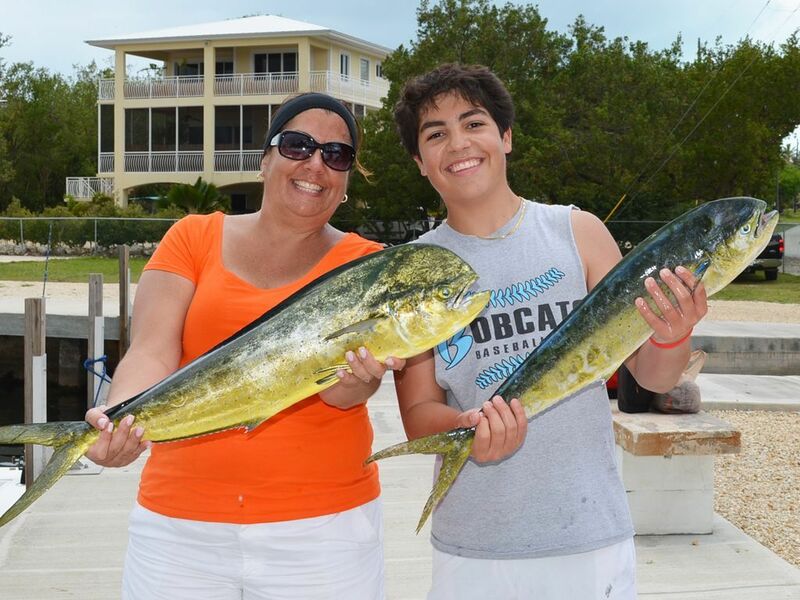 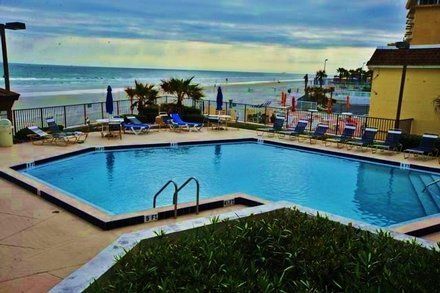 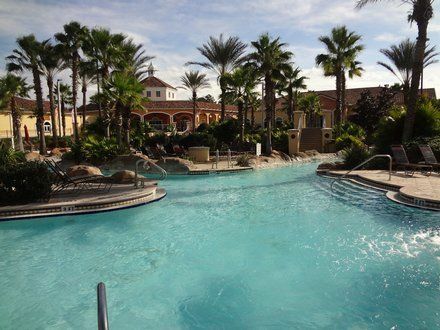 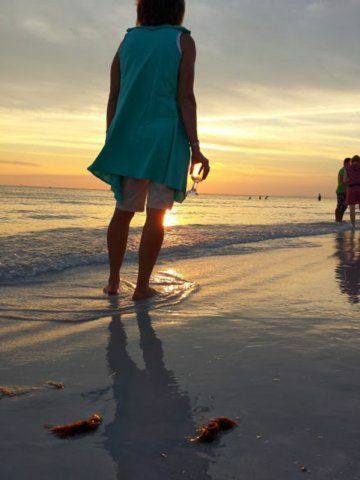 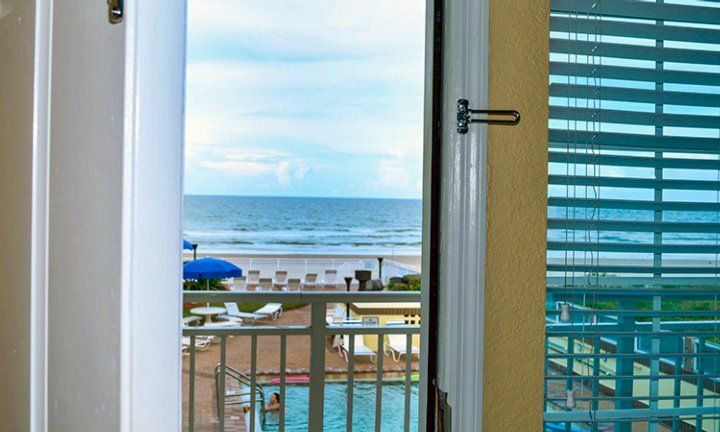 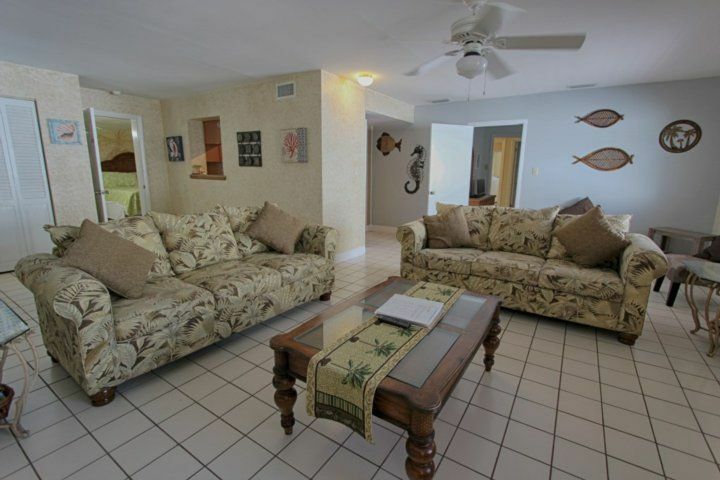 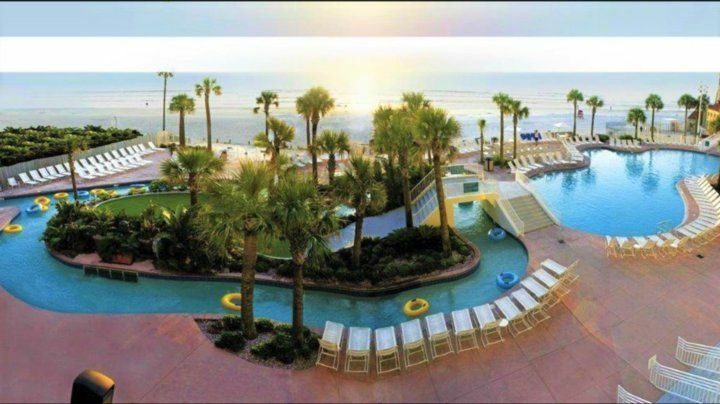 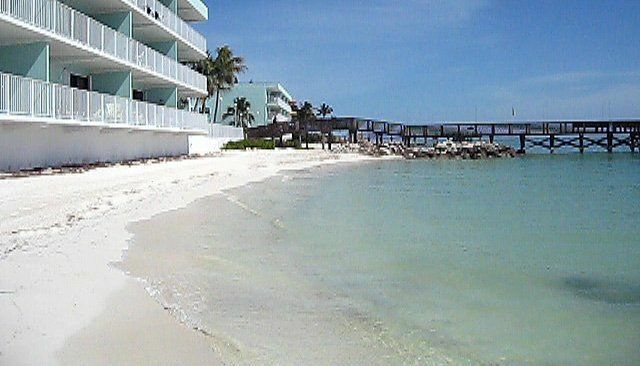 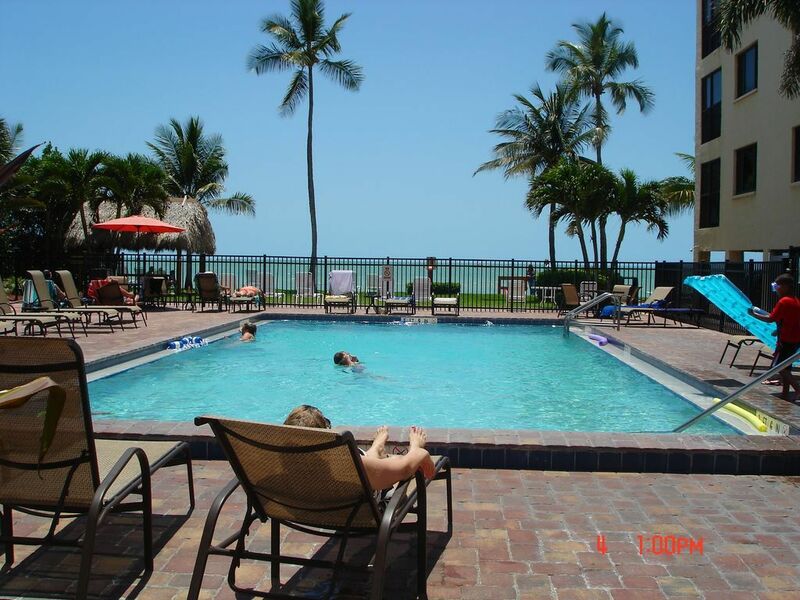 Your vacation fun begins when you book your stay at Casa Marina 623-6. 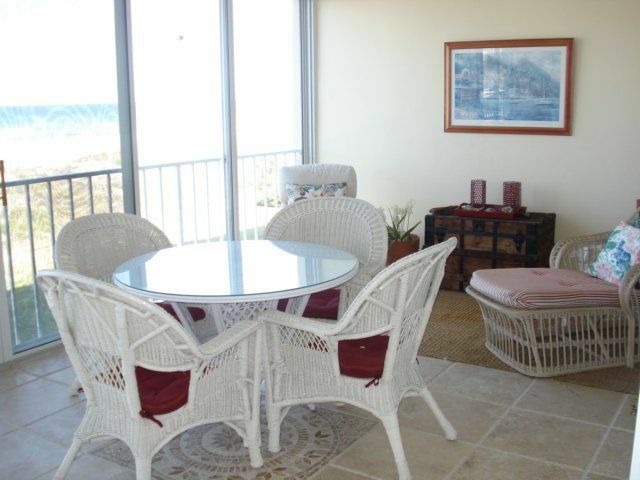 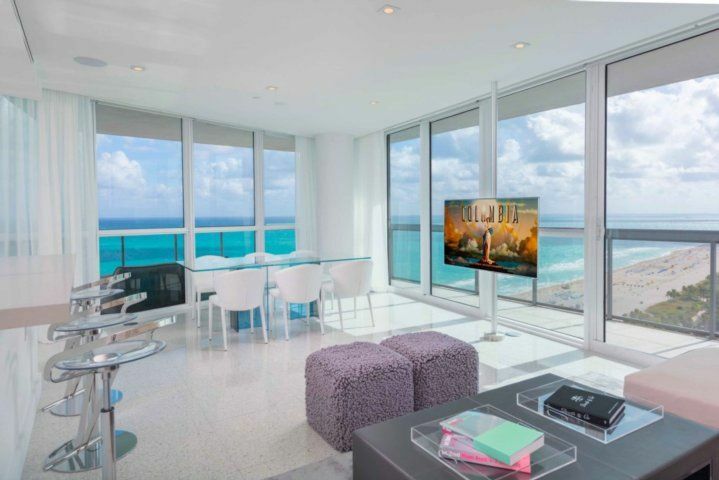 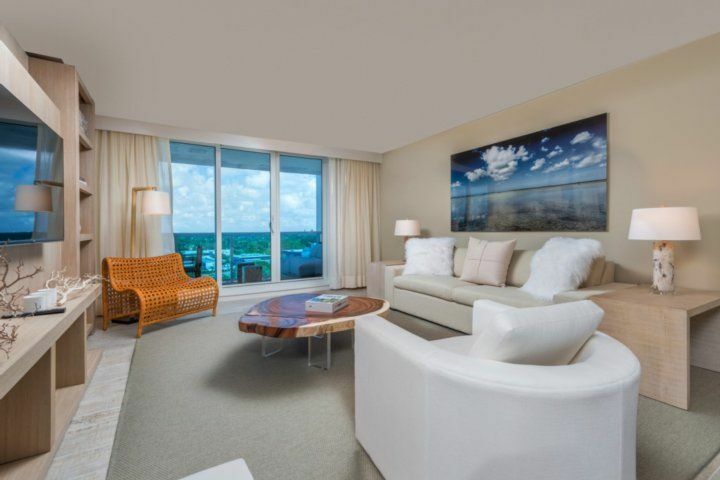 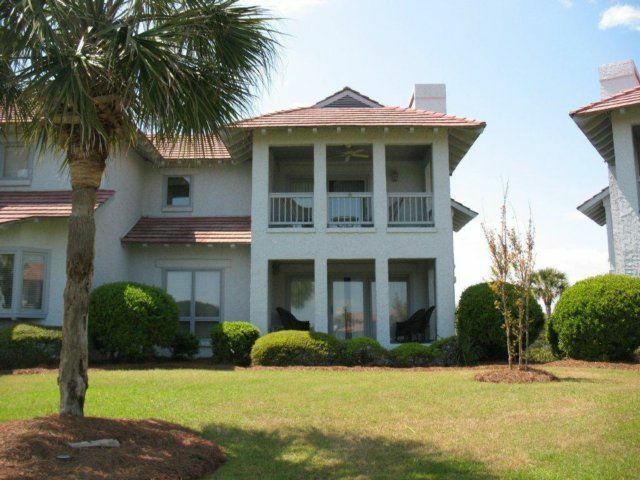 We encourage you to plan early because this exceptional property is very popular with guests! 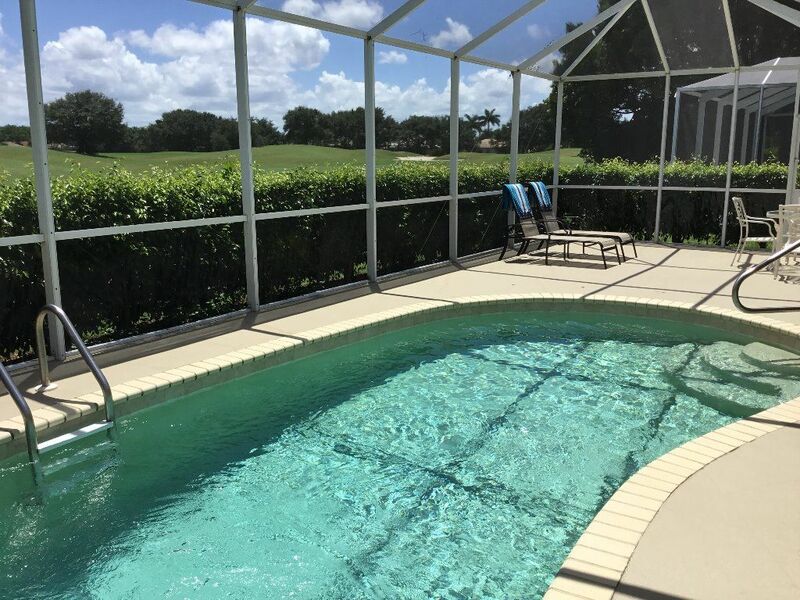 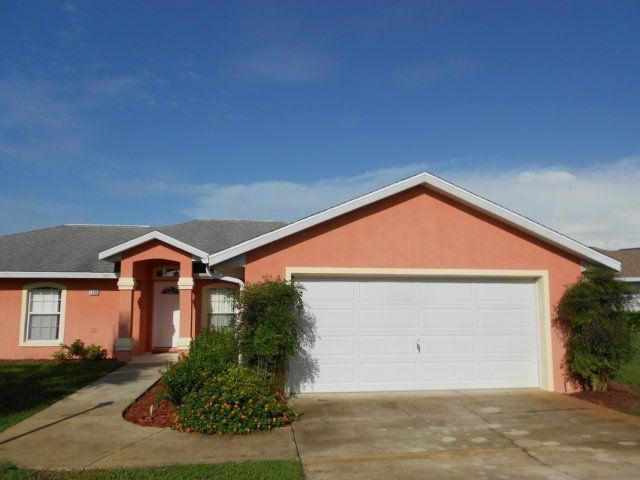 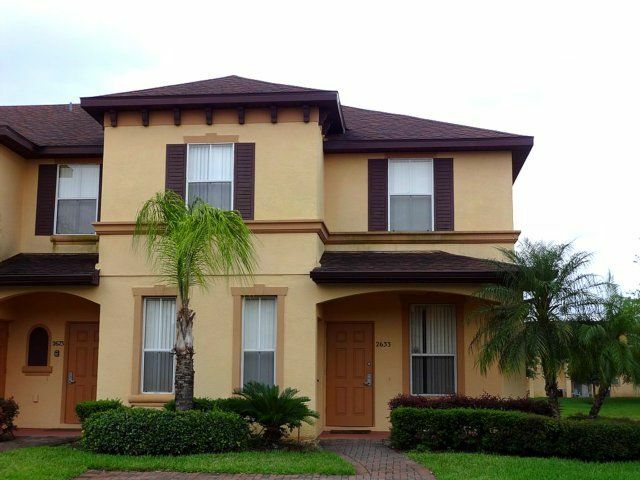 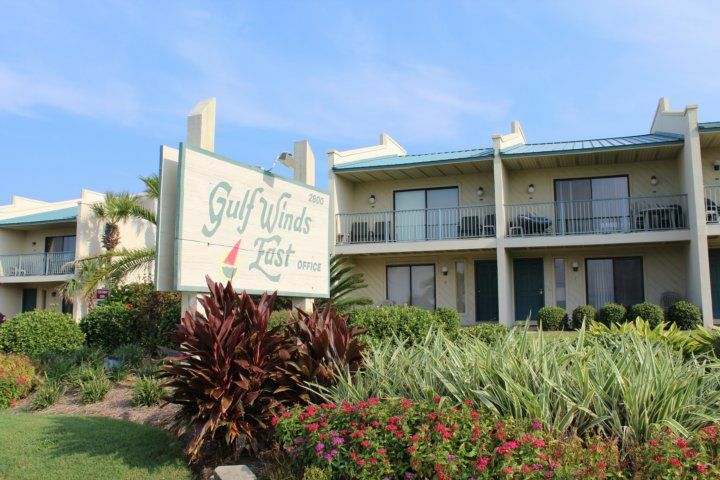 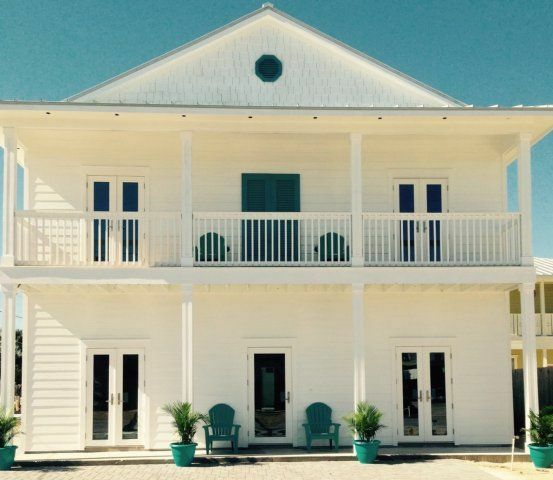 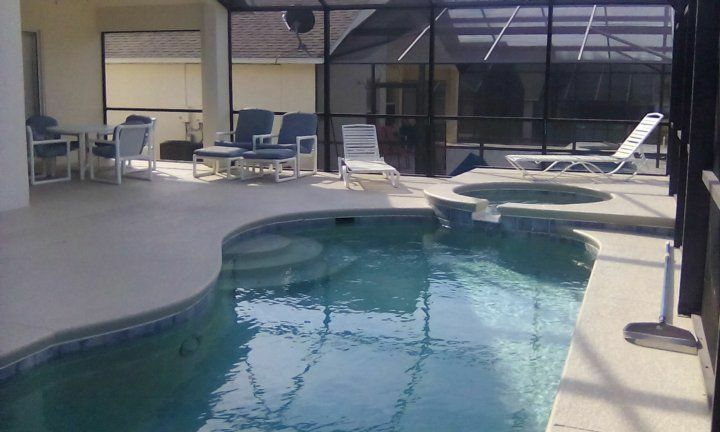 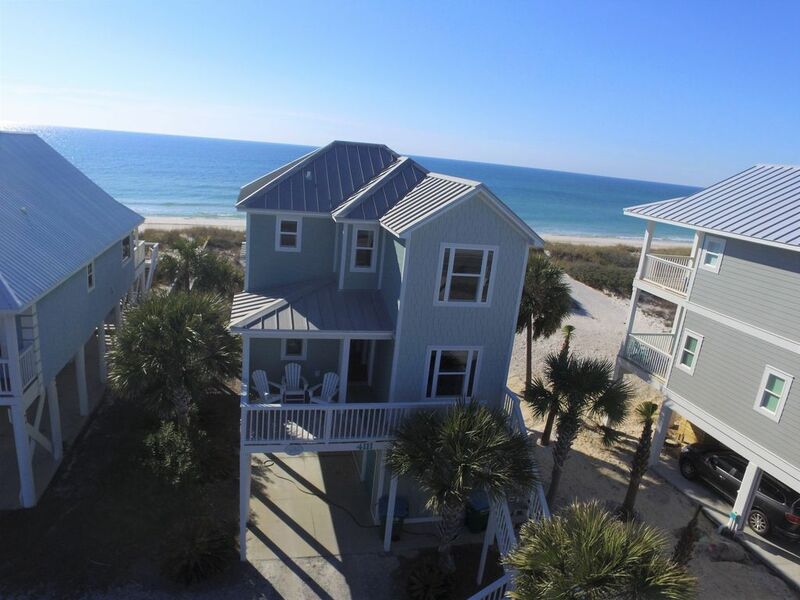 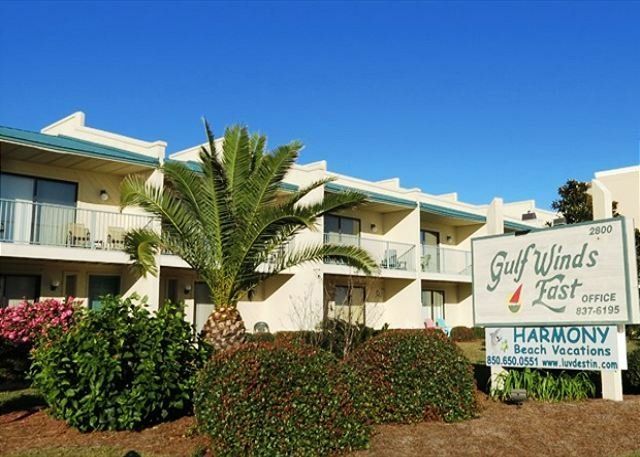 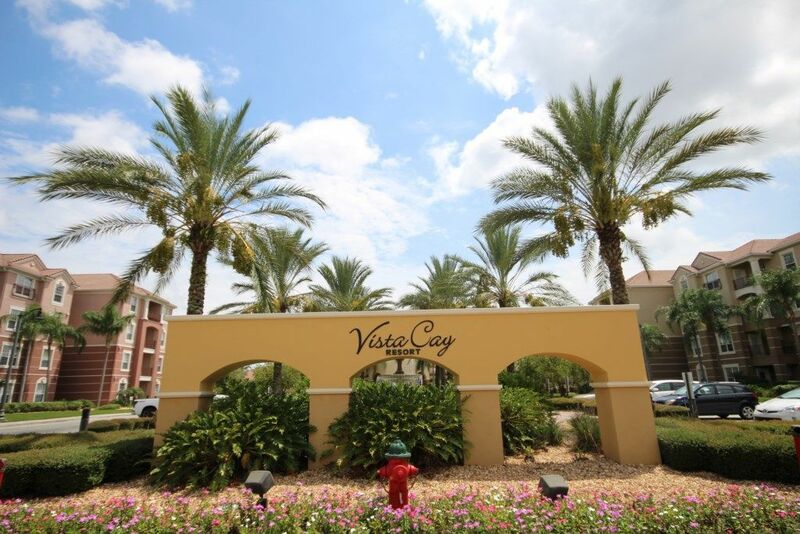 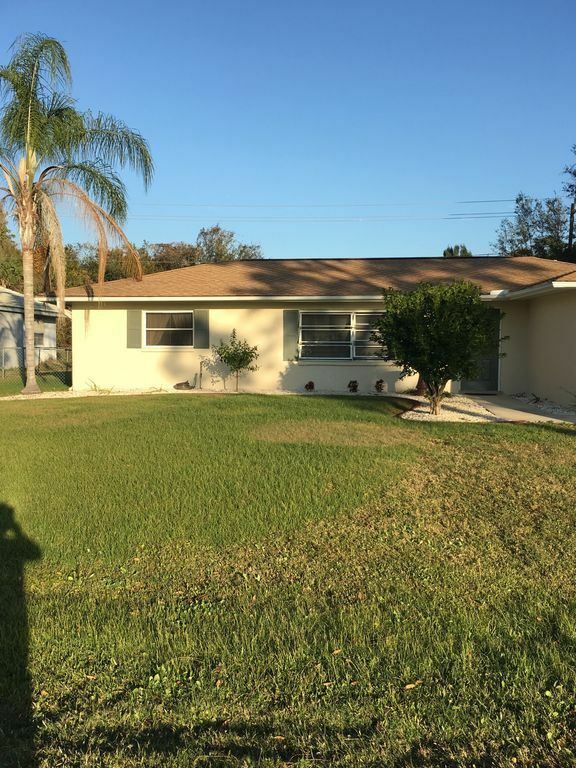 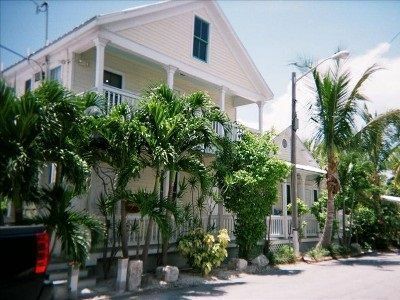 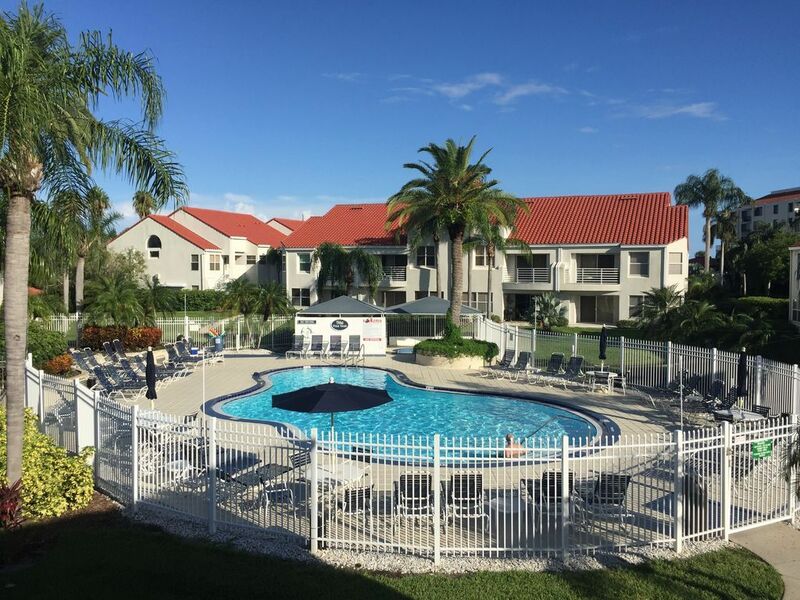 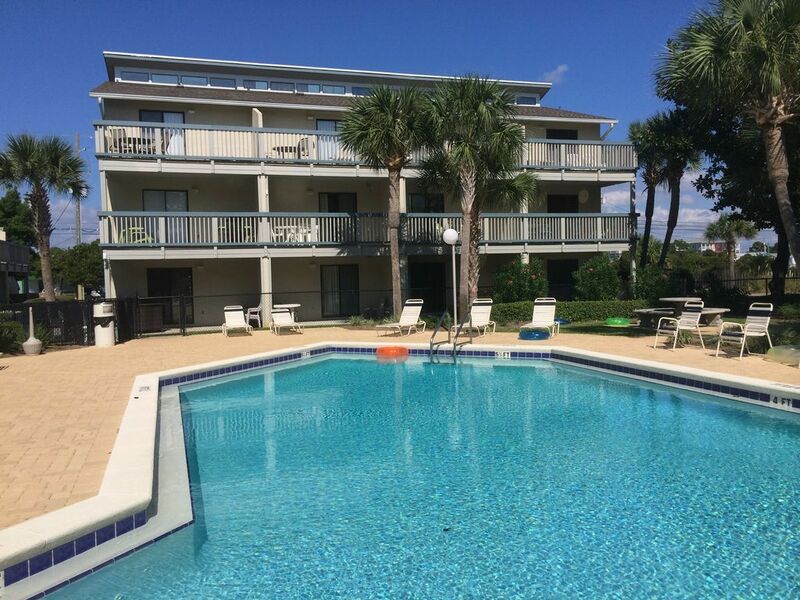 Stayed for 7 days in July, 2015 We enjoyed our stay at Casa Marina 623-6. 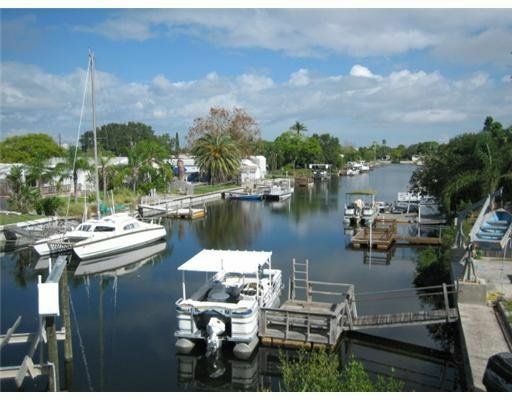 Very co.fortable and relaxing and we even seen some manatees swimming in the canal. 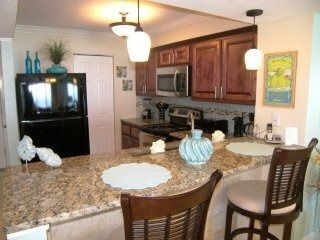 The decor was beautiful and the condo was clean! 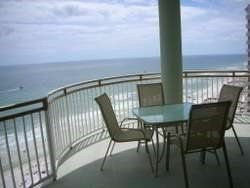 Will stay here again! 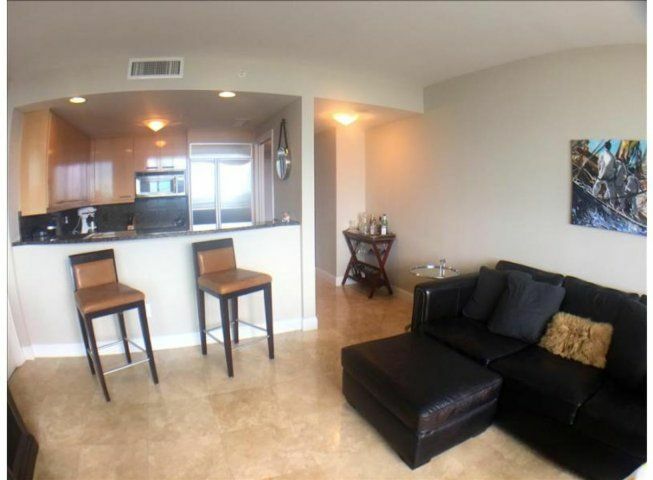 Great condo but.....arrived to find lobby entry code was wrong. 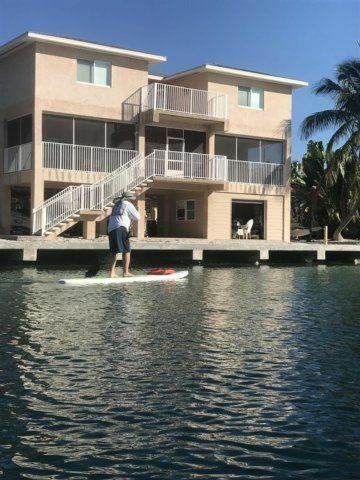 Tried numerous other combinations and finally got in after a half hour. 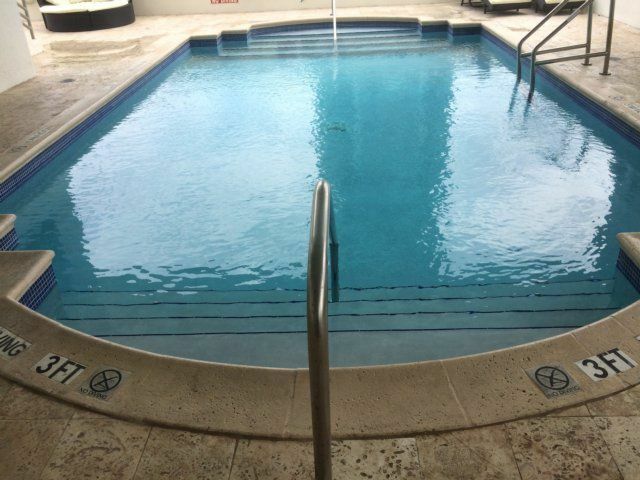 Then elevator would not go to designated floor. 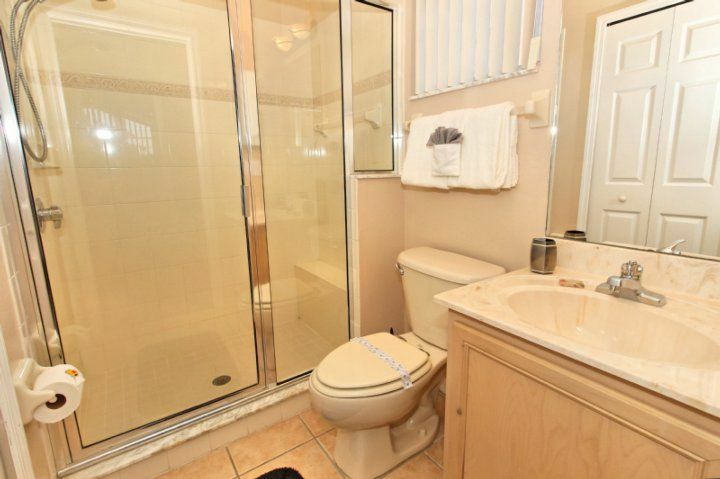 Another renter came by and told us the elevator would not go to his floor either. 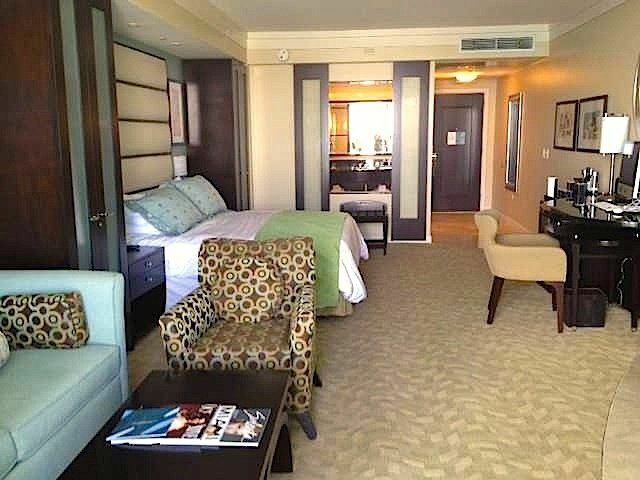 He told us we had to walk up a flight and then come down to our floor to call the elevator. 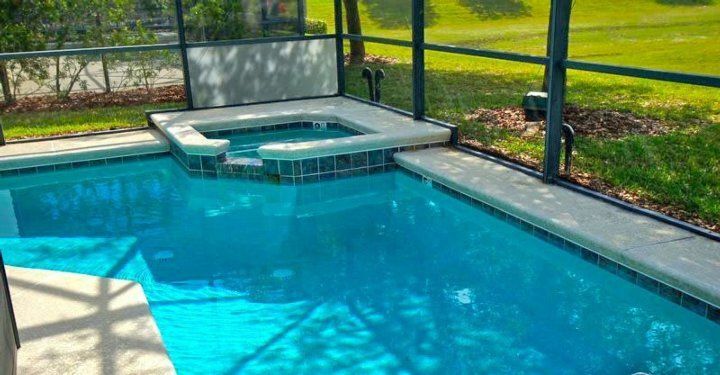 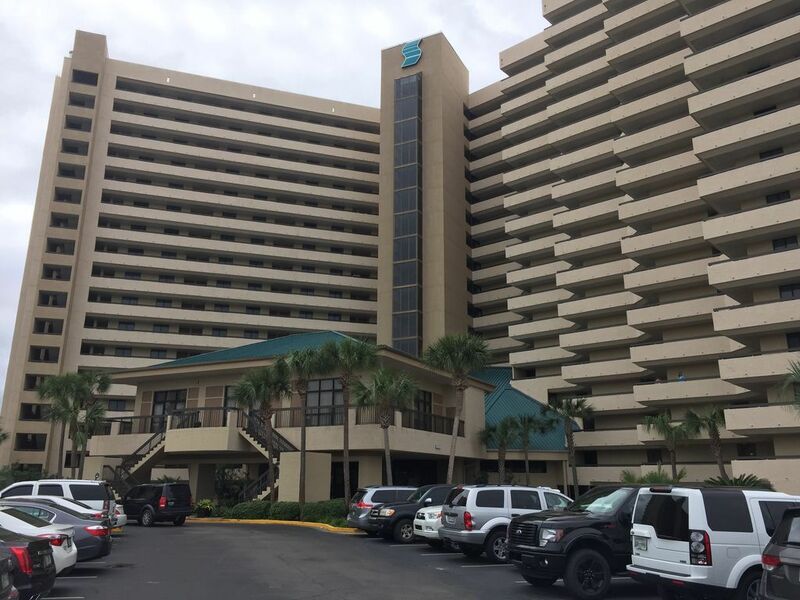 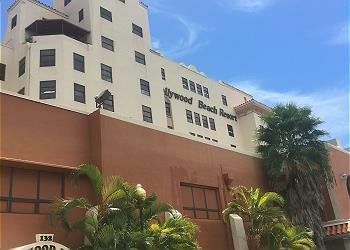 My husband is disabled and cannot walk stairs at all (we booked this particular condo because it was close to the elevator and pool). 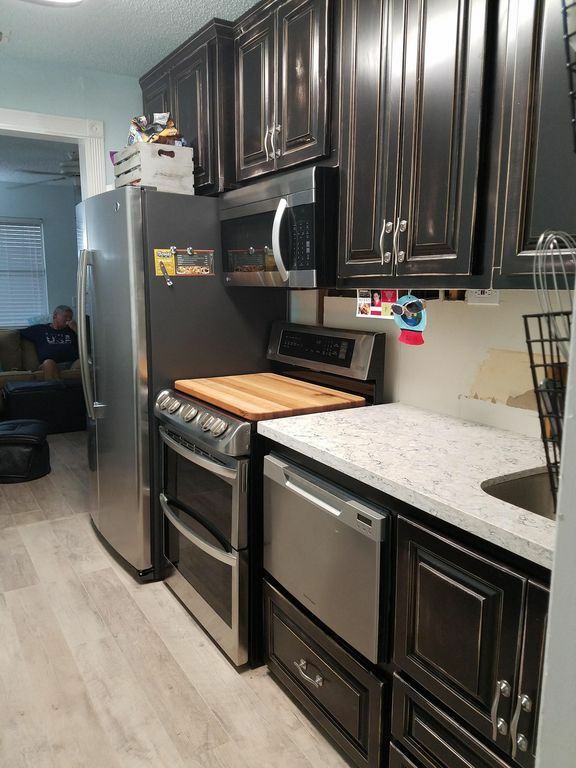 That issue was fixed early on our 3rd day. 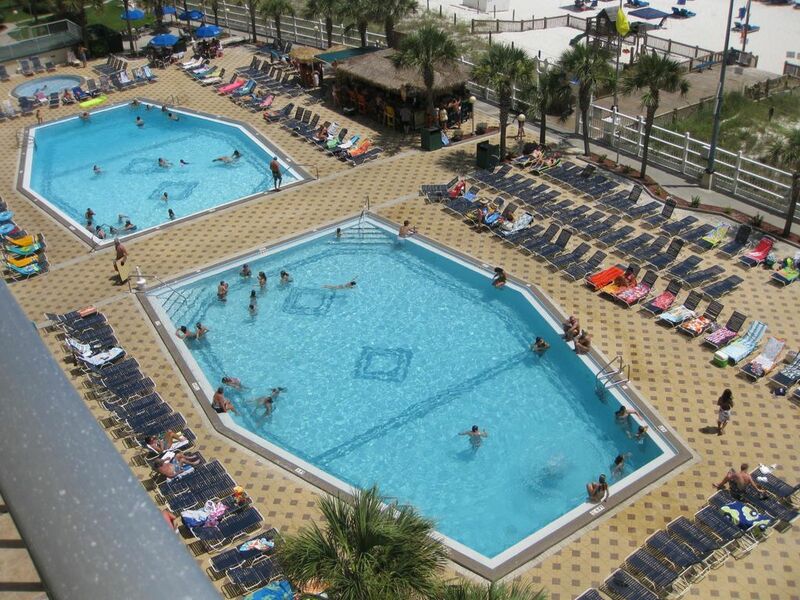 The wifi code was incorrect and we were unable to use wifi until the 6th and last day of stay. 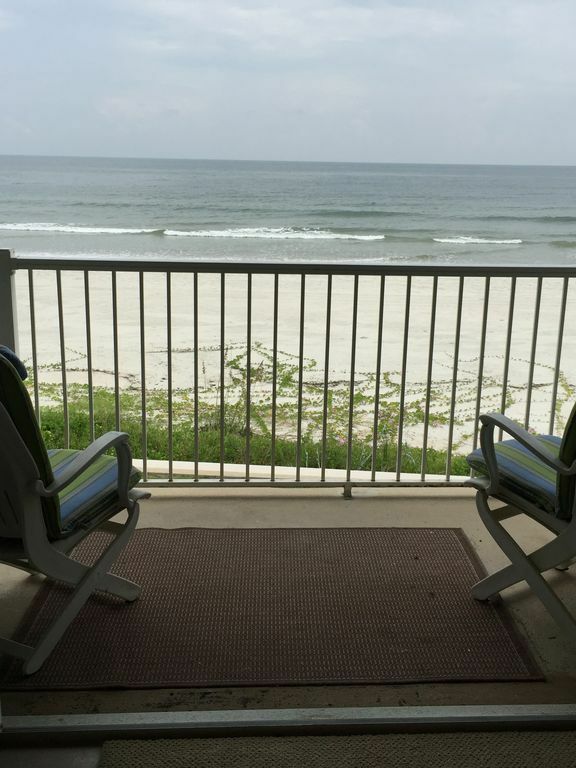 Maintenance man said it took him several days for someone to get back to him with our cell number so we could let him in (we had talked with local office by cell several times and gave them permission on day one to have maintenance come in even if we were not there). 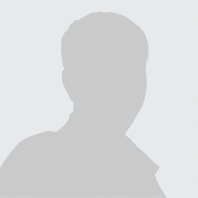 As far as I know, the office still does not know that the wifi modem has been changed out by the owner and there is a new ID and password). 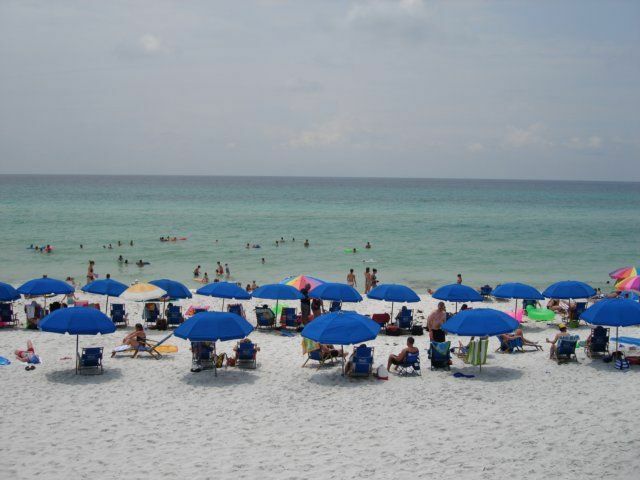 They are a very disorganized group to say the least. 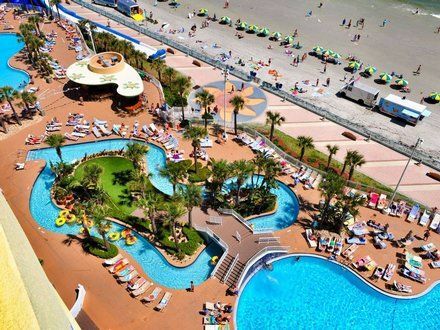 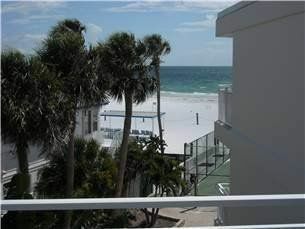 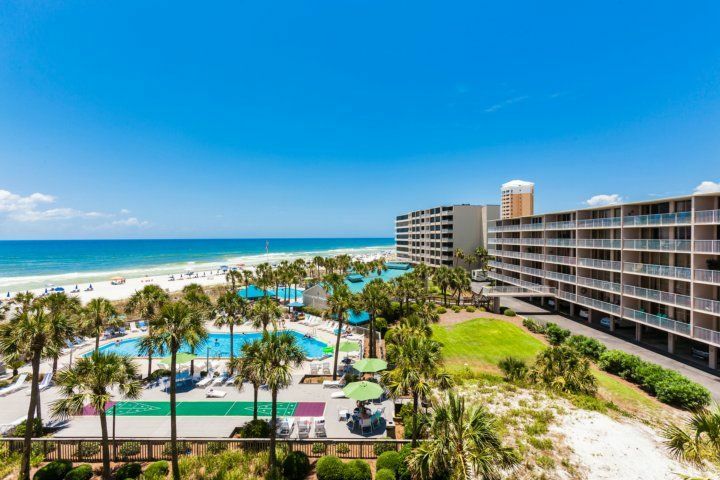 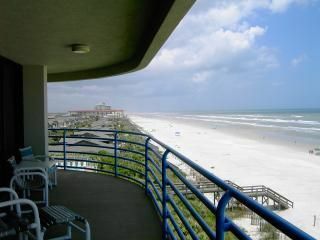 We will definitely be back to FMB, but will never book through again.